Cylchlythyr y Clwb / Club Newsletter. 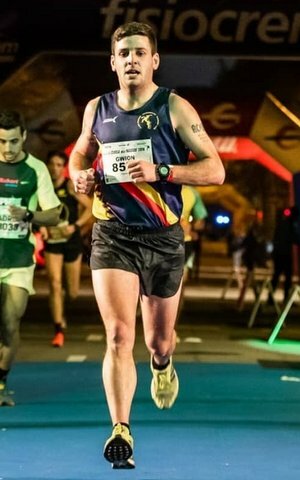 31/12 Cursa dels Nassos 10k in Barcelona. 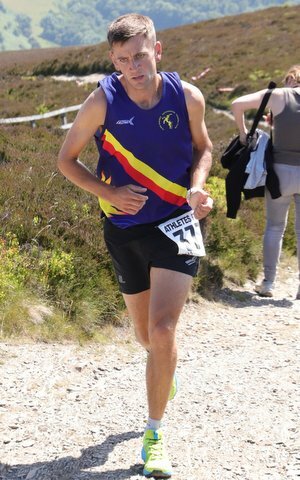 The Roberts brother travelled further south and usual to compete in the Cursa dels Nassos 10k in Barcelona. 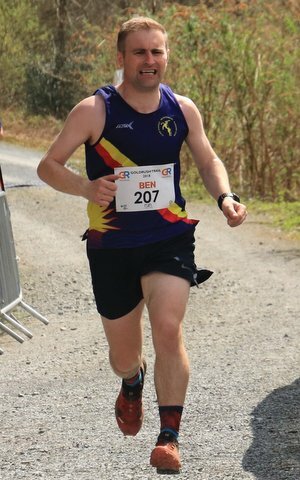 First home was Gwion Robets 34:15; Tom finished in 42:31. 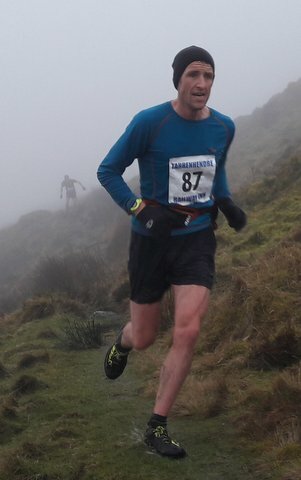 Jeremy Randell ran in the Bowstones Fell Race finishing in 51:46. 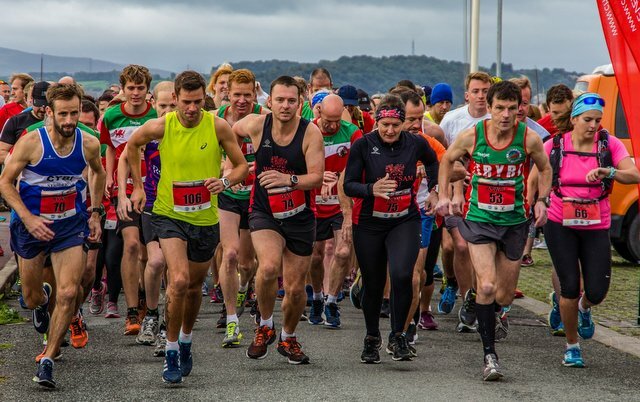 Ten Meirionnyd runners ran in the 20th Anniversary of the Aberystwyth 10k. 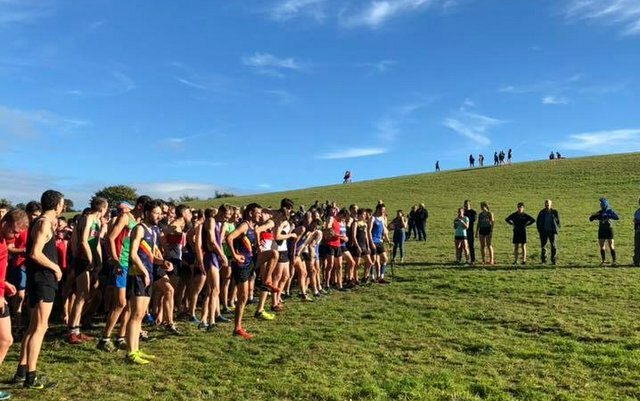 8/12/18 Welsh Inter Regional Cross Country Championships in Llandrindod Wells. 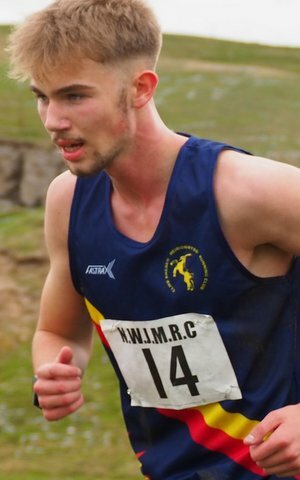 Five Meirionnydd runners were selected to run for North Wales in the Welsh Inter Regions Cross country. Tom Roberts, Gwion Roberts, Alun Williams, Alex Lanz and Jeremy Randell. 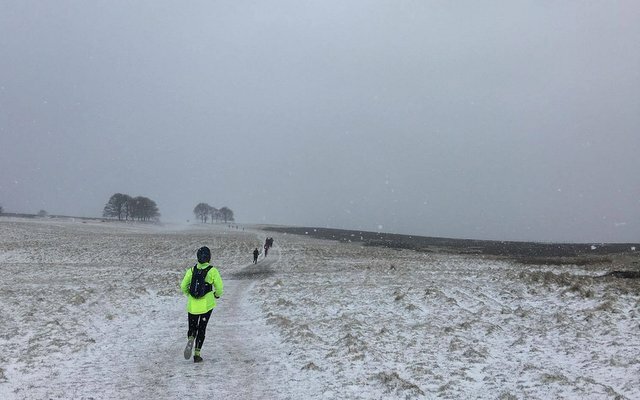 8/12/18 Winter Run to the Castle. 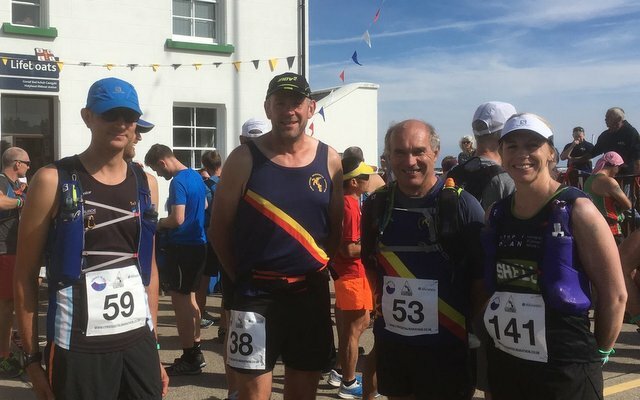 A 42mile walking and running marshalled event that starts in the village of Aberdyfi to the castle town of Harlech, including: Tywyn, Fairbourne, Fairbourne bridge and Barmouth. The course is waymarked and includes beach, tracks and pavements as the main running surfaces. Ben wells said: “managed to get 3rd overall trying to chase the big man (Dylan Evans). Great day in wet and muddy conditions along the tops. 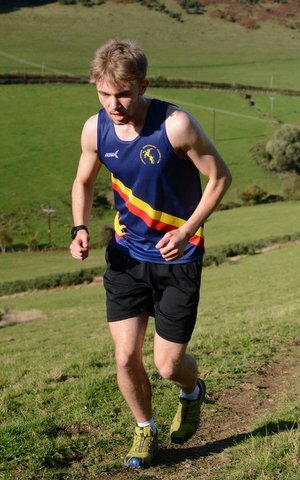 Well done to Dylan Evans on 2nd who proves to be strong time and time again.” Results TBC. 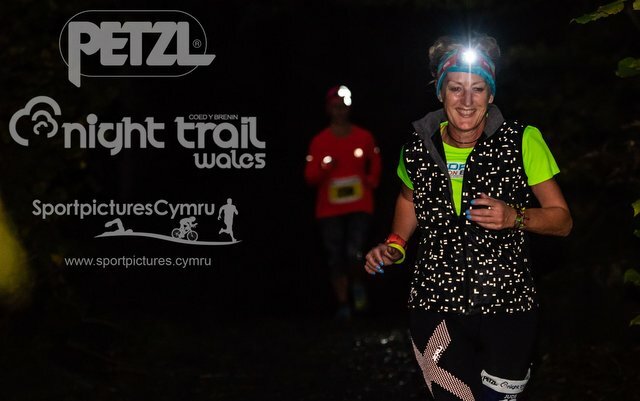 7/12/18 Dash in the Dark, LLandegla. Well done to Tristan Evans finished 2nd in Dash in the Dark at LLandegla. Karl Steinegger Ambleside won the race in 23:51 and Tristan was just behind in 24:18. 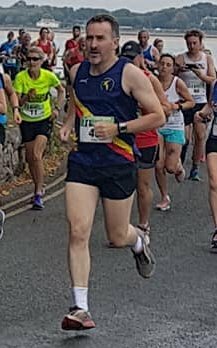 Three Meirionnydd runner can in the Conwy Half. First home was Andrew Ellis in 1:38:47; followed by Justin Pilkington 1:40:36 and Allanah Fenwick 1:50:49. 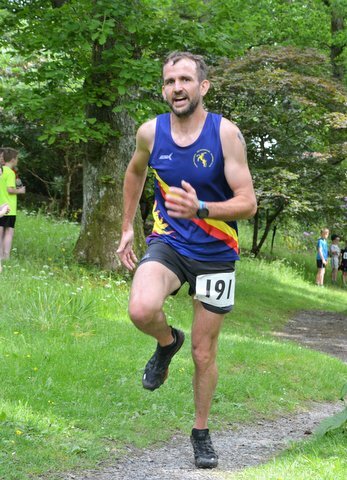 One lone Meirionnydd runner at the Rhaeadr 10 mile race. Jimmy Carter finished in 1:06:37. 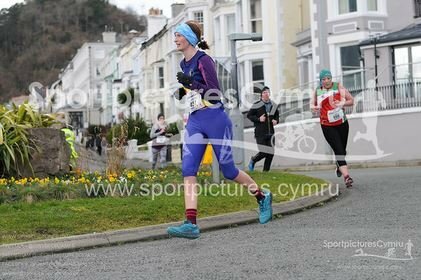 As usual the Wrexham race was fast and flat. The racing started with the women and junior runners. In the U17 Euros Evans in 12th place. Great result for the women following todays race up they are up three places to 10th in DIV 2 league table. Men team finished 2nd in division. 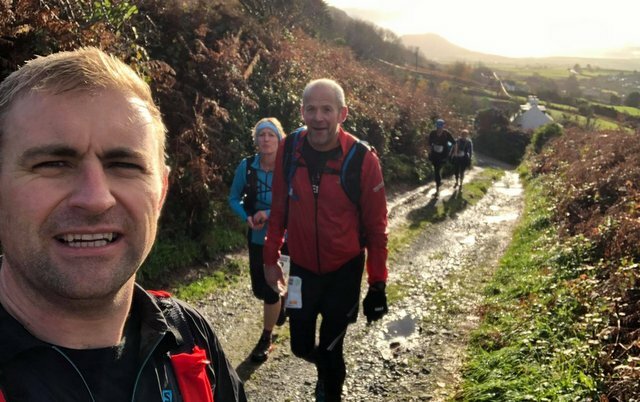 Three Meirionnydd runners took on the Pen LLyn Ultra (winter edition). First home was Ben Wells in 9:11:13; followed by Dylan Evans 9:54:31 and Jude Evans 9:54:24. A 5 days, 3 countries, 3 races, 2 camps, 1 Intercontinental Adventure. 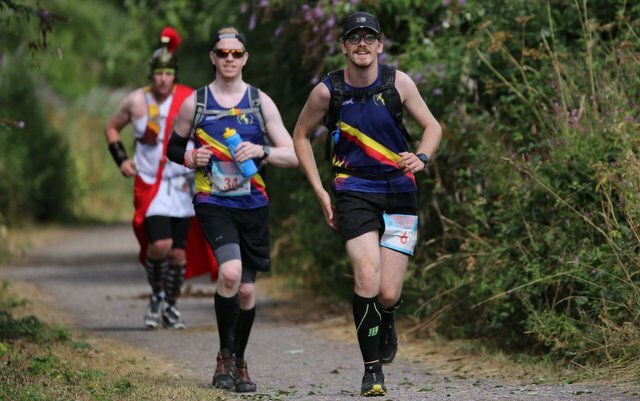 Two Meirionnydd runners took on the challenge Pete Barnes & Andrew Ellis. No idea how they got on as can’t find the results. 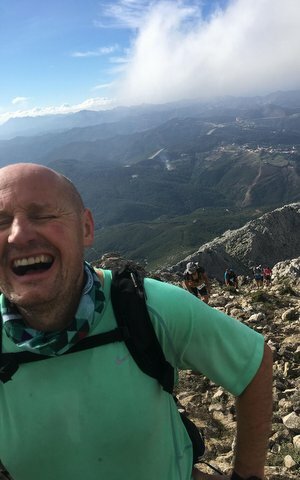 Andrew said “Three stages over four days, Gibraltar Vertical Challenge, 27k Alcornocales (Spain) and 25k Belyounech (Morocco) so we had to climb both Pillars of Hercules - the Rock of Gibraltar and sacred Jbel Musa - plus a run through beautiful national park near Algeciras in between. The weather was atrocious when we arrived and our flight was diverted to Malaga from Gib. When we arrived at Camp Europa it was being repaired after a bad storm the night before so we had to sleep in a local sports centre! Stage 1 in Gibraltar saw more rough weather, and the camp back in Spain was totally destroyed and virtually underwater so camping was not an option! Despite the noise (and very hard floor) in the sports centre we kept our spirits up and mingled well with the other competitors. Stage 2 in Alcornocales National Park was very hilly and technical, still slick and muddy from the rain and with mean and gnarly scrub grabbing as we ran through narrow, rocky channels. Kam almost slipped into a ravine but luckily made a Tarzan-style grab on his way down - we didn't leave him dangling for too long! We caught the ferry from Tarifa to Tangier on Friday and had a short tour around the bustling city. The two hour drive to Belyounech was stopped short when the bus drivers refused to drive down to the village in case they couldn't get back up, so we had to walk with luggage on back the rest of the way. The storms had affected Belyounech too and so we had to sleep in school classrooms close to the race HQ - a very interesting experience as were the toilets! Stage 3 on Jbel Musa was the hardest running I've ever done but the mountain and the views were absolutely breath-taking. The climb to the summit then the 1k straight down descent was VERY steep and slippery, and there was one serious injury half way down. 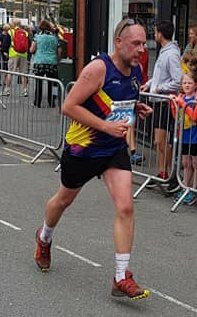 A slog along the coast path then finally through the streets of Belyounech to the finish line saw lots of locals cheering, and I was happy to just finish the race - I crossed waving the Welsh flag and with high fives and shouts of 'Gareth Bale' from the local kids! 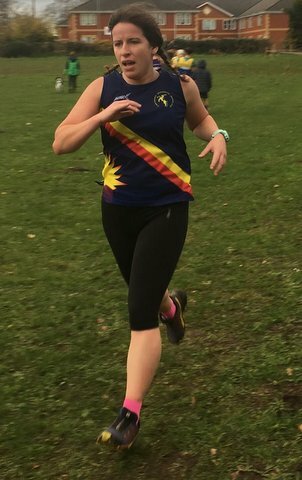 4/11/18 Leeds Abbey Dash 10k. Team Meirionnydd at Leeds abbey dash 10k this morning. 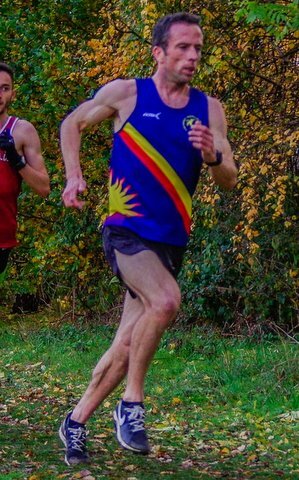 Results: Tom Roberts 31:50 Alex Lanz 32:06 Gwion Bobo Roberts 35:20. unfortunately Alun Williams has had a nasty bug all week and didn’t manage to finish. 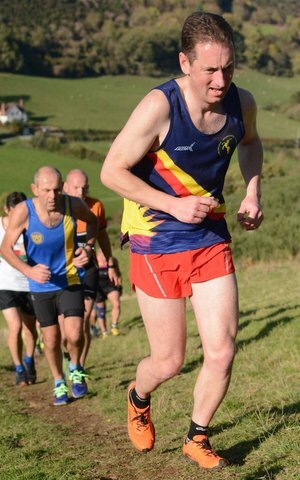 4/11/18 Abergele 5 miles incorporating North Wales Championship. 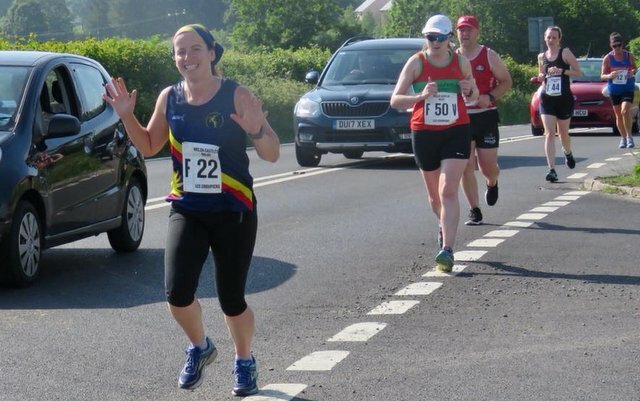 Four Meirionnydd Runners ran in the Abergele 5 mile road race incorporating the North Wales 5 mile road championship race. 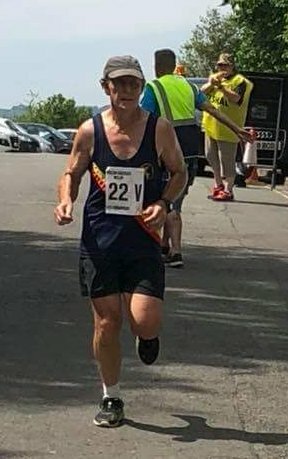 First home was Euros Evans in 30:20 claiming 1st u17 and 2nd U20 North wales Championship; followed by Sioned Jones 42:34; Jeff Davies 42:50 2nd M70 in Championship and Sheila Symonds 53:36 1st F80 North Wales Champion. 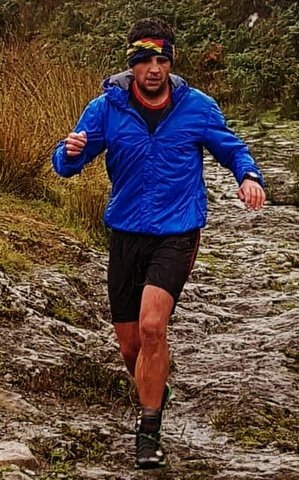 The Meirionnydd winter series kicked off today with Rhobell Fawr a 10k run up this 734m hill through autumnal fields and woodland and open rocky fell side. 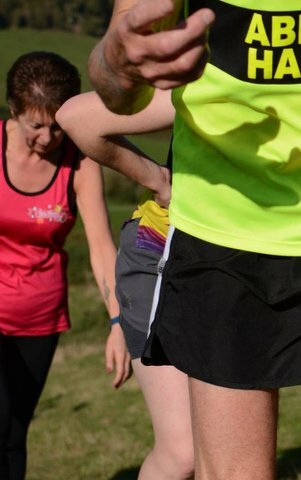 73 runners turned up for the adult race and one junior did the short run. 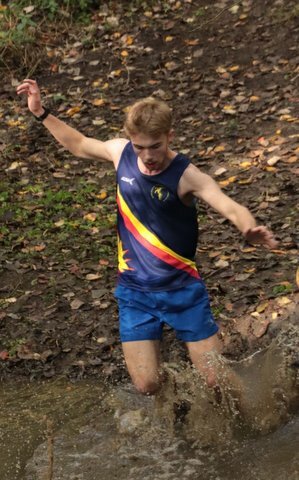 Jack Bristow (Worcester AC) though unopposed, put in a sterling effort and finished the 3k/130m climb in fine style iand a creditable 18:32. 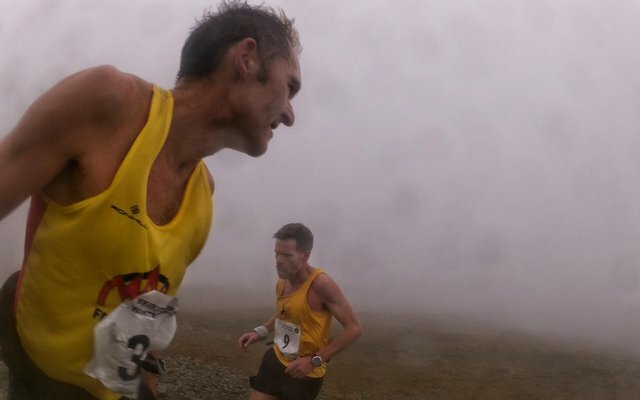 After a week of gorgeous weather with Rhobell displaying the magnificent views it is justly famous for, race day dawned grey and threatening with visibility down to 100m on the summit with an increasing gusty gale. However conditions underfoot were much better than average and the still air temp was 12C. 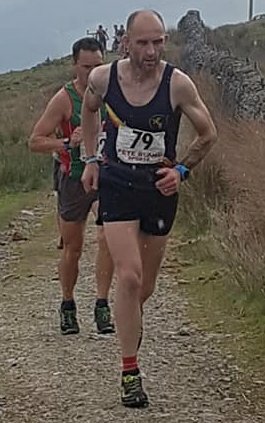 Meirionnydd senior Tristan Evans put on the pressure and was first to the top but during the fell part of the descent the experience of race record holder Lloyd Taggert (Manx Fell Runners) and Paul Jones (Mercia Fell Runners) showed and by the Bwlch both were past him. 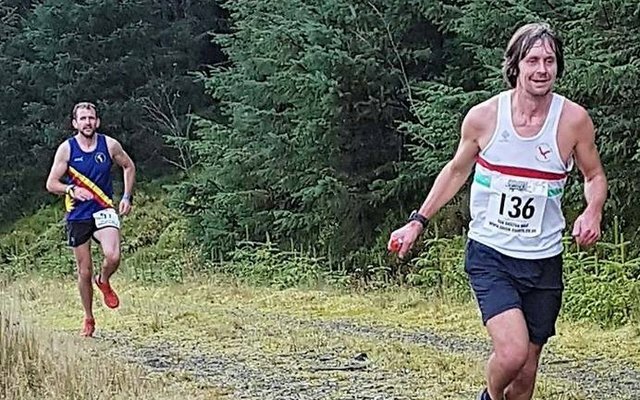 The two vet40 runners fought it out on the lower slopes with Paul Jones pulling away and winning in 52:15 with Taggart in second place in 53:04 and Evans in 53:19 in third place. 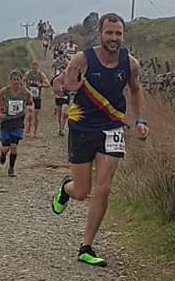 Club mate Ifan Richards came in next in 54:45 and two Ambleside AC runners, Karl Steinegger ( a previous series winner) and Chris Atherton took 5th and 6th in 56:02 and 56:29 respectively. 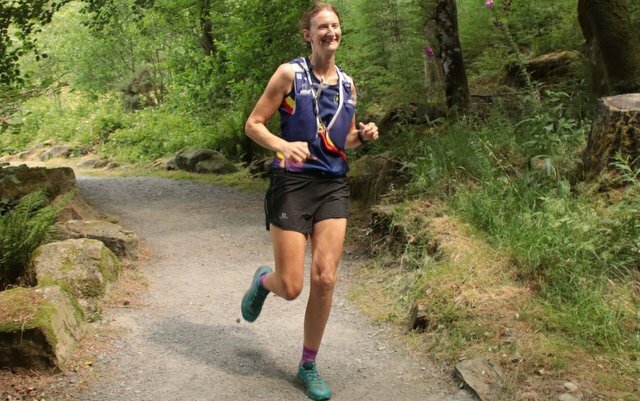 An exciting battle for the women’s race saw Sara Willhoit (Mercia Fell Runners) take the honours in 57:06 from Miranda Grant (Eryri Harriers), second in 57:31. Both women broke Jackie Lee’s 2006 57:54 course record, and finished 8th and 9th overall. 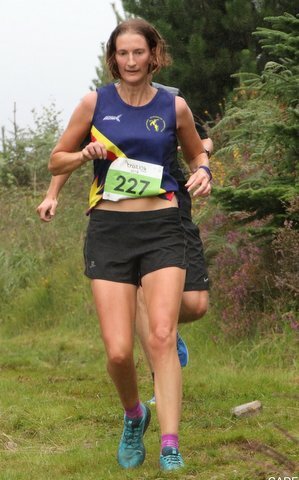 Katie Cole of No-Mad Running was third woman in1:03:44 two minutes ahead of Buckley Runners’ Hayley Evans. 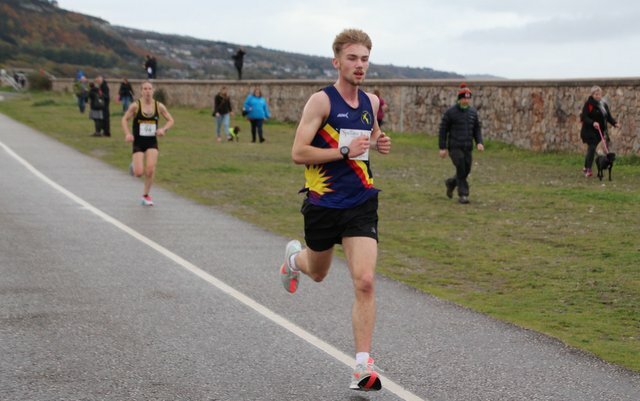 The under 23s showed a clean sweep for Aberystwyth University Harriers with Jack Westwood getting the men’s prize in 1:03:06 and Rhiannon Kamink took the women’s prize in 1:10:16. Ifan Richards took the M40 and Jackie Lee took consolation following the breaking of her course record with a first F40 place in 1:11:22. 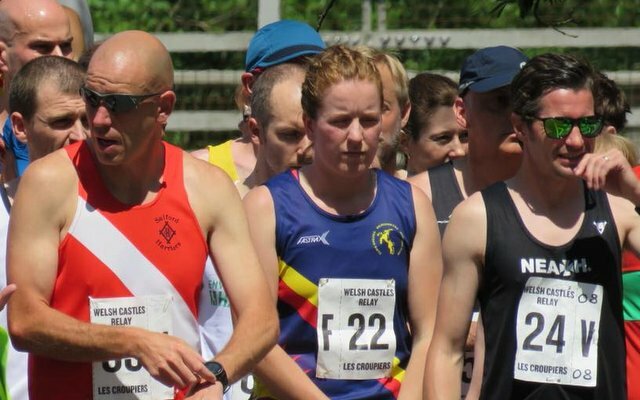 Paul Beeson (Maldwyn Harriers) was first M50 in 1:00:25 with Meirionnydd’s Juliet Edwards getting F50 in 1:14:48. 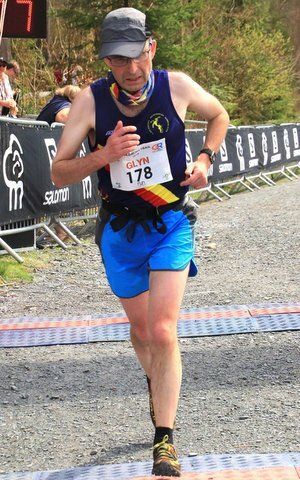 Iwan Edgar (Eryri) was first M60 1:06:49. 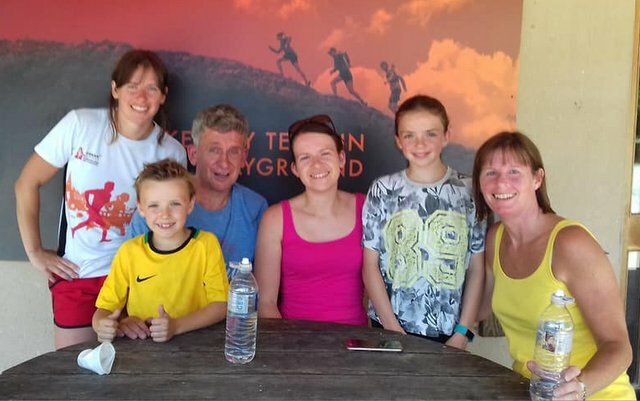 It was a worthwhile trip for the Olivers of Eryri as Alwyn finished in1:32:46 and Maggie smashed Sheila Symmonds’ 10 year old record of 2:15 by finishing in 1:46:31, the couple taking both the over 70s prizes. The race finished just as the rain came on so for once the gods were with us. 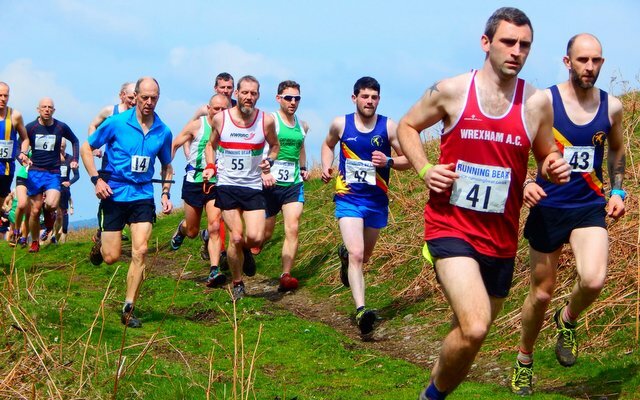 The next race in the series is Tarrenhendre on 26/1/19 with the final race, Yr Aran, on 30 March. 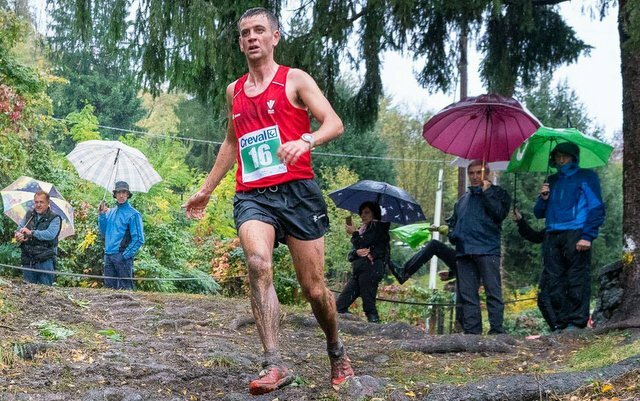 28/10/18 Trofeo vanoni mountain relay, Italy . 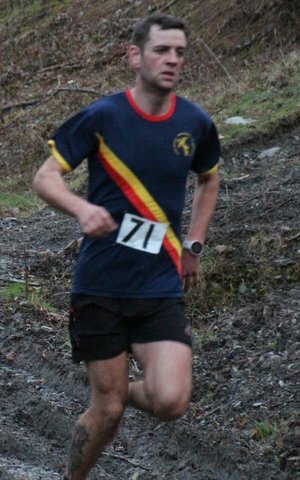 Tom Roberts claimed another Welsh cap in the Trofeo vanoni International mountain relay race in Morbengo, Italy. Tom Said "Trofeo Vanoni is a mountain relay race held in Morbegno, an hour north of Milan. 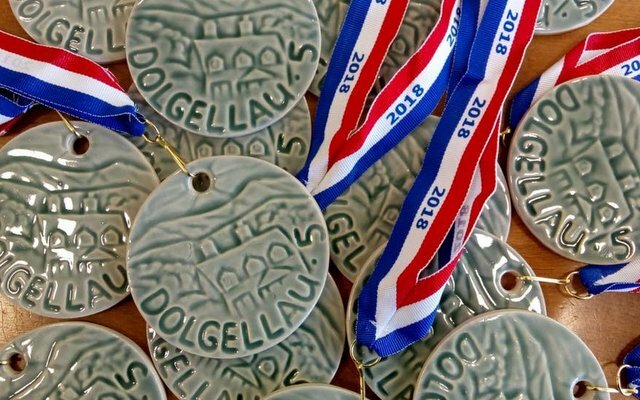 This is one of the last mountain races in the calendar and attracts international teams from across Europe. 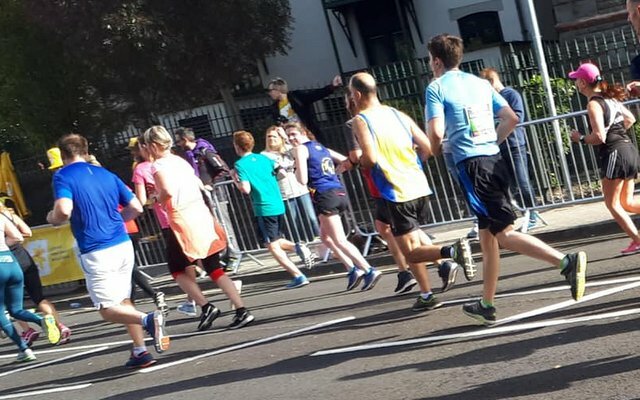 The course is 8km with two steep climbs before descending back down some lovely trails and cobbled streets and finishing in the heart of the village. Crowds cheer along the route and greeted you at the finish line, the atmosphere was amazing! France were the overall winners, Wales just missed out on a top 10 finish but still had an impressive 11th place overall. This was a great experience and one I’ll remember for a long time." 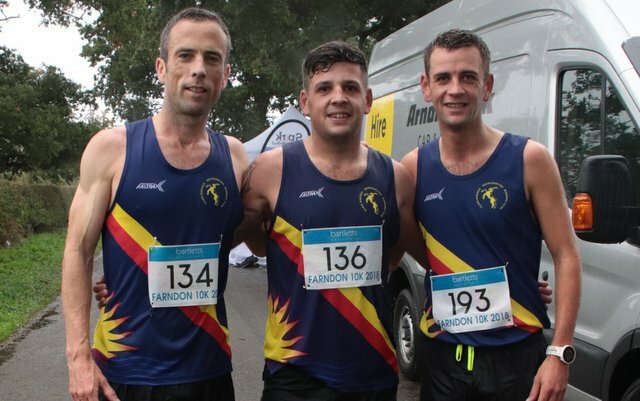 Four Meirionnydd runners ran in the Snowdonia Marathon. First home was Dylan Evans 3:51:59; followed by Christopher Anagnostopoulos 4:52:34; Jude Evans 5:21:53 and Elly Downing 5:52:51. 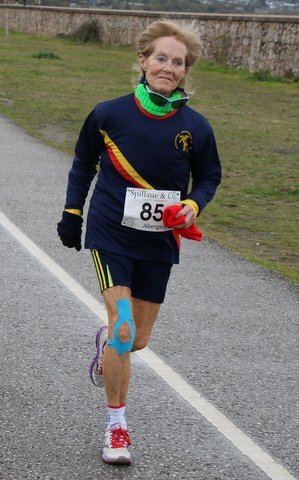 27/10/10/18 Race to the sea 50k. Starting-out in the small village of Llangurig in the Heart of the Cambrian Mountains the route of the Race to the Sea closely follows the River Ystwyth from one of its sources meandering its way West through the picturesque valleys and villages in the counties of Powys and Ceredigion to reach the Sea and the Finish in the coastal town of Aberystwyth. 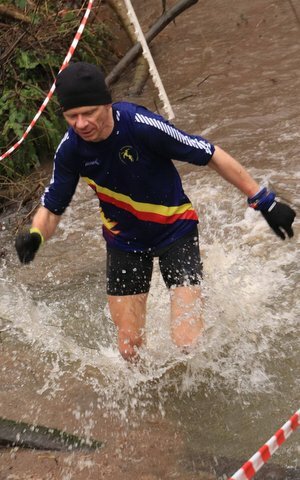 Richard Hankinson took on the 50k Race. 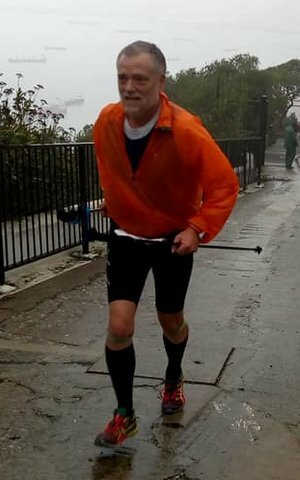 21/10/18 Porto vecchio half marathon. 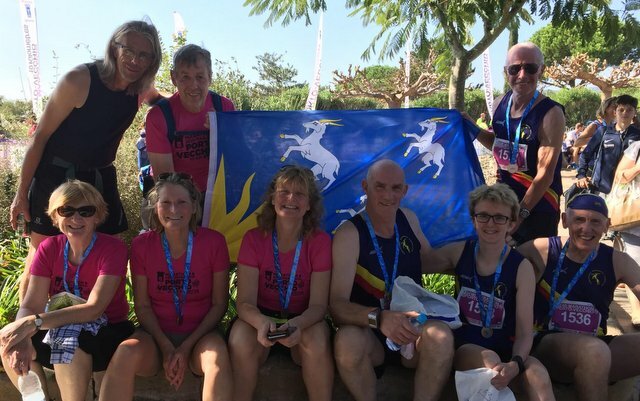 On the Meirionnydd running Club's Autumn holiday to Corsia several members participated in the Half marathon at Porto Vecchio. First home was Juliet in 1:54:35; followed by Nich Bradley 1:56:03; Pete Nocholls 2:04:03 and Kevin Evans 2:25:05. 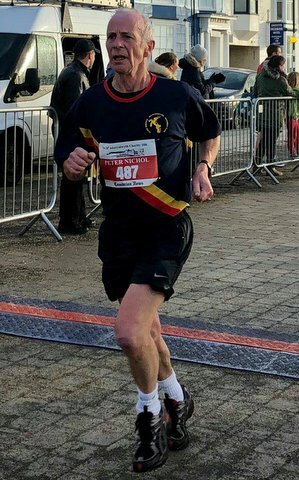 21/10/18 Ron Skilton Half Marathon. 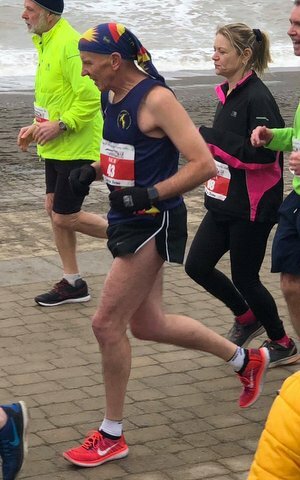 Jimmy Carter ran in the Ron Skilton Half Marathon finishing in a time of 1:42:21. 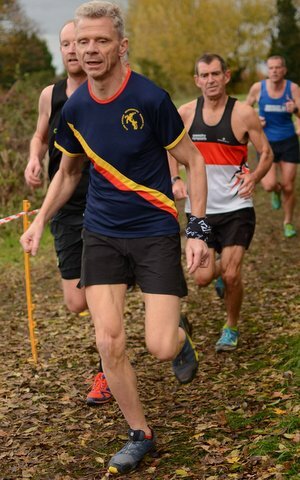 20/10/18 Fox hill, Colwyn Bay, North Wales Cross Country League, Race 2 of the season. Well done everyone, great effort today and fantastic to see such a great turn out. Fox Hill was one tough race but thoroughly enjoyable (especially looking back at the experience). The raceing started with the women and junior runners. 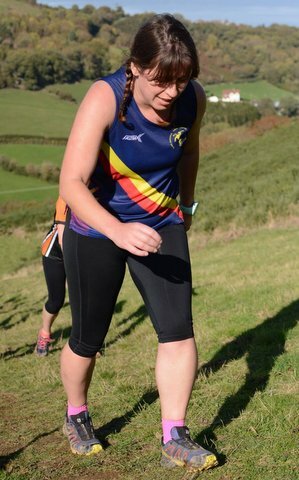 In the women race Meirionnydd finished 13th so dropped down one place to 12th in the DIV 2 league table. Men team finished 1st in division 1 first on the day pulling away from Buckley and threatening Shrewsbury’s place at the top. Meirionnydd won first team. Tom Roberts 3rd 33:26, Alun Williams 5th 33:50 and Gwion Bobo Roberts 7th 35:23. 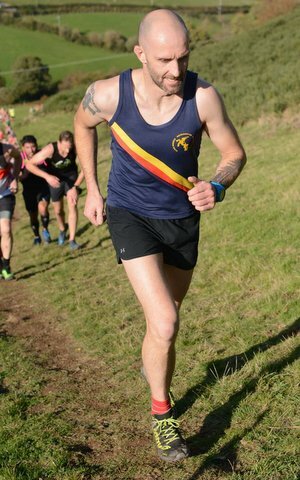 In the last race of the WFRA Wales Championship Jeremy Randell finished in 1:10:27 claiming 2nd M55 in the race. 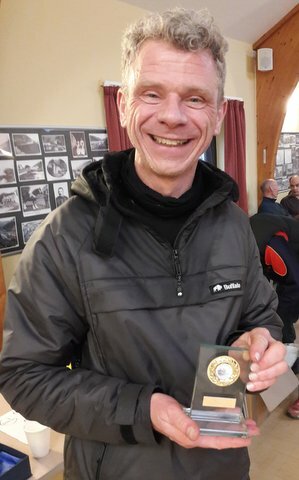 Jeremy has already won 2nd place in this years WFRA North Wales Championship. The race will be determined by those runners who complete the most number of laps in 3 hours. Team race: Looking good in blue Team comprising of Justin Pilkington, Shane Jones and Karl Cooper completed 10 Laps in 3:08:13. 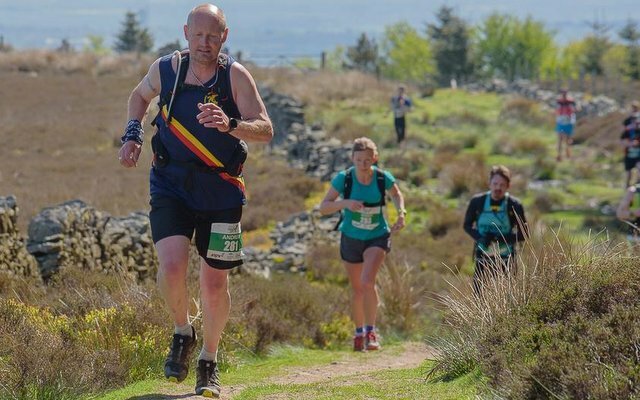 The Brown Clee Burn is a tough multi terrain run of approximately 11k (well, actually 11k and 60 metres) with something for everyone – steep technical climbs, long descents, amazing views and plenty of bonhomie! 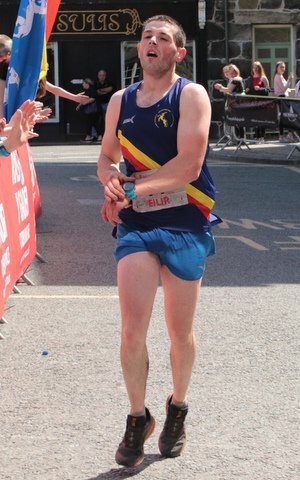 Meirionnydd’s sole runner was Olly Downing who finished in 1:07:34. 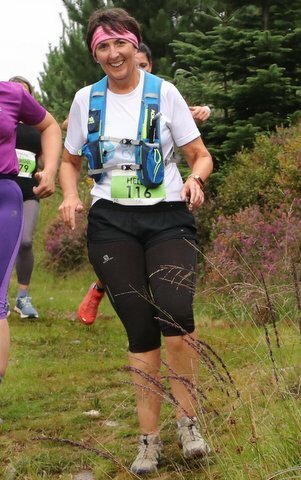 Very interesting run last Sunday at the Kielder Marathon. Lovely trails round the reservoir and I really enjoyed it. Not quite sure what to take from the run though - had a good start then slowed down (a lot) after half way and somehow found a massive burst of speed at the end. 4hrs 52.44 doesn't really explain or make sense of it. The only conclusion I can come to is that even when it feels like there's nothing left, the body has reserves that can be tapped into if you really want them. 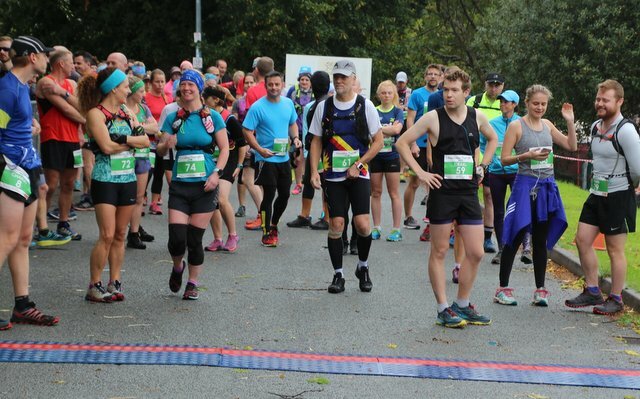 Six Meirionnydd runners were in action at the Cardiff Half Marathon. Jack Rayner Unaffiliated won the race in 1:01:01 and the first woman was Juliet Chekwel in 1:09:45. 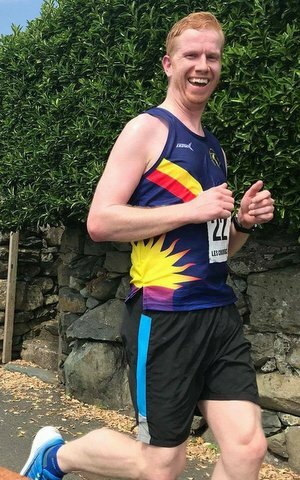 Meirionnydd’s first runner in was Dylan Evans in 1:35:30 followed by Ben Wells 1:40:41; Naomi Parry 1:51:51; Jude Evans 2:10:25; Helen Jones 2:20:52 and Sheila Symonds 3:51:24. 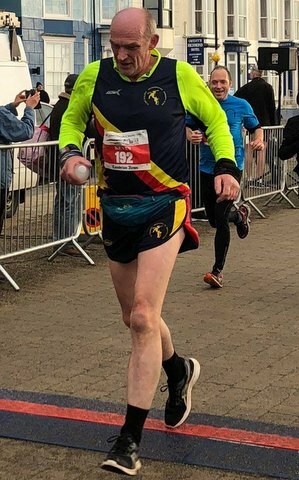 Peter Barnes finished the Chester Marathon in 4:42:00. 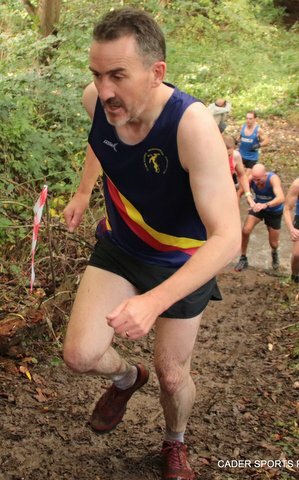 6/10/18 Baschurch North Wales Cross Country League. Excellent turn out in the first of this years Cross country races with over 180 runners starting . The first race started with the women and junior runners. 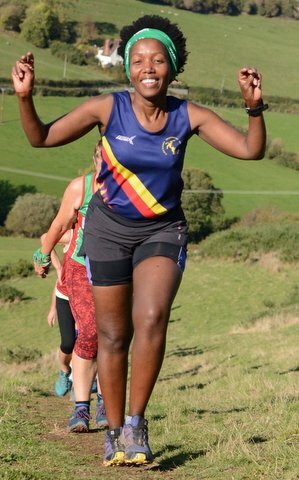 In the women race Meirionnydd finished 11th but there is a cluster of clubs very close on points which will lead to an interesting match at the next fixture in Colwyn bay in two weeks time. Men team finished 2nd in division 1 with Buckley snapping at our heels just three points behind. 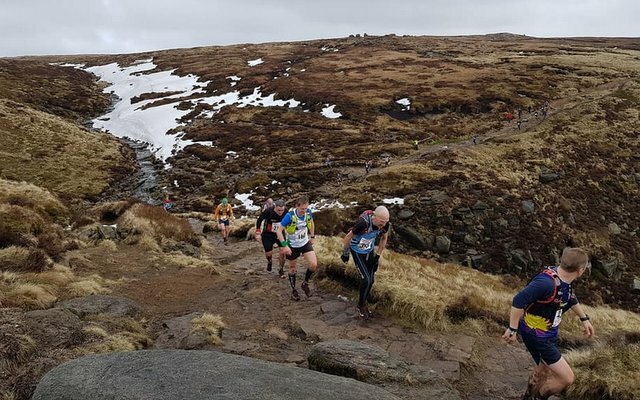 Jeremy said This is a new 16 mile race by Hayfield fell runners with quite a few hills (over 4900 ft of climbing) over rough terrain which made it quite tough going at times. I ran around with a friend from work and it turned out to be quite a pleasant day out! I reckon I might just race this one next year. 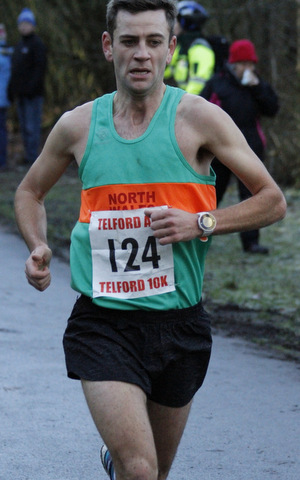 Race was won by Jack Wood from Ilkely in 2:22:24. Jeremy finished in 3:48:29. 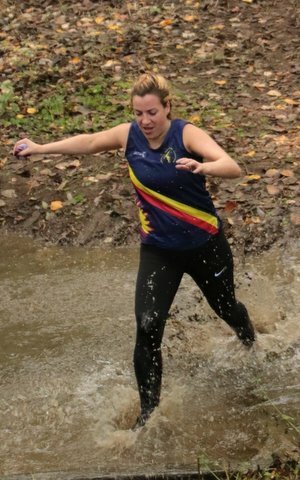 30/9/18 Powis Arms Bury Ditches Hill Race. 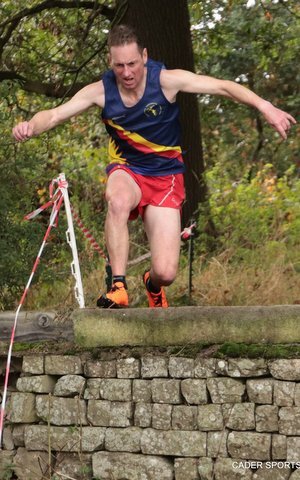 Race winner was Jack Agnew, Mercia Fell runners in a time of 37.16. 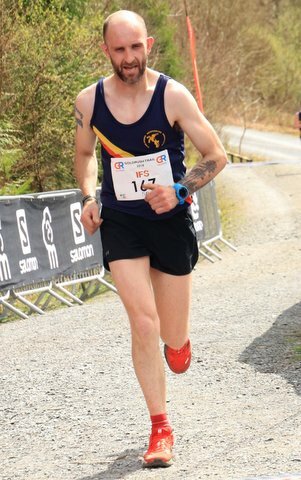 Sole Meirionnydd runner was Josh Jones who finished in a time of 47:01. 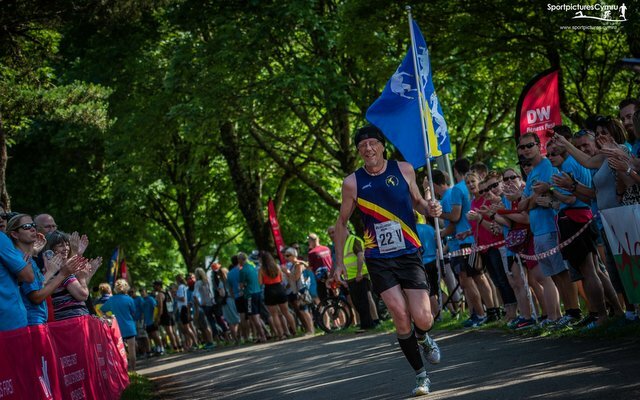 The Trailffest half marathon is one of the most scenic you could hope to run,with dramatic changes of scenery and terrain all the way to the finish line. 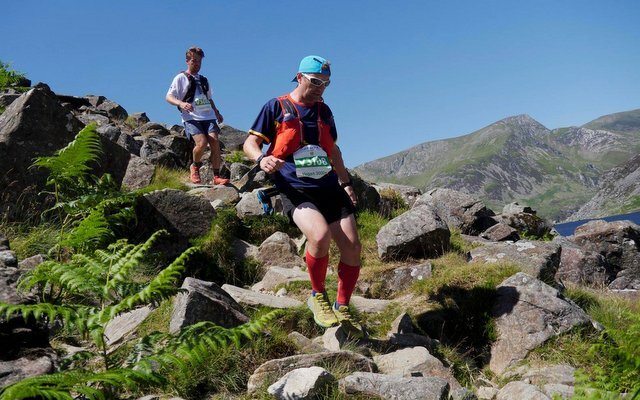 With the start 710 feet up in the Moelwynion mountain range in the Snowdonia National Park and the finish down at sea level it may sound easy - but don't be fooled,there are some very steep and challenging climbs along the way. Your adventure starts in the rugged slate town Blaenau Ffestiniog and finishes in the pretty harbour town of Porthmadog. 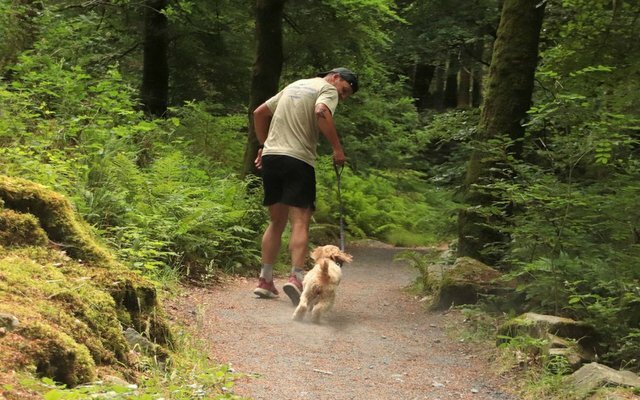 The route takes you past the industrial slate quarries then down through the beautiful vale of Ffestiniog.You will pass through open countryside into the wooded lower slopes then on into the forestry plantations. 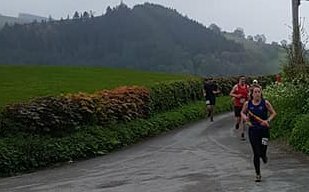 After a short ( and by then welcome ) section on a small tarmac road you end your race along the Cob embankment with stunning views of the mountain range you have just come from on your right and the sea on your left. 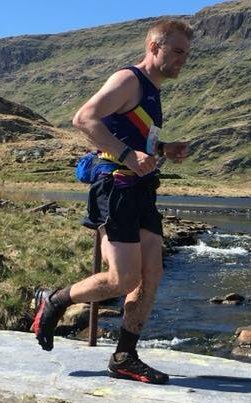 This year’s winner of Trailffest was Meirionnydd’s Alun Williams who won in a time of 1:22:25 following Alun home for Meirionnydd was Dylan Evans who finished in 1:47:44. 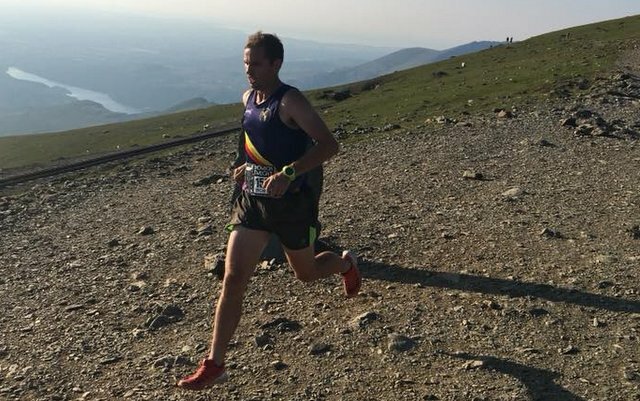 Two Meirionnydd runners ran in the Elidir Fawr fell race. First home was Josh Jones 1:21:28 and following was Nia Davies in 2:00:00. 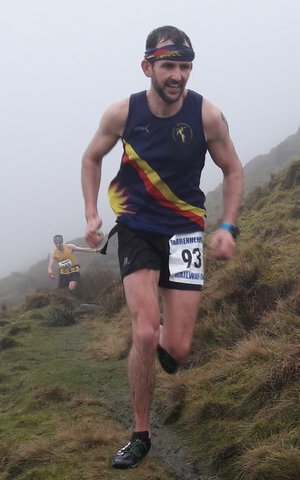 Jos said First race in my big comeback today at the Elidir Fawr fell race. Not got the climbing legs yet but that will come. Joining me today was Nia. I think she enjoyed it. I also missed a style towards the end and ended up having an argument with some barbed wire. 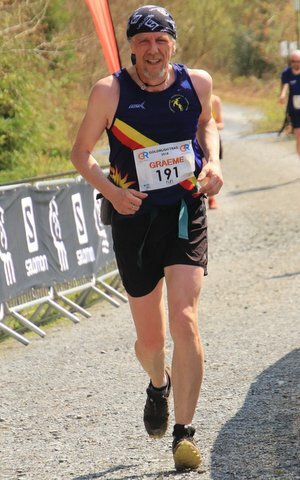 22/9/18 Chaparral Abersoch Half Marathon. 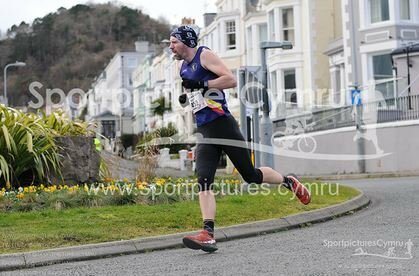 Pete Barnes completed the Abersoch Triple crown by completing the Chaparral Abersoch half marathon in 1:58:38. By combining his time from the previous 10k, Sprint Swim and T1 and the half marathon he finished the triple in 3:28:25. 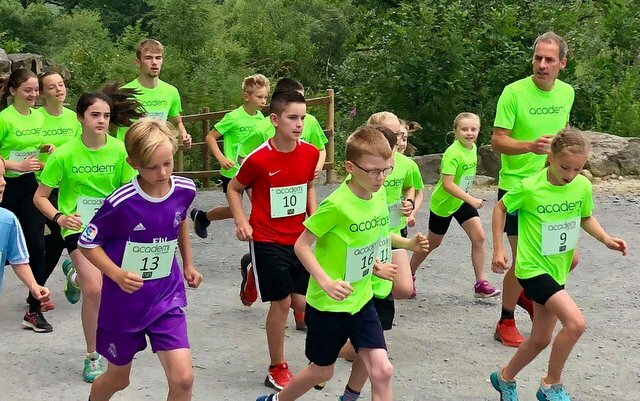 22/9/18 North Wales Junior Mountain Running Championships 2018. After the week of high winds and rain, it was an overcast but fine day for the 12th NWJMRC on the Great Orme, Llandudno. 70 children took part in the event, with 6 races covering the age groups under 9 to under 19. 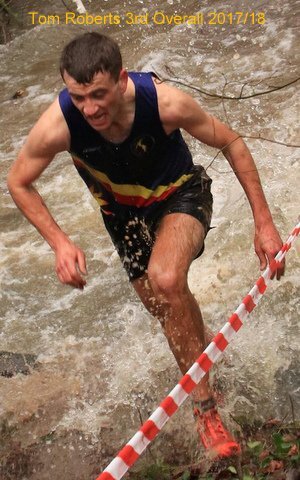 Euros Evans claimed 3rd in the U17's category. 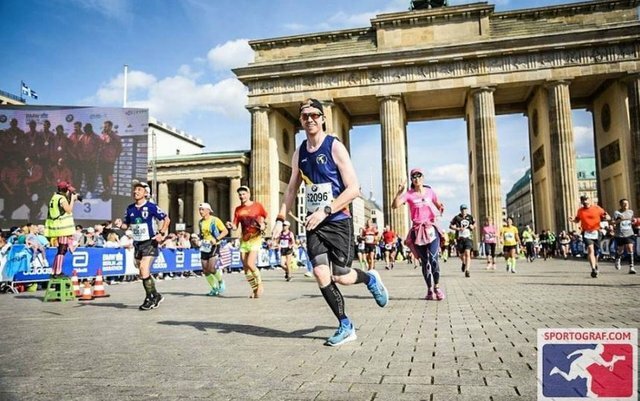 16/9/18 45th BMW Berlin Marathon. 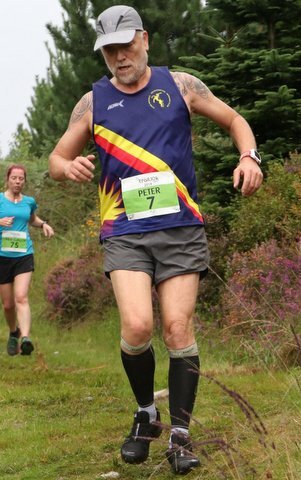 Meirionnydd’s man on the scene was Andre Bright, who kept the pressure on Kipchoge, finishing in a time of 4:48:43. Peter Barnes finished in 1:31:25. Gwion Roberts finished 2nd 16.56. 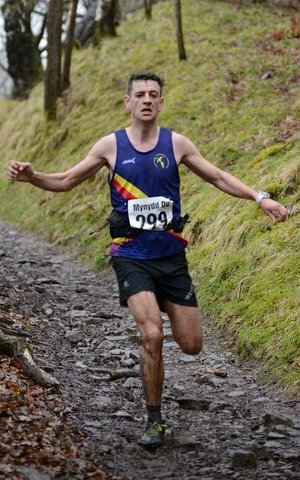 Andrew Ellis was the only Meirionnydd runner at the Up Hill and Down Dale Bala Festival. Andrew finished in 1:56:44 to claim 2nd M50. Great news from Jeff Davies. 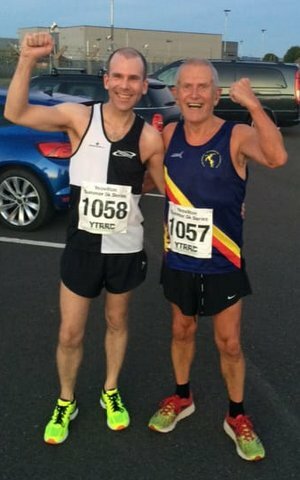 After donating one of his Kidneys to his son Huw this Spring, Jeff messaged to say: My son Huw and I went to Yeovilton to do the 5K. 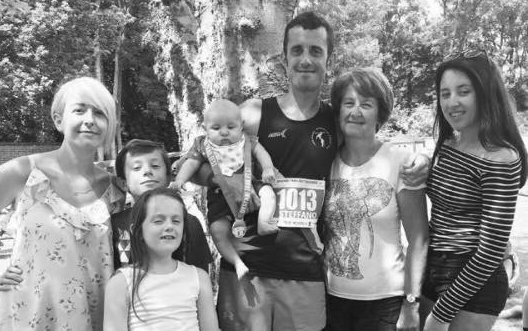 It was his first race for nearly 4 years and just under 6 months since the transplant. We were both a bit apprehensive before the start. It was quite an emotional moment. Anyway, results. Huw finished in 20.23 and I finished in 22.24. We were both ecstatic! Great news, Congratulations to you both. 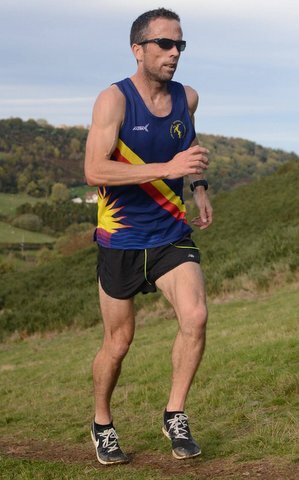 The race was won by Eryri Harrier’s Tom Wood in a time of 48:27. 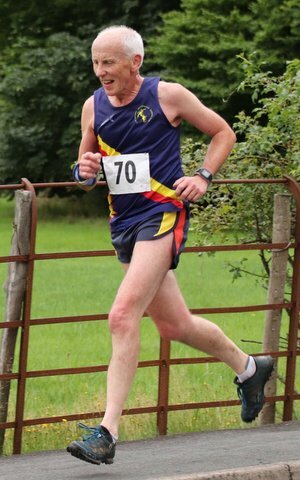 Meirionnydd’s Jeremy Randell claimed 1st M55 in a time of 56:10. 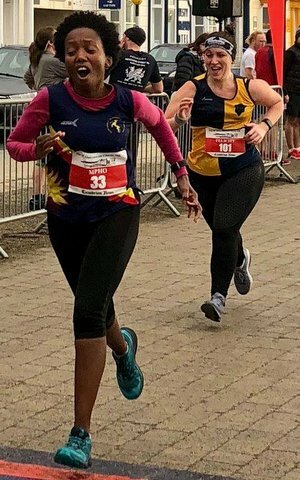 9/9/18 Beaumaris Run fest Half marathon. 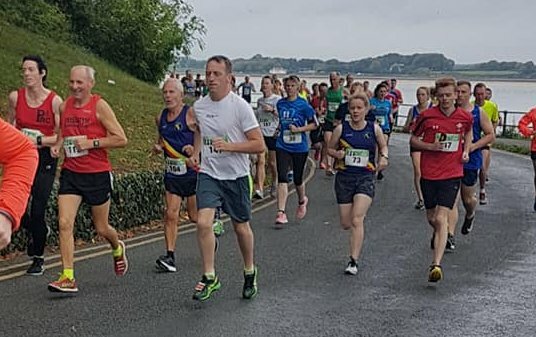 Tom Roberts (in Yellow) won the inaugural Beaumaris Run from Coast to Castle in a time of 1:15:47. 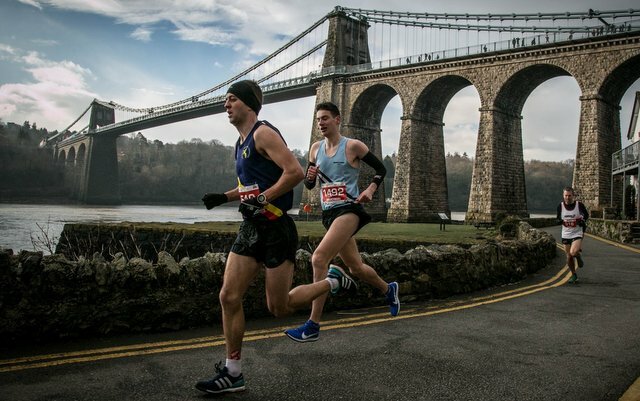 The inaugural Beaumaris RunFest has secured one of the most stunning course locations in the UK for this beautiful festival of running on the Isle of Anglesey in North Wales. Setting off to the sound of cannon fire from the picturesque seafront in the stunning seaside town of Beaumaris on the banks of the Menai Straits, the routes enjoy stunning views of the mountains of Snowdonia and the spectacular Menai Straits whilst the Half takes runners out to Penmon Point and its famous lighthouse. With a few challenging climbs en route (the half marathon is quite hilly!) the races finish, along with the Fun Run, at Beaumaris Castle which is steeped in history. 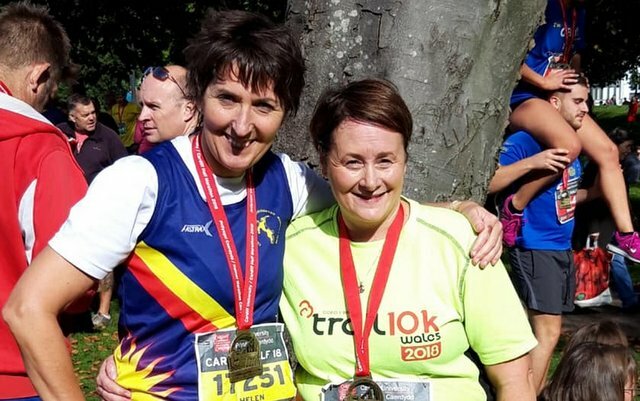 Two Meirionnydd runners ran in the Vyrnwy Half marathon. First home was Jimmy Carter in 1:30:15 followed by Richard Hankinson in 1:50:19. A 30 miles ultra on two cycle paths near Llanelli. 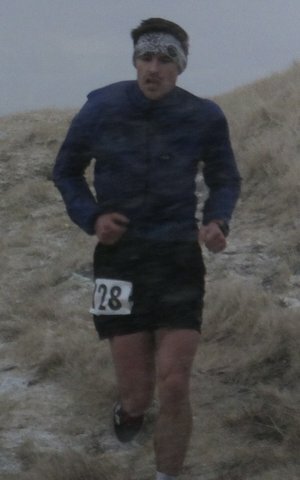 Richard Hankinson finished 28th in 6:07:30. 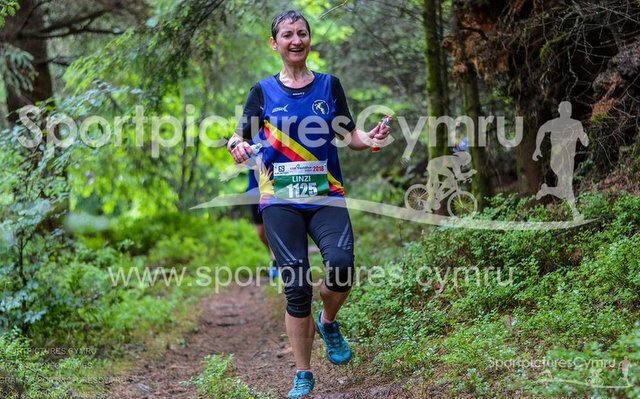 2/9/18 Trail 10k, Coed y Brenin. 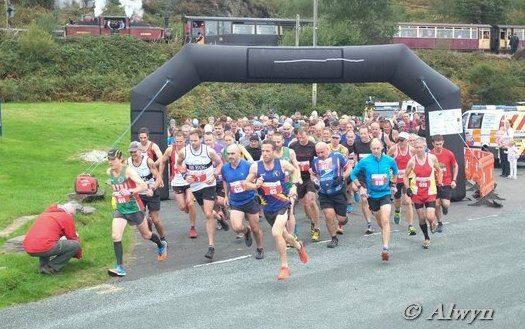 Excellent turnout for meirionnydd at the Trail 10k in Coed y Brenin. 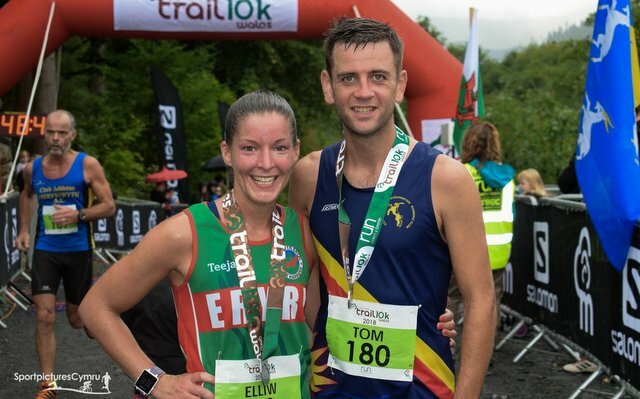 The race winner was our own Tom Roberts 1st in 37:58 and first lady was Elliw Haf from Eryri harriers in 46:39. 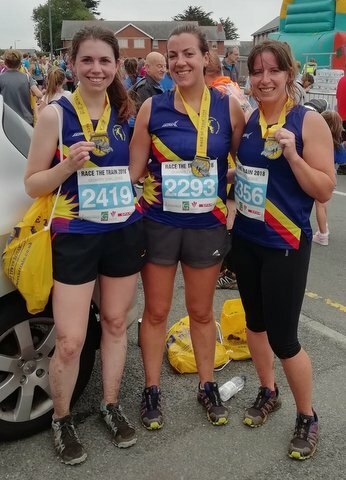 Four Meirionnydd runners ran in the Caernarfon 10k incorporating the North Wales 10k Championship. 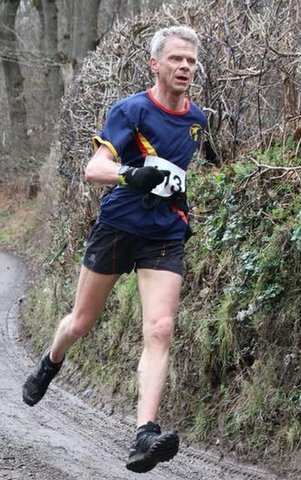 First home was Arfon Hughes in 46:52; followed by Jeff Davies claiming NW Champ 1st M70 in 50:25; Sioned Mair Jones claiming NW Champ 2nd F40 in 53:31 and Sheila Symonds claiming NW Championship 1st F80 in a time of 1:42:49. 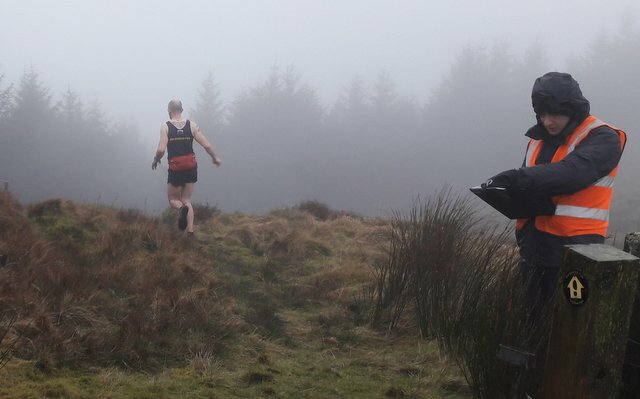 Gwion Roberts and Tristan Evans ran in Ras Cnicht. The race was cut short due to strong wind and rain. Tristan finished 2nd overall in 33:48 and Gwion was 3rd overall in 38:12. 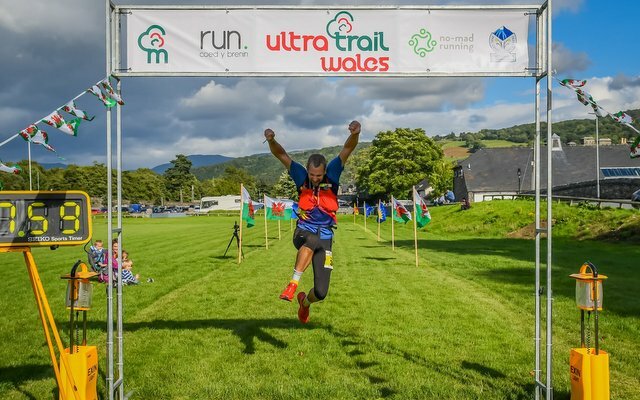 25/8/18 Ultra Trail Wales UTW. 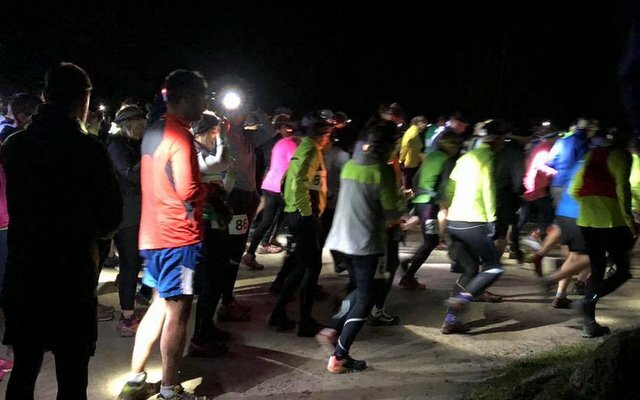 Eighty two runners ran in the First ever UTW. 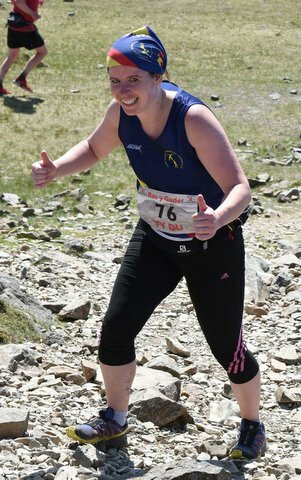 The winner was Charlie Sharp U/A in a time of 8:43:20 and the first woman was Andrea Rowlands from Eryri Harriers in 9:42:20. 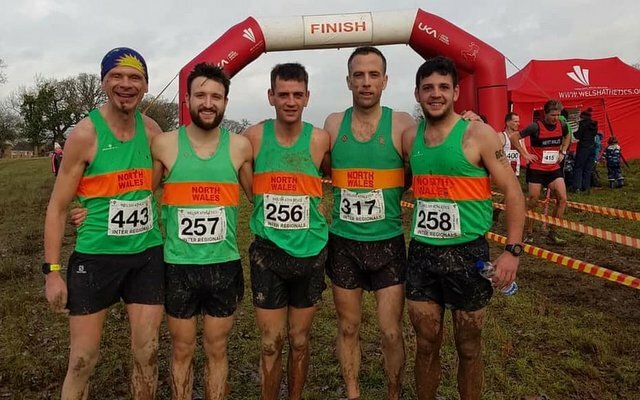 Six Meirionnydd runners took on the challenge and first home was Mat Fenwick in 10:48:05 followed by Ben Wells 12:23:24; Dylan Evans 13:01:56; Andrew Ellis 13:38:59; Justin Pilkington 14:38:26 and Richard Hankinson 17:47:23. 18/8/18 Race the train, Tywyn. 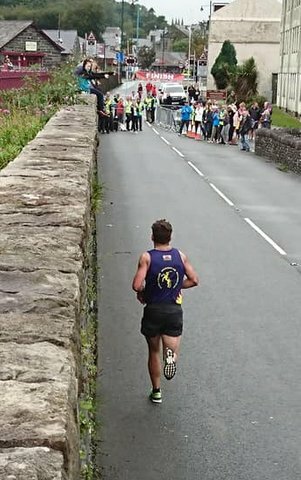 One Meirionnydd runner in the Rotary Challenge 14 miles: Olly Downing who finished in 2:35:03. 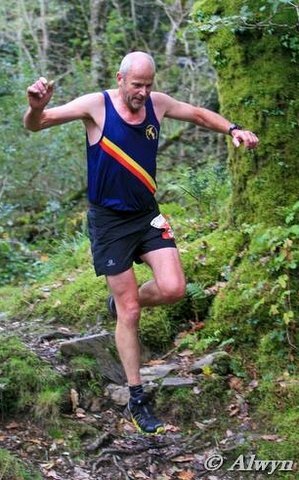 18/8/18 Trefriw mill fell race. 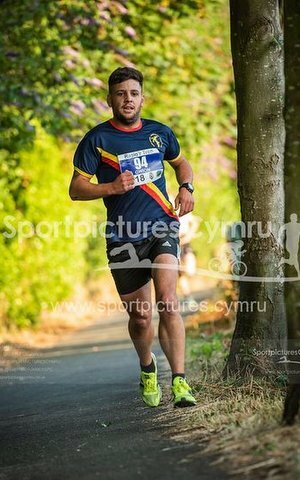 Jez Brown from Buckley runners won the race in 1:43:54 and the first lady was Miranda Grant from Eryri Harriers in 1:48:22. 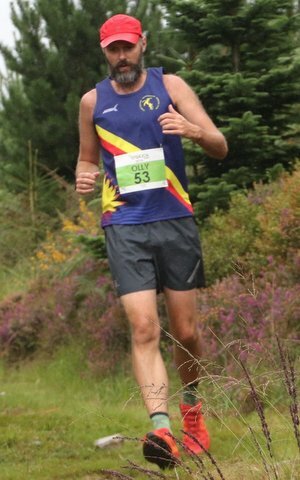 First Meirionnydd home was Gwion Roberts in 1:59:31. 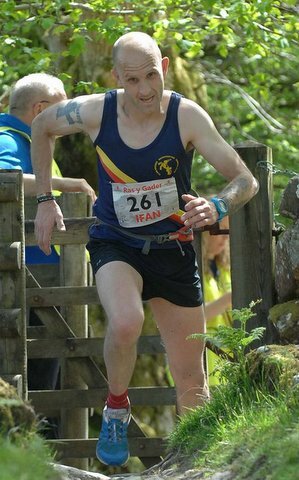 Gwion said "Loan goat at Trefriw Mill Race today, 8th overall in 1:59:29! 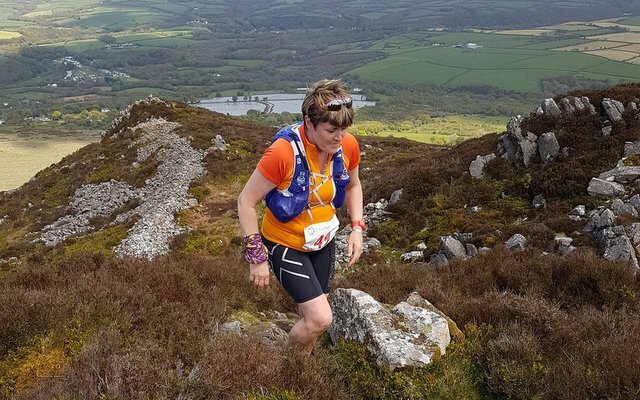 Good race but poor visibility meant i took a wrong turn and got myself a bit lost." 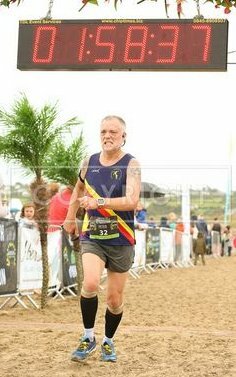 Two Meirionnydd runners rann Aberystwyth AC's Borth Beach 10k. First home was Andrew ellis 43:45 claiming 1st M50 followed by Naomi Parry in 48:36. 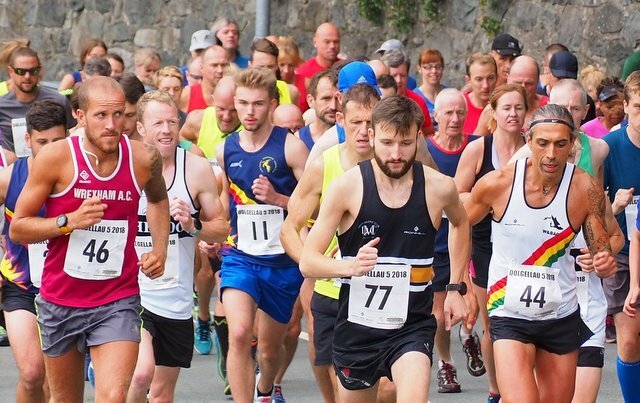 The first ever Cybi Coastal Marathon took place on Saturday 4th August 2018. Circumnavigating Ynys Cybi on the Welsh national coastal footpath and Anglesey coastal path. 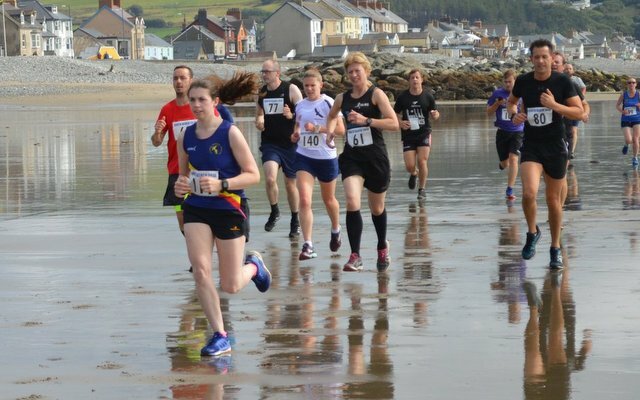 Cybi Coastal is hoping to establish itself as one of the most scenic marathons in the UK. 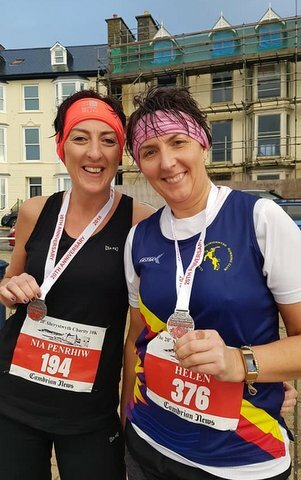 Two Meirionnydd runners completed the Cybi Coastal Marathon. Ricahrd said "bit hotter than I’d have wished but such a scenic route. 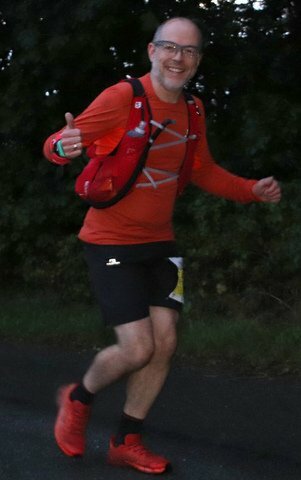 Nowhere near a pb (6hrs 40) but that’s not a problem, plenty of photos to remember it by. Had tried to do it unsupported but it was too hot so refilled water bladder for safety." First home was Dylan Evans in 5:01:33 and followed by Richard Hankinson in 6:40:14. 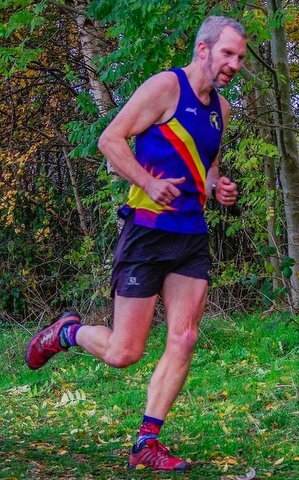 Quite an evening for the club claiming 1st, 2nd, 3rd and 4th place with Tom Roberts in 14:47 taking the win; Tristan Evans in 15:48; Gwion Roberts 16:26 1st SM and Jimmy Carter in 17:13 1st M40. 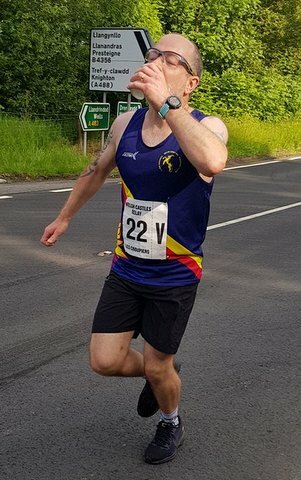 Andre Ellis 1st M50 in 18:55; Dylan Evans 19:07; Shane Jones 21:22 1st M35; Nich Bradley 22:04 1st M60; Pete Nicholls 22:45; Kevin Evans 25:47; Chloe Evans 26:33 1SL; Jude Evans 26:39 1st W50. After months of bright sunshire and drought conditions the forecast today was for strong winds and rain. Luckily, appart from a five minute squall, the weather held off and the day was enjoyed in bright summer sunshine. One hundered and four runners competed in the race. 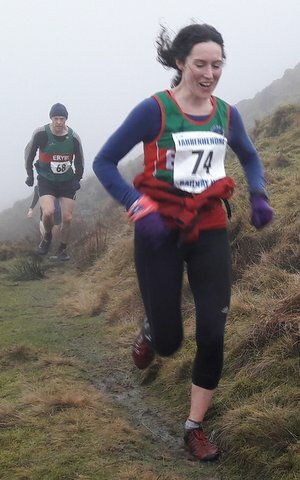 This years race was won by Owen Roberts from Rhedwyr Hebog Running club with a time of 26:25 and the first woman was Nicola Davis from Maldwyn Harriers in 33:26. Short race 2 miles Results. 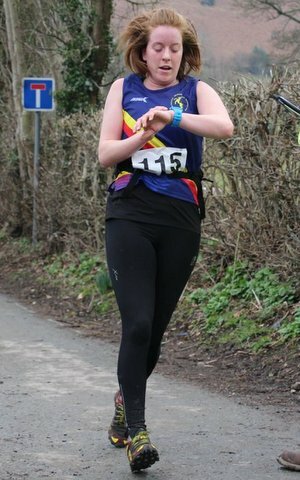 In the Fun Run, 1 mile: The winner was Chardonnay Morgan from Welshpool in 10:49. 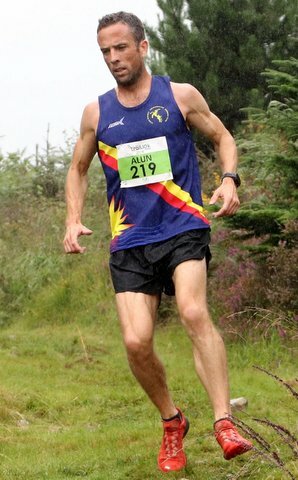 Alun Williams 27:47 3rd M35. Euros Evans 31:10 2nd Junior. 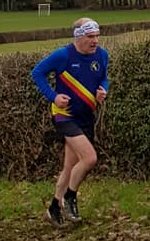 Jimmy Carter 32:14 1st M40. Allanah Fenwick 40:15 2nd F40. 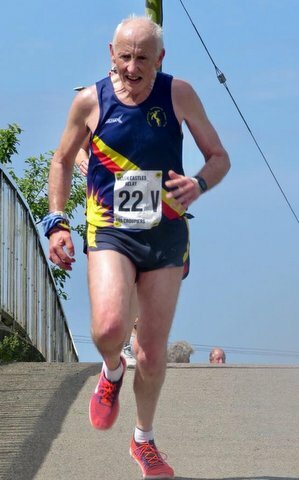 Peter Nicholls 40:57 2nd M65. Naomi Parry 41:57 2nd Senior Women. Gerald Cooper 42:21 2nd M55. Oliver Downing 43:56 3rd M40. 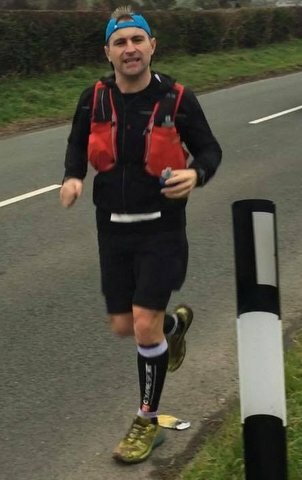 Peter Barnes 44:33 3rd M55. 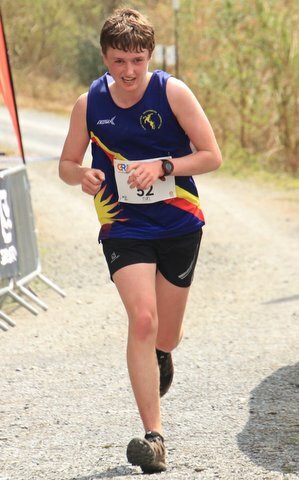 Sioned Mair Jones 45:11 3rd F40. Elly Downing 48:35 2nd F45. Thank you to everyone who participated to make the day so special. 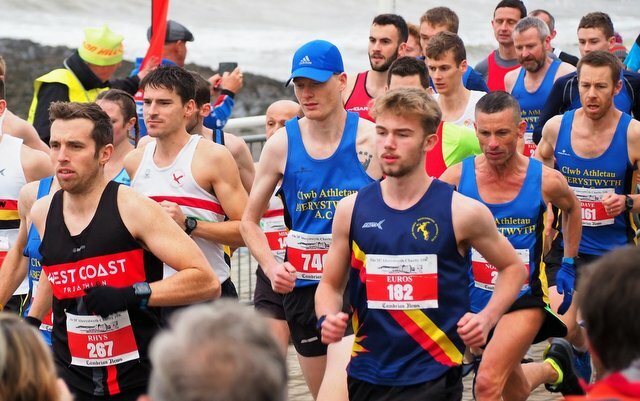 In particular thank you to the following three clubs for supporting our race, namely Maldwyn Harriers who entered eighteen runnners; Aberystwyth AC with ten and Prestatyn Running Club with Nine runners. 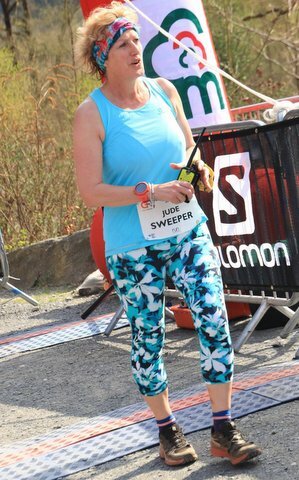 for organising the Fun run, short race and making the medals; Sarah Roberts for the BBQ and each and every one of the kind hearted volunteers that help to make the day so special. Diolch yn fawr. 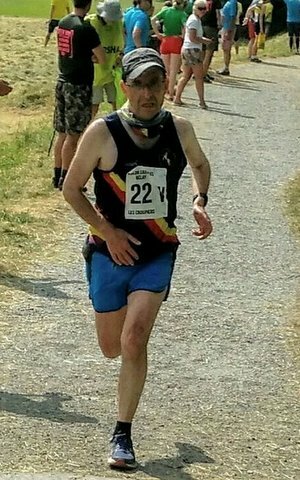 Two Meirionnydd runners ran in the Dorset Invader Marathon. Andre Bright was first home in 6:19:43 closely followed by Chris Anagnostopoulos in 6:26:04. 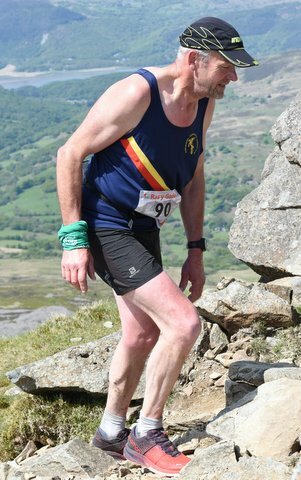 Ten Meirionnydd runners ran in the Snowdon race, a race from the centre of Llanberis up to the top of Snowdon and back. 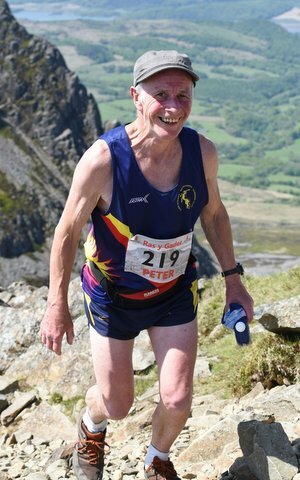 In the 2018 Jewson International Snowdon Mountain Race - Male Club competition, Meirionnydd were Fifth out of 25 club with our counters Tristan Evans, Gwion Roberts, Jimmy Carter. No mean feat considering the other UK clubs in competition. 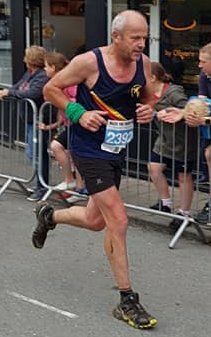 18/7/18 Caernarfon race the train. 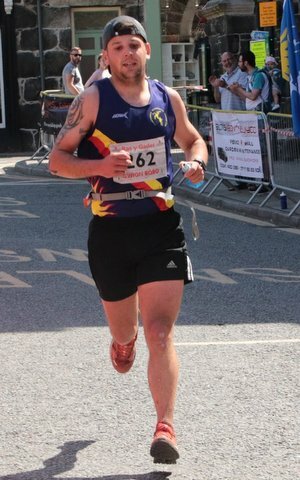 Gwion Roberts ran the Caernarfon race the train 5k finishing in 15:49. 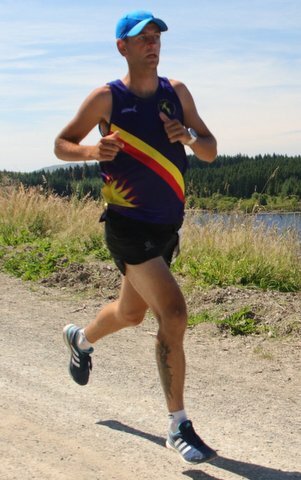 The race was won by Matt Roberts in a time of 14:51. 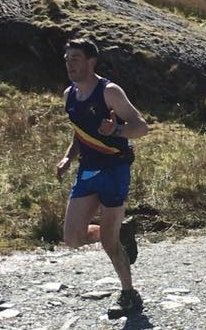 The race was won by Andrew Davies in a time of 23:13 the sole Meirionnydd runner was Jimmy Carter who finished 8th in a time of 28:51. 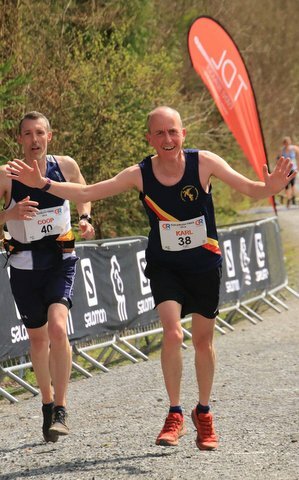 Six Meirionnydd runners took part in the Scott Trail events, 10k, half MArathon and Marathon. 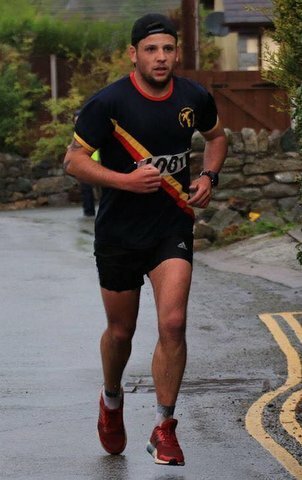 In the 10K Jude Evans was the only meirionnydd runner finishing in a time of 1:18:02. 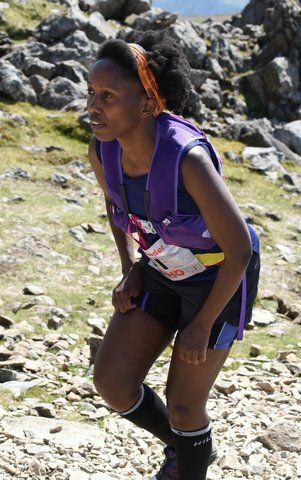 In the Half Marathon Mpho Bogatsu was the only Meirionnydd runner finishing in a time of 3:25:58. 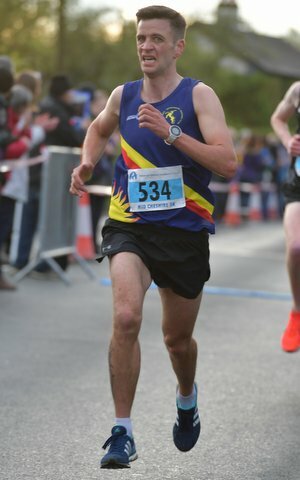 And in the Marathon we had four runners competing and the first home was Mat Fenwick in 4:49:15, followed by Dylan Evans in 5:33:14, Andrew Ellis in 5:42:05 and Allanah Fenwick in 6:44:14. 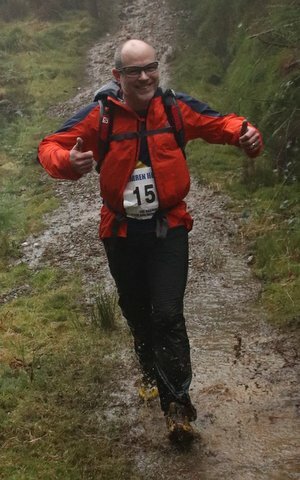 20/6/18 Red Moss Kips race, Scotland. Our own Nich Bradley travelled North of the border to compete and finished the race in 1:04:47. 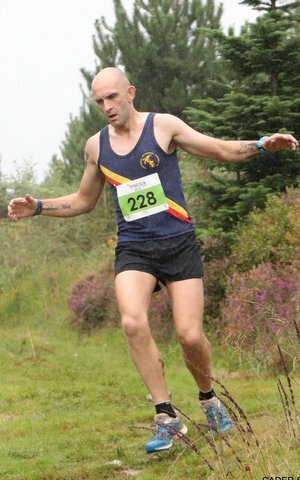 Eoin Lennon from Carnethy Hill running club won the race in 41:04. 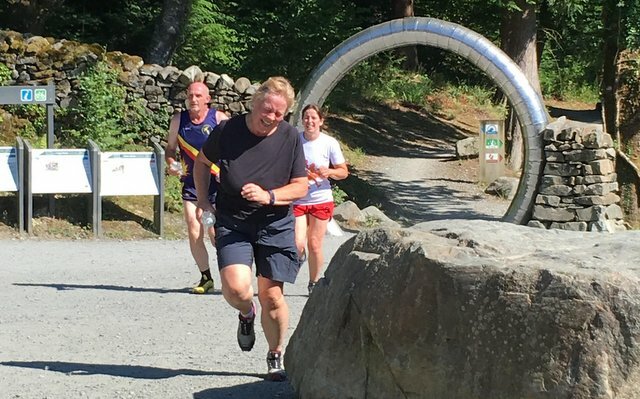 Meirionnydd Running Clubs Dawn to Dusk at Coed y Brenin, Dolgellau. Run or walk a 1 mile loop as many times as you like between 7am and 7pm. 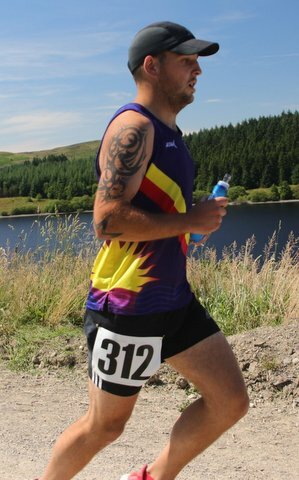 Last year Steffan organised and ran the Dawn till Dusk trailathon at Coed y Brenin raisisng over £3,000 for Brain Tumour Charity (The). 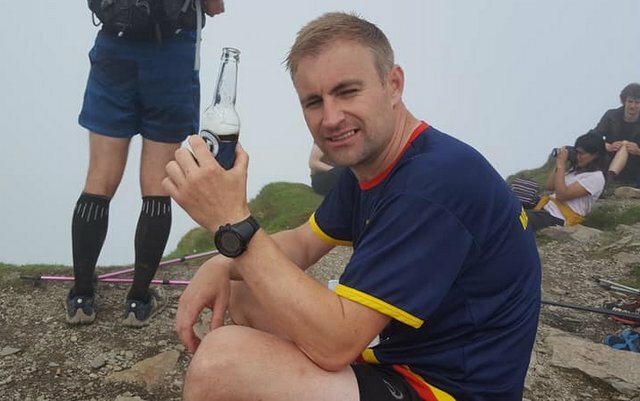 Steffan Owen, Father of four has been battling with a brain cancer for years but now has been rocked by diagnosis of acute myeloid leukaemia. He is currently recieving treatment in hospital and all funds will go towards helping the family with costs of supporting Steffan. A huge thank you to the team at Academi Coed y Brenin for their support. It was inspirational to see the children complete the circuit with such energy. 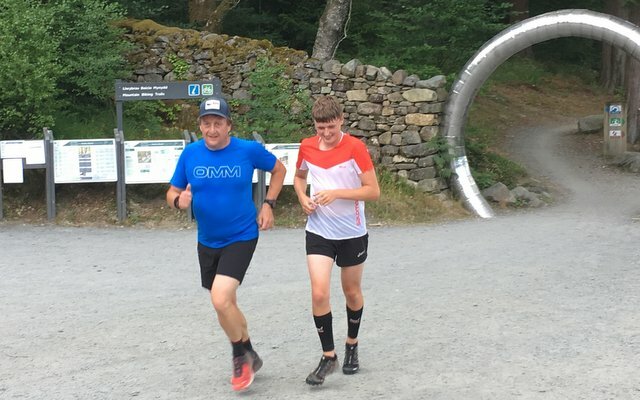 Matt Ward said "Yesterday was a proud milestone in the Academi Coed y Brenin history as 16 members completed 60 laps (over 60 miles) to help raise £120 for the Dawn to Dusk event. Da iawn plant!" 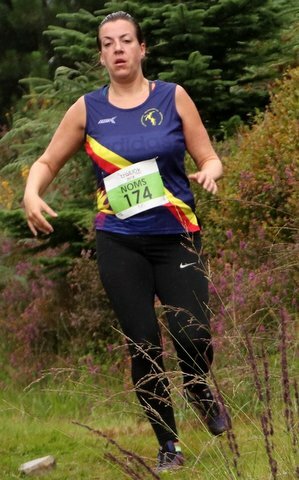 Run Coed y Benin Facebook. Run Coed y Brenin website. 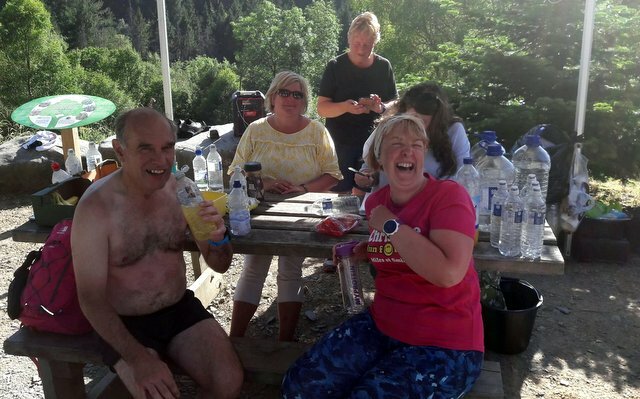 Also Thank you to Co-op Dolgellau for supporting the event by donating drinking water for the runners. Co-op. 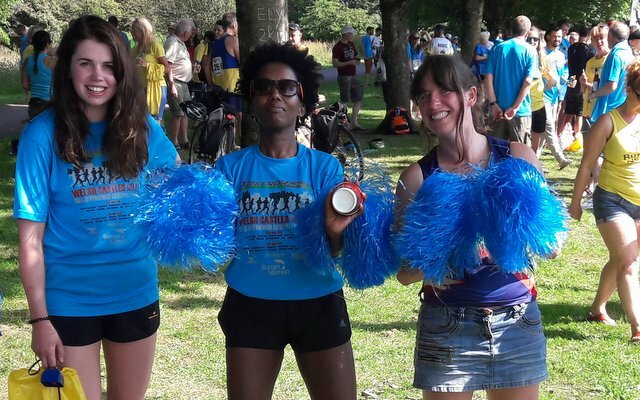 On a glorious sunny day in addition to the Academi runners a host of friends turned out to run or walk the route. Total milage for the day was 427.6 miles. Thank you to Tristan and Elinor for pulling it all together, everyone who participated in the run/walk and everyone who kindly donated. We all send our best wishes to Steffan and his family. Diolch pawb am helpu. Thank you everyone for helping. 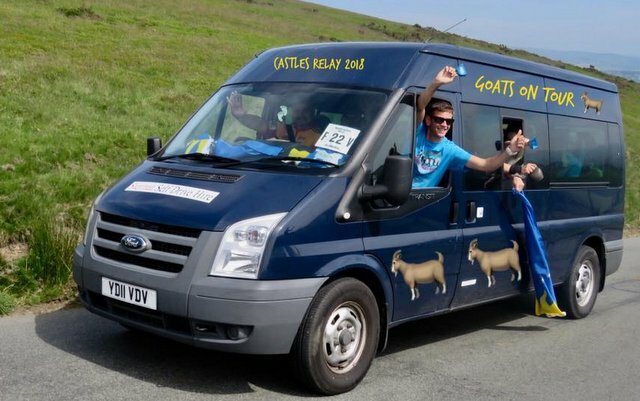 The club put on a minibus to take runners to this years Newtown BBQ 5k. 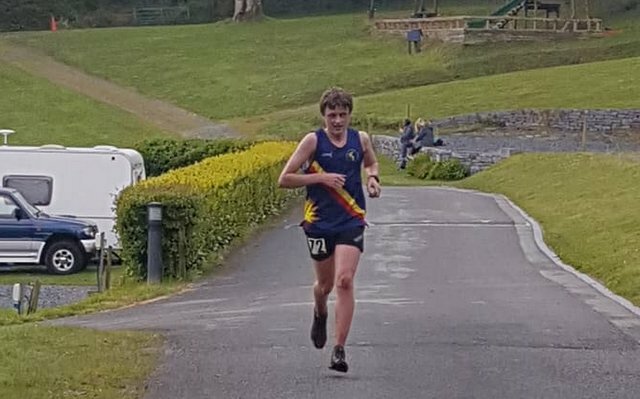 The race was won by Tom Iverson from Builth and District RC with a time of 16:46 and the firt woman was Ffion Price from Cardiff in 17:29. 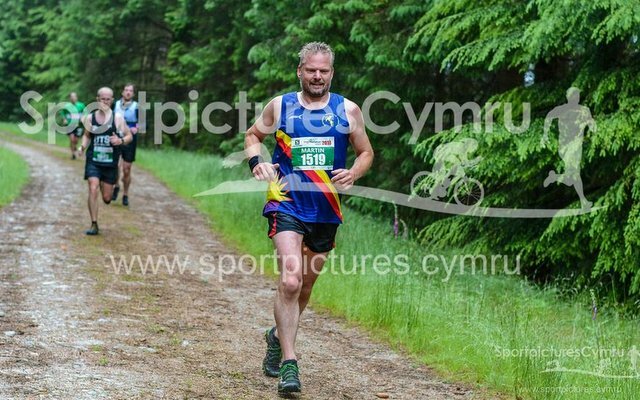 There were nine Meirionnydd runners. 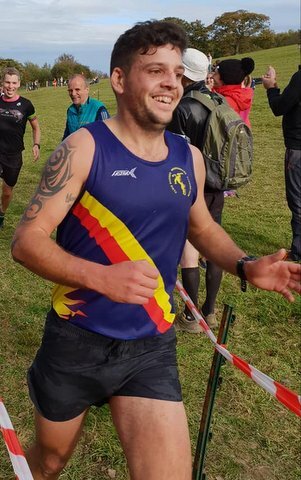 The first Meirionnydd runner finishing was Justin Pilkington in 22:10 followed by Richard Hankinson claiming 1st M55 in 22:58; Juliet Edwards claining 1st F55 in 23:40; Pete Nicholls in 24:57; Nia Davies in 26:51; Sioned Jones in 26:53; Naomi Redman in 27:01; Chloe Evans in 28:42 and claiming 1st F80 Sheila Symonds in 48:04. 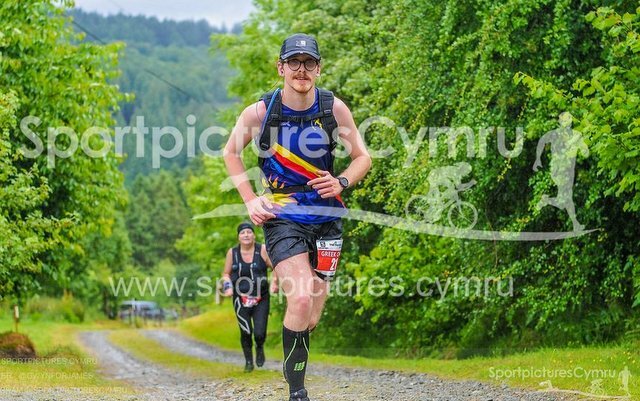 1/7/18 Fairy Freckled cow incorporating North Wales Trail Championship. 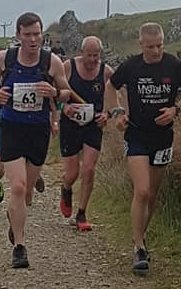 Five members took part at the Fairy Freckle Cow race around Llyn Alwen Tom Roberts was 1st overall ,Gwion Roberts 6th David Whittey 1st over 60 and well done Sandra Williams and Elly Downing. This race was also the North Wales Championship Tom Roberts the championship Gold, Gwion Bobo Roberts Bronze and David Whittey Gold in the M60. 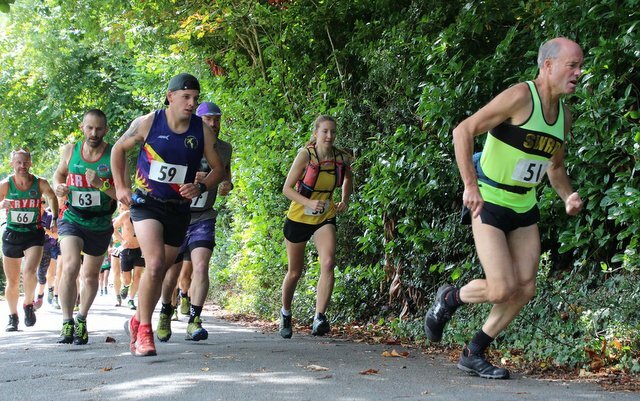 Tom Roberts won the race in 38:22 followed by Gwion Roberts in 44:33; Dave Whittey 54:62 1st M60 and Elly Downing and Sandra Williams in 77:29. 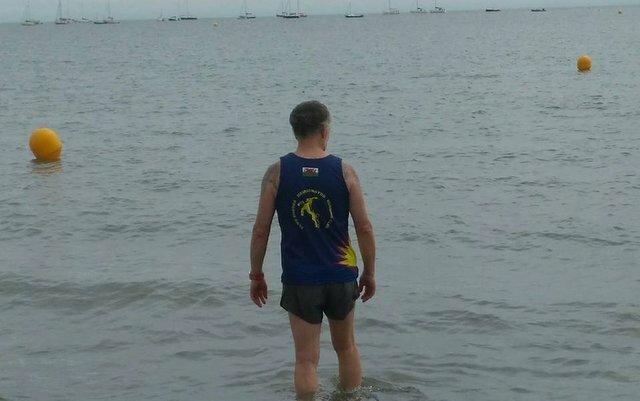 30/6/18 Abersoch triple crown, stage 2 Triathlon. 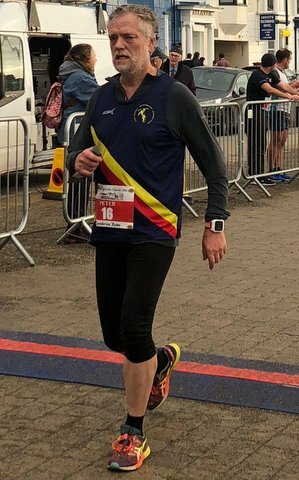 After completing the 10k Peter Barnes took part in the second event of the Abersoch Triplecrown, the Sprint triathalon finishing in a time of 1:00:59. 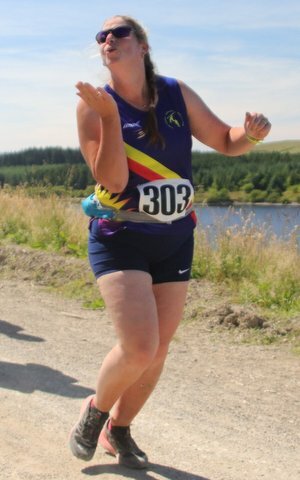 30/6/18 Vegan Welsh 3,000 V3K Ultra. 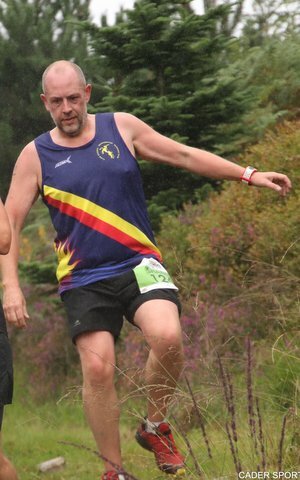 Ben wells said "Amazing day yesterday completing my first Ultra Mountain Marathon Race, the V3K. 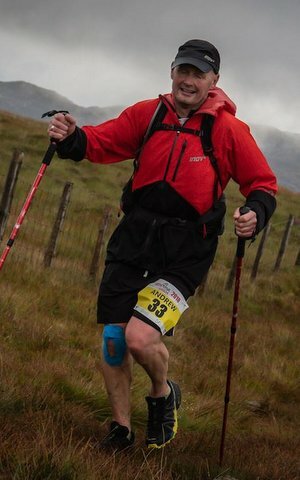 Effectively covering the Welsh 3000s (15 peaks) 35 miles and 4500m. 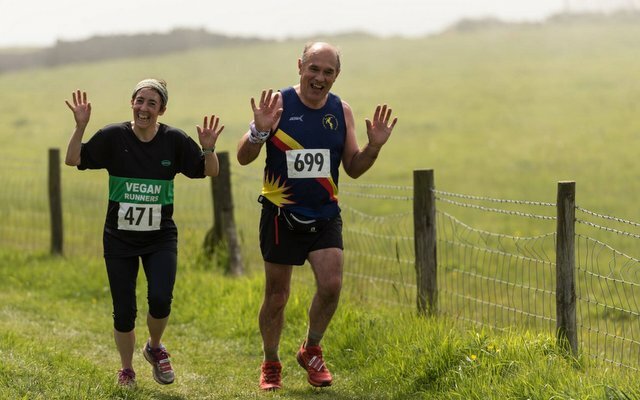 The Vegan 3k requires you to be vegan for the course of the race. Completing the race in 12hr 46. The real challenge was the heat. Starting at 5am from Nant Gwyn Nant the temperature was already 20deg and by the time I hit the summit of Snowdon. By the time I crossed Crib Goch attention turned to how I could effectively take fluids on without running out. We were required to carry 2 litres between aid stations but this really wasn’t enough. Amazing day as many have said before the mental battle is the hardest. I had one low moment coming off Y Elen I looked across to Tryfan and then across to the Carneddau which seemed miles and miles away (they were actually) and I thought I just can’t be doing with this today. I soon came through that by looking back and seeing how far I’d come. 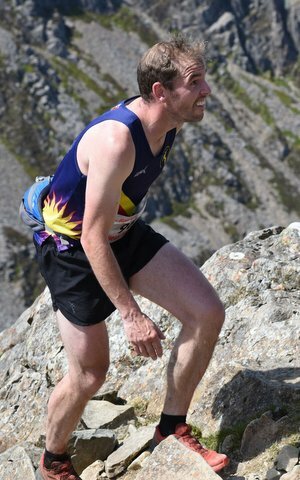 I was soon on Tryfan and as with Crib Goch this was my territory and started to pass lots of people that gave me a lift, in-fact I was able to guide a few competitors up the grade one scramble and down the West gully. Having left Ogwen check point I felt fantastic having some Vegan food (jam sandwich and coffee) and a 15 min break , change of socks and knowing it was only 16 miles ahead with just one big climb onto the Carneddau. 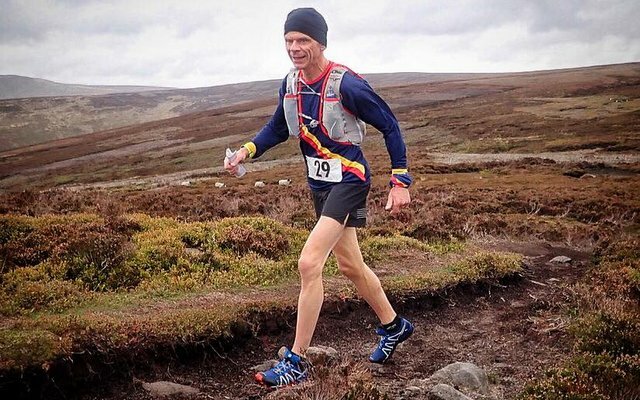 I soon caught my good mate Andrew Holt who was suffering bad with his core temperature through the roof , he’s clocked me on the online tracker and saw I wasn’t far behind deciding to wait and make the decision if he would carry on or not. After a quick chat , he decided to carry on with me at my slightly slower pace , which got him back feeling ok again. 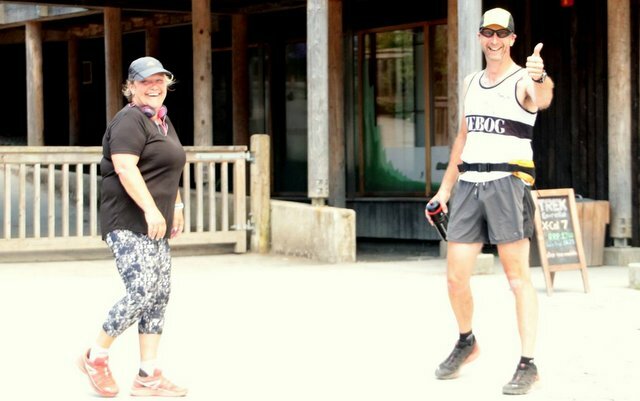 It was great to do the last 15 miles with someone for encouragement as well." 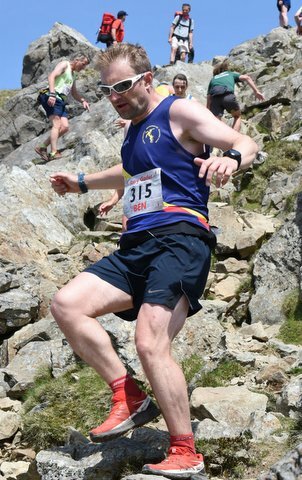 29/6/18 Inov8 Snowdon Twilight Uphill Race. 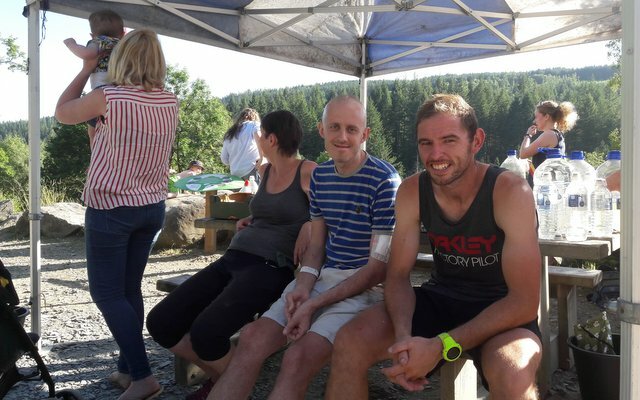 Returning back to running after surgery to donate one of his kidneys to his son was Jeff Davies. 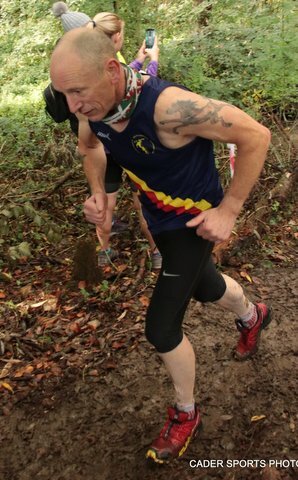 He ran in the Boconnoc 5 Mile an undulating Multi Terrain Run near St Austell. Jeff Davies finished in 47:36. 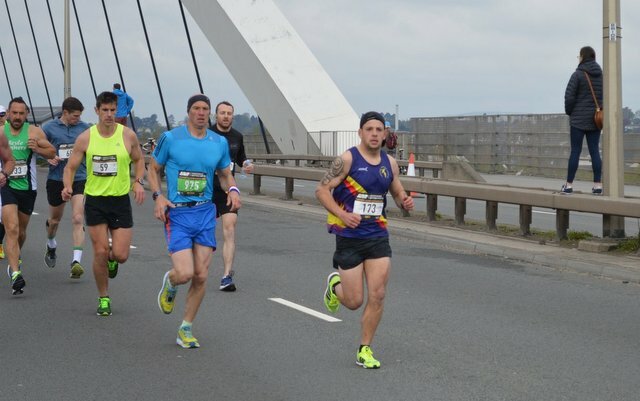 Three club runners completed the Full Marathon first home was Justin Pilkington in 4:42:53 followed by Christopher Anagnostopoulos in 5:44:18 and Richard Hankinson in 6:38:09. 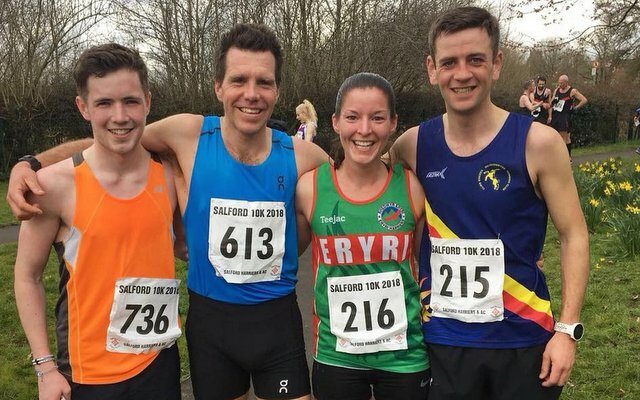 Four club runners ran in the Half marathon and the first home was Dylan Evans in 1:56:53 followed by Martin Skelton in 2:09:33; Linzi Cooper in 2:24:12 and Helen Jones in 2:52:09. Jude Evans swept the half route. 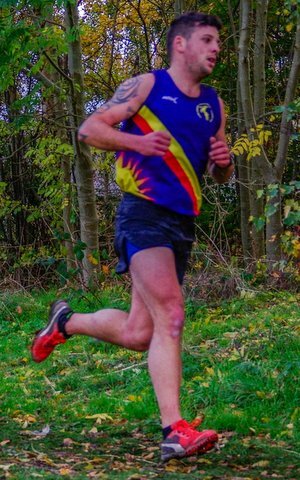 In his first race in club colours Euros Evans won the Friday Night 5k in 22:39. Once again this year the weather proved to be a challenge at times. But instead of pouring rain we had blazing sunshine all weekend! Last week was a bit stressful with some having to pull out due to injuries after a hard few weeks of tough races leading up to this weekend. So after a bit of swapping and changing our final squad was ready for the two day event. 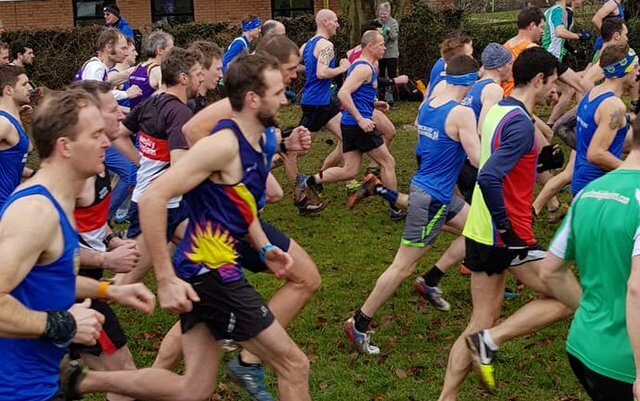 Again for the size of our club over half of the members were involved over the weekend, either running, marshalling or helping with transport. I’ve put some stats together from this year’s race and compared them to last year. This year we finished finished 43rd position, same as 2017, with combined time of 26:37:52. In the king of the mountains, we were 18th in the Mountains Leaderboard after 6 Mountainous Stages, 23rd in 2017. King of the Mountains Results. Four finished in the top 20; Two in the top 10. Nine new runners that hadn’t taken part last time and best of all we had more ladies running. Just to give you an idea of how big some of the clubs were. 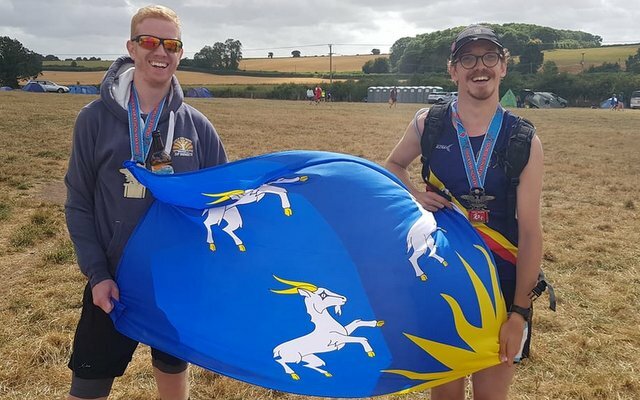 I was chatting to someone from team Bath, and they have over 700 members. We just about have 50 first claim! So this was a brilliant achievement to compete against some of the biggest clubs in Britain. Thank you:There’s so many people to thank, Arfon Hughes was a big help with the registering. Thanks to the marshals that popped to Barmouth. Elinor Jones, Gareth Roberts and Elly Downing made sure everyone was delivered and picked up from their stages and did a fantastic job. And the last massive thank you goes to the fun bus driver Alan Williams. I had such a good laugh on the bus yesterday. Watching Graeme Stringer bringing the team home in Cardiff was such a proud feeling. Knowing that we had completed all 20 stages, and I think everyone had a good time. I know a few of us have niggles or have an injury, the last couple of months have been hectic with races, and I really appreciate the effort you all put in. Everyone deserves a nice break and enjoy a rest! Shall we do it all again next year? Stage 1 - Caernarfon Castle to Penygroes - 9.1 miles. Stage 2 - Penygroes to Criccieth Castle - 10.7 miles. Eilir Evans 7th in 1:07:08. Stage 3 - Criccieth Castle to Maentwrog - 12.3 miles. 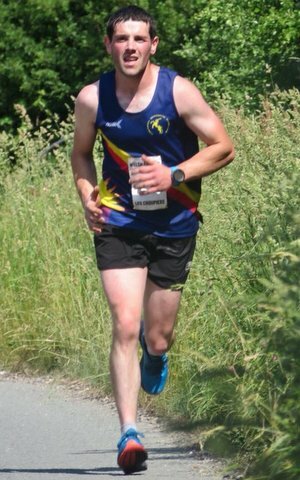 Gwion Roberts 1:21:35; Tough day at the office, heat was a killer and thought my hamstrig was going to snap but lucky i managed to carry on! Finished two minutes slower than last year but 4 positions better in 17th! Thanks all for the support. Stage 4 - Maentwrog to Harlech Castle - 9.5 miles. Stage 5 - Harlech Castle to Barmouth - 9.6 miles. 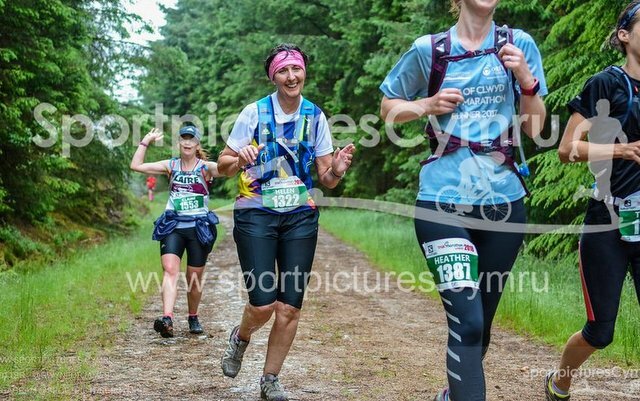 Stage 6 - Barmouth to Dolgellau - 10.7 miles. 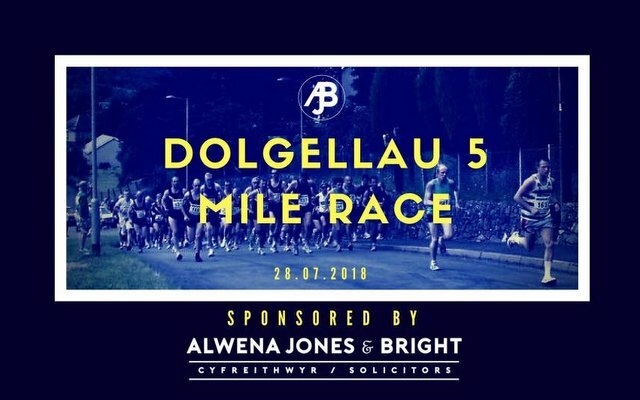 Stage 7 - Dolgellau to Dinas Mawddwy - 10.1 miles. 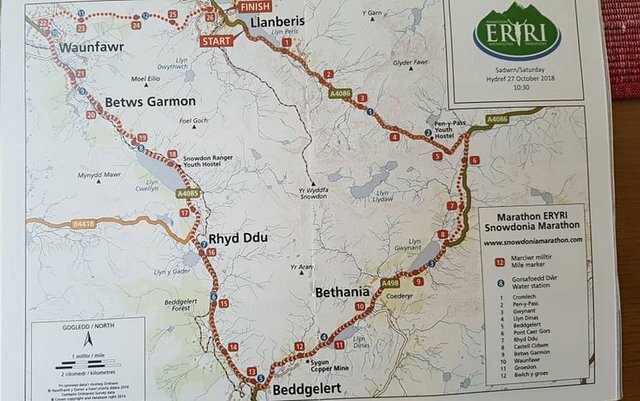 Stage 8 - Dinas Mawddwy to Foel - 10.8 miles. Stage 9 - Foel to Llanfair Caereinion - 8.5 miles. Stage 10 - Llanfair Caereinion to Newtown - 13.1 miles. Tom Roberts 4th, 1:15:40. A race of two half’s last night!! Was flying and feeling great for 8 miles, then the legs unfortunately just couldn’t hang on!! 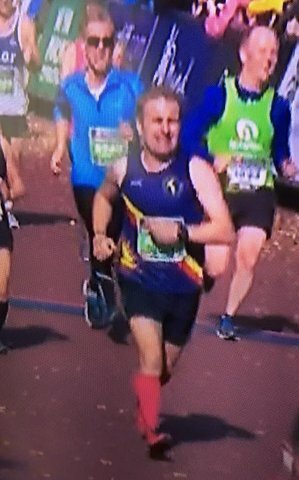 But still finished with a smile on my face, and hard not to when you have brilliant support along the route and big crowds cheering you on at the end of a tough hilly half marathon rout. Stage 11 - Newtown to Llanbadarn Fynydd - 12.3 miles. Stage 12 - Llanbadarn Fynydd to Crossgates - 11.2 miles. Stage 13 - Crossgates to Builth Wells - 10.6 miles. Stage 14 - Builth Wells to Drovers Arms - 10.8 miles. Stage 15 - Epynt Visitor Centre to Brecon - 12.8 miles. Stage 16 - Brecon Canal Basin to Torpantau - 12.5 miles. Andrew Ellis 1:38:48. Castles relay stage 16 mountain stage,the heat was the hardest part of it,beautiful route,i wish I wasn't so knackered so I could have taken more of it in. Stage 17 - Taf Fechan Railway Station, Torpantau to Cyfarthfa Castle - 8.7 miles. Stage 18 - Rhyd-y-Car Centre to Quakers Yard - 7.6 miles. 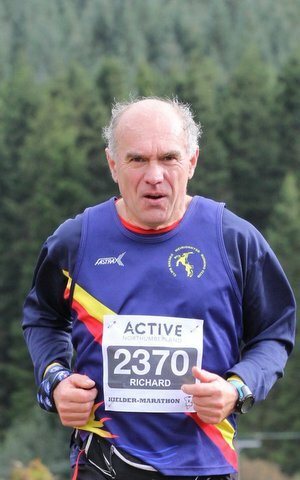 Richard Hankinson 55:30. 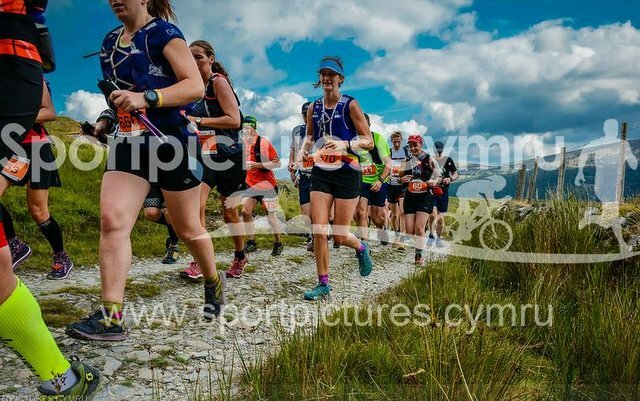 Fantastic weekend with the Meirionnydd crew on the Welsh Castles Relay - 210 miles from Caernarfon to Cardiff and 20 runners each doing a stage. 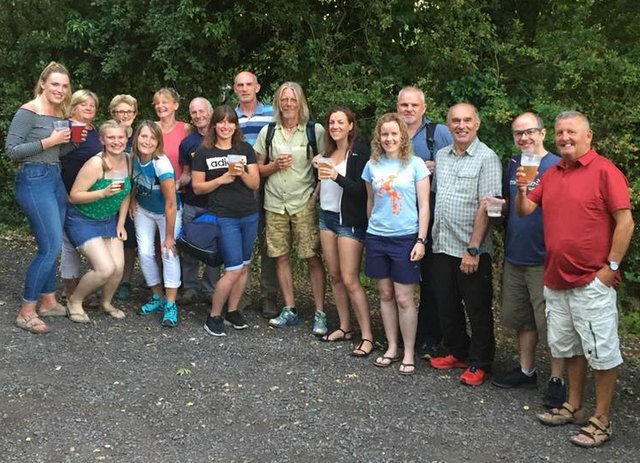 I'd spent a while working out if I wanted to be part of a running club and then wondering which to choose - really glad I went home and found such a fab bunch of people to share it with. 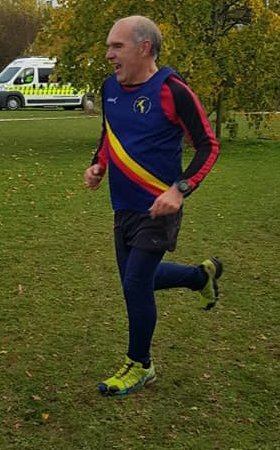 Chuffed with my leg of the relay - 7.6 miles in 55:30, a pace that would have beaten my 10k pb by over a minute and left me half a parkrun still to do. I was so grateful of that wall at the finish! Thanks to everybody involved for the fun and support - what a brilliant event. Stage 19 - Navigation Park to Nantgarw - 7.7 miles. Stage 20 - Caerphilly Castle to Cardiff Castle - 10.1 miles. 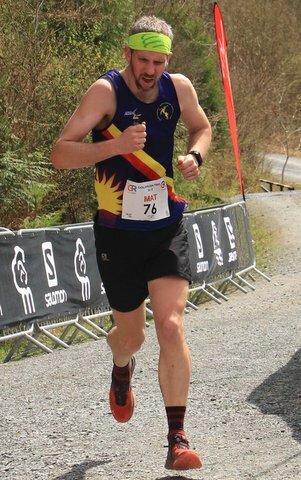 Graeme Stringer 1:26:28. 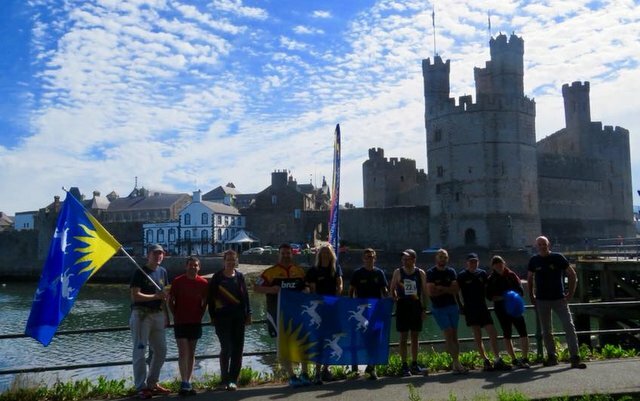 So proud to have been part of the Meirionnydd team this weekend in the Welsh Castles Relay. Awesome performances from the whole running crew and those who chauffeured us from point to point. So honoured to have been asked to run the last leg and carry the Club colours into Cardiff. Diolch yn Fawr. Cheers Tom Roberts for making it all happen. A huge Thank you to everyone who helped make it happen. Diolch o galon. Ben wells ran in the Market Harborough Half marathon at the Market Harborough Carnival of running. Ben said Bit of a change doing a relatively flat half marathon on tarmac. After all the races of recent weeks and especially after the Welsh 1000s I opted for a steady fun run running around a 155bpm heart rate hoping to just enjoy the day and soak the atmosphere up. I ended up taking 9 mins off my half marathon pb 1hr 41min 56 seconds so at race pace I’m thinking under 1:40 now for Cardiff. Was great to chat and be relaxed while running round. 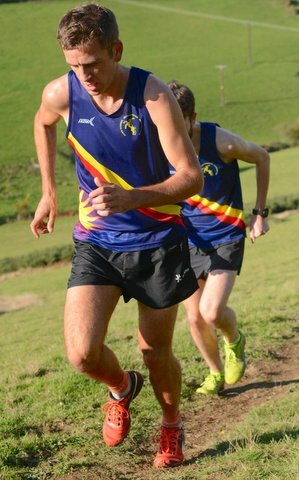 Tom Roberts won the race in 16:03 closely followed by Gwion Roberts claiming 3rd place in 17:58. The race was won by Joe Murray u.a in 29:50. 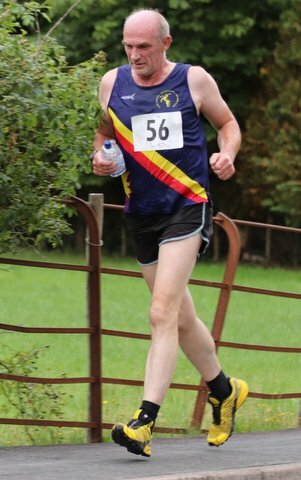 Our sole representative at the race was Jimmy Carter who claimed 1st M40 with a time of 32:24. 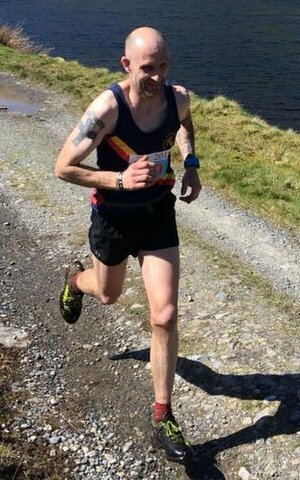 2/6/18 Welsh 1000, Long Fell Race. 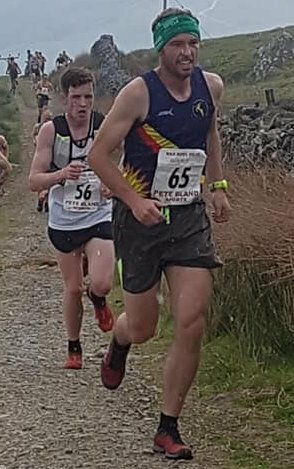 2/6/18 Sedbergh, Inter Countries Mountain Running Championships. 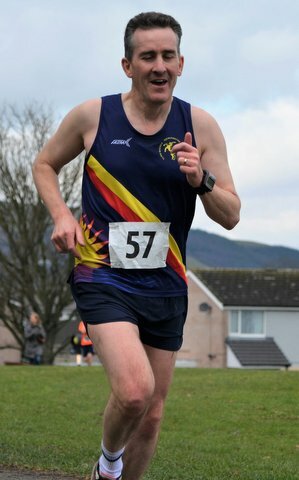 Race was won by Andy Douglas from Inverclyde and Scotland in 46:55. 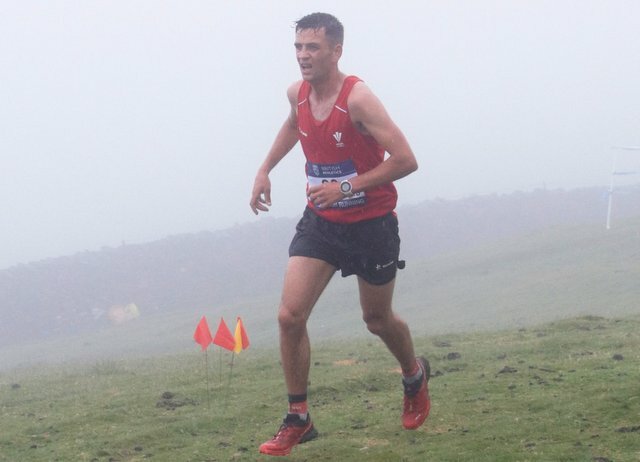 Meirionnydd’s Tom Roberts running for Wales finished 25th in 54:23. 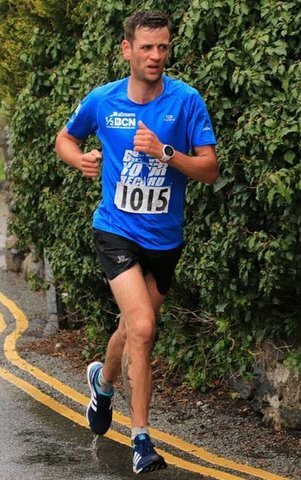 Sole Meirionnydd runner at this years Abersoch 10k was Peter Barnes who finished in 1:00:55. 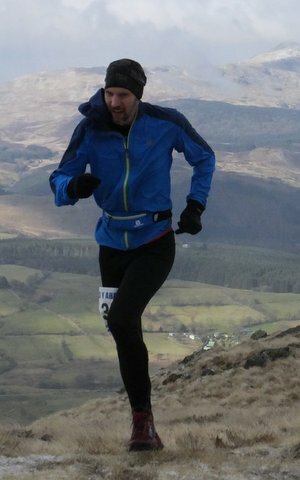 28/5/18 Moel Eilio inc WA North Wales Mountain championship. Ras wych heddiw ar Moel Eilio, Llanberis. 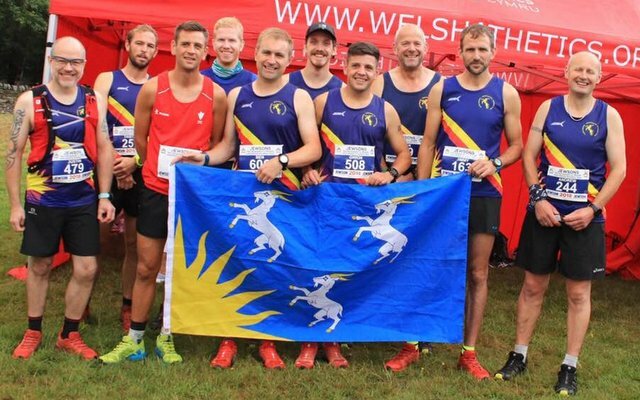 5ed, a 3ydd yn pencampwriaeth rasio mynydd rhanbarth gogledd athletau cymru anghofio faint o galad oedd y blydi ras yma diolch Jude Evans am y llynia a da iawn rhedwyr Meirionnydd Six Meirionnydd runners ran in Moel eilio race wich incorporated Welsh Athletics North Wales Mountain Running Championships. 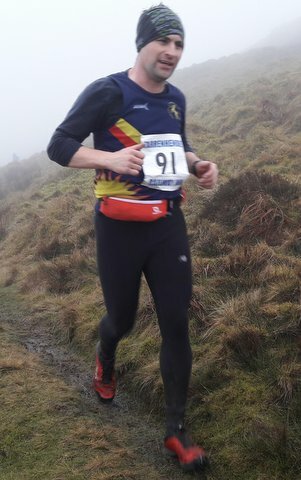 Race winner was Matt Roberts from Calder Valley in 1:06:32. 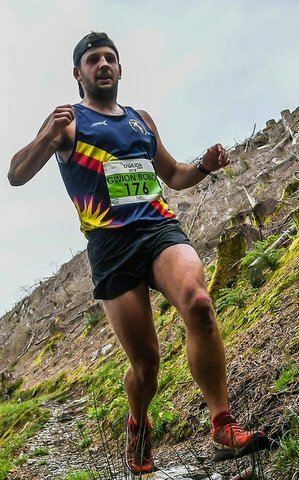 First Meirionnydd runner Ifan Richards in 1:11:08 and 5th place claiming 3rd Senior in the WA NW Mountain Running Championship. Next in was Tristan Evans in 1:12:56; Eilir Evans 1:18:18; Jimmy Carter 1:20:47; Dylan Evans 1:32:09 and Ben Wells 2:02:13. A 13.1 mile challenging off road half marathon starting from Ravenscar Village Hall situated 700 feet above sea level, overlooking Robin Hood’s Bay in the North York Moors National Park and midway between Whitby and Scarborough, the route then gently descends the beautiful coastal path along the dramatic sea cliffs, with panoramic views down the coast line towards Scarborough, on reaching Petard point its through Staintondale via open fields, woodland and the disused railway line until you reach Cloughton Wyke, then its back to Ravenscar all the way on the coastal footpath via the via the picturesque roller coastal of Hayburn Wyke (that’s a nice way of saying a killer of a down and uphill section that will make your legs and lungs burn). Then back to Ravenscar for those stunning sea cliff views (though you will still be sweating from the last bit and hoping for the sea wind not to blow). 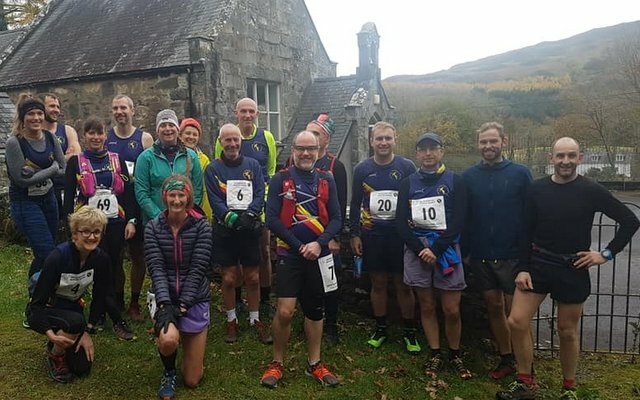 Fourteen Meirionnydd runners took o the local challenge Ras y Gader 2018. 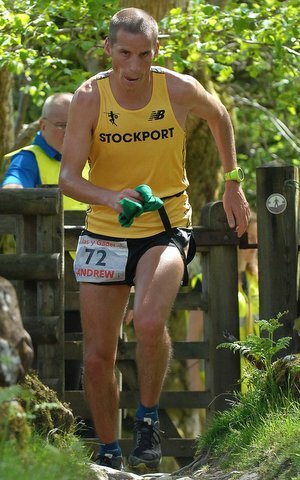 The race was won my Commonwealth Athlete Andrew Davies of Stockport Harriers AC by reaching the sunmmit in 51:45 min and finishing in 1:29:17. 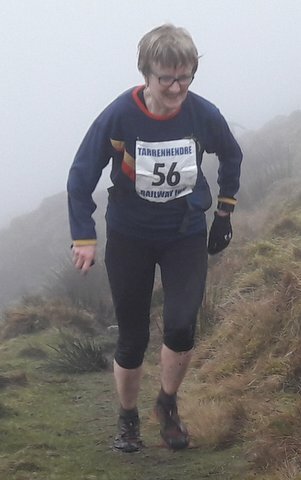 The first lady was Helen Brown from Mynydd Du runners who reached the summit in 1:06:59 and finished in 1:52:40. 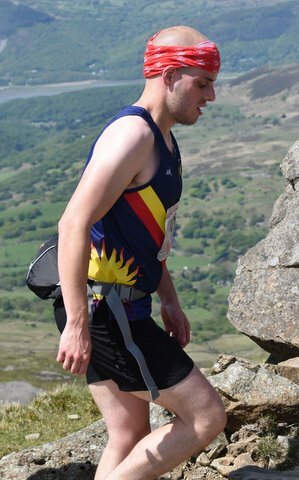 The first Meirionnydd runner home was Ifan Richards in 5th, summit time 00:58:17; finished 01:31:45. 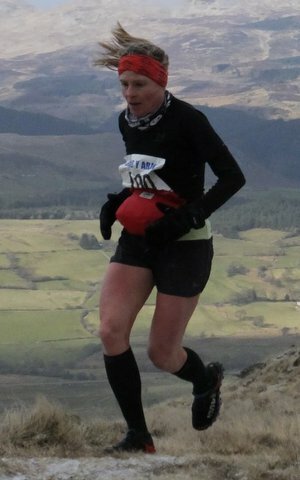 Nia Davies,summit 01:47:18; finished 02:58:17. 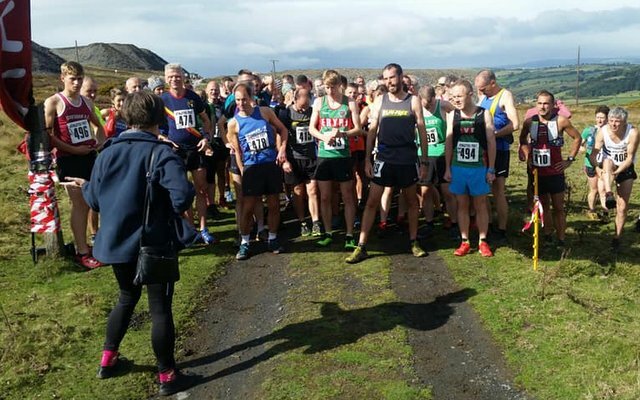 13/5/18 Ffrith 5k inc North Wales championship. 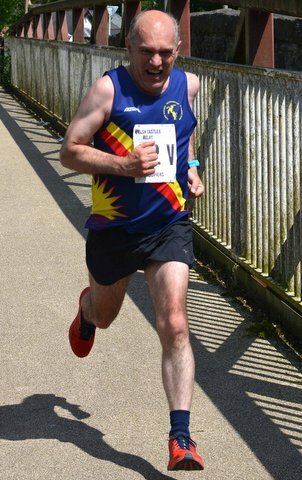 Ona a sunny Sunday three Meirionnydd runners travelled to Prestatyn for the Ffrith 5k, The race was won by Stephen Skates of Prestatyn Runners in a time of 16:09. 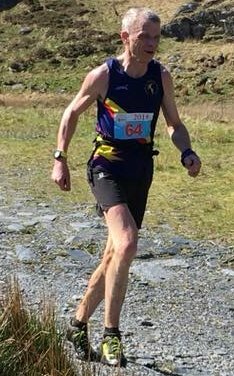 First Meirionnydd runner was Arfon Hughes in 20:33 followed by Dave Whittey claiming North Wales champs Gold in M60 category with 21:33 and Sheila Symonds claiming another North Wales champ Gold in F85 in 48:57. 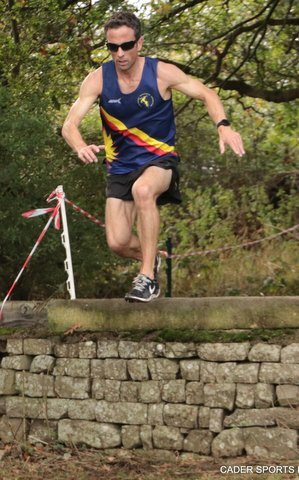 The race was won by Rob Grantham from Pensby Runners in a time of 1:40:34. 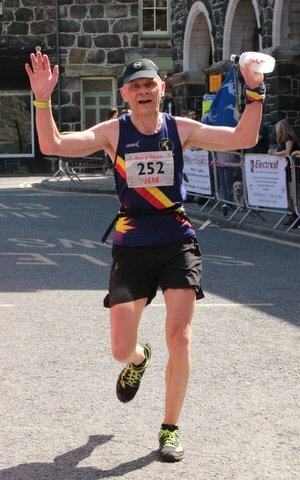 One Meirionnydd participated Andrew Ellis who finished in 2:16:36 4th M50. The overall distance of the Beast is approx 24 off-road miles, with approx 4,700 ft. (1420 m) of assents. That’s nearly one and a half times the height of Snowdon! There is a mixture of trail, fell, wooded paths, the odd boggy bit!, some steep climbs. 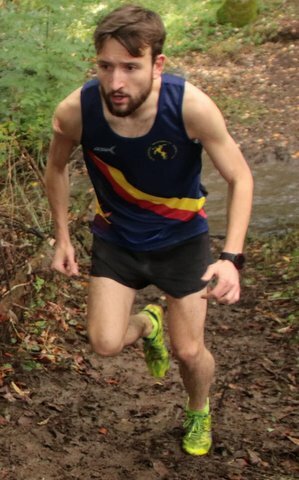 The race was won by Daniel Mutlow from Tower Ham AC in 3:34:02. 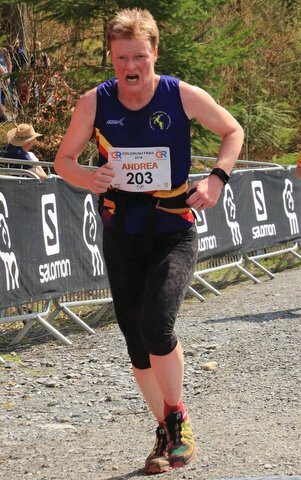 Meirionnydd’s Sandra Williams ran this tough race in 6:16:13. 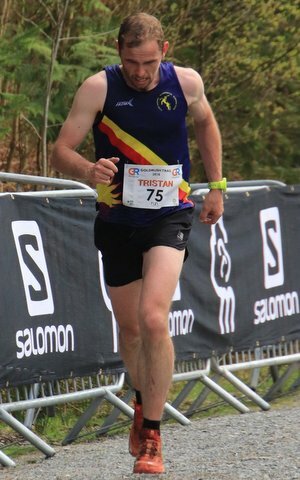 Race report by Ifan Richards: Eilir Evans, Megan Parry and myself headed to Llangollen for the 4.2 mile 1100ft Dinas Bran fell race. 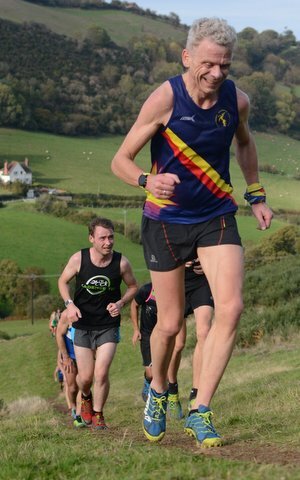 A fast, tough course that climbs the steep hillside to Dinas Bran Castle twice before the super steep leg basher back down to Llangollen. 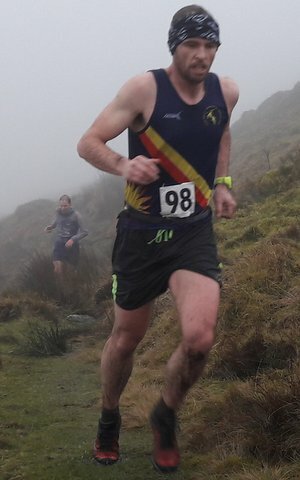 This was Eilir Evans first ever running race last year where he finished 18th overall in a time of 38:12 which was excellent for his first go at fell running. I told him back then, we are coming back next year and your going to smash that time. Last night I crossed the line 3rd in a time of 30:33 (2nd in 2017 in 30:50) so happy with 18sec faster. And Eilir crossed the line in 5th position and in a time of 32:06! 6min 6sec faster than last year! Massive improvement. 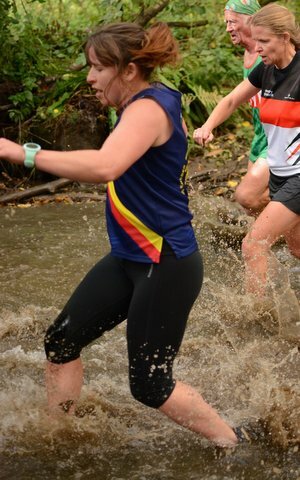 This was Megan's first go at this race and with a very competitive female field. Megan ran a fantastic race and worked hard to push home in 4th in the womens race in a great time of 41:56 for the tough course. 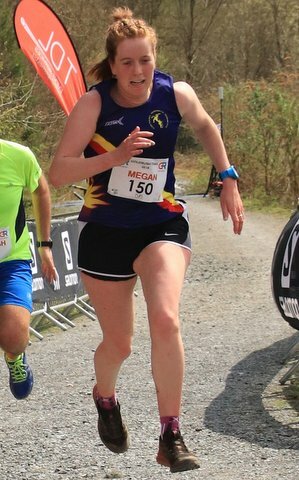 Meg will now have to make her return trip next year to smash her time.Da iawn Eil a Meg. Tom Roberts won the race in 34:09 and Gwion Roberts 7th in 39:09. 8/5/18 Moel y Gest TNS. 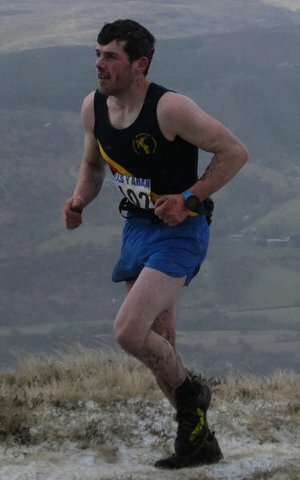 Race was won by Russell Bentley of Eryri in 35:16. 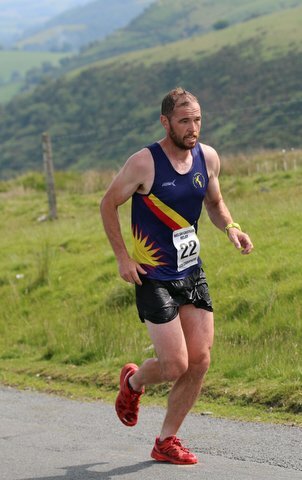 The sole Meirionnydd runner was Gethin Davies finishing in 40:16 claiming 10th place. 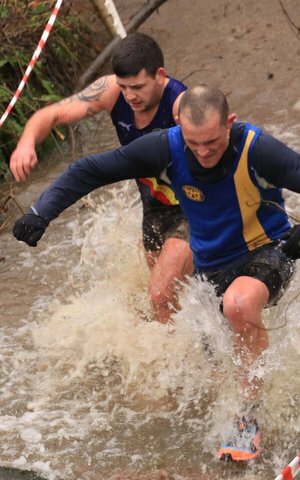 The Shobdon Wood race is a completely off-road race organised by Croft Ambrey Running Club. It takes place in Shobdon Wood, just one mile out of the North Herefordshire village of Shobdon, which is on the B4362 between Leominster and Presteigne. 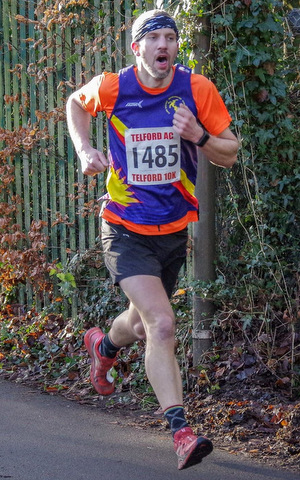 The race will be signposted from the Mortimers Cross entrance to the North of the village and from the approach from Presteigne.The winner was Andy Salt of Croft Ambrey Running Club in a time of 34.43. 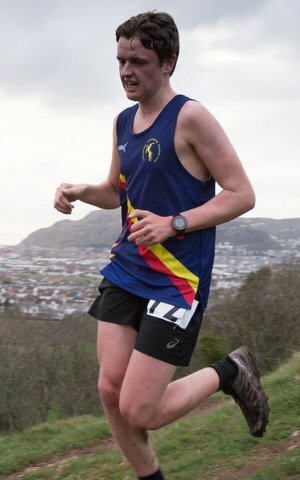 Olly Downing was the sole Meirionnydd runner finishing in a time of 56:22. 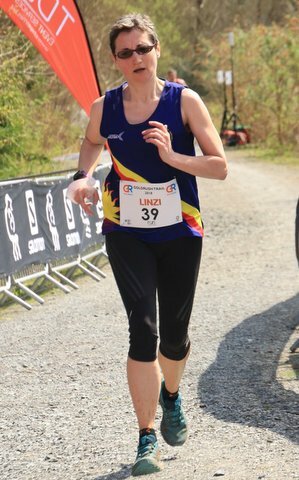 6/5/18 2 Lake trail Half marathon. 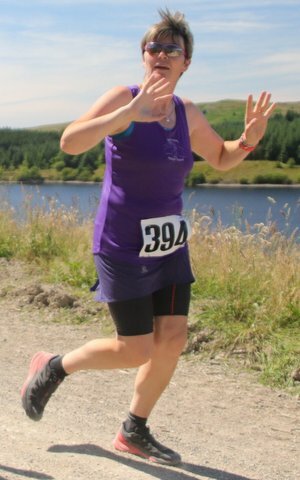 The 2 LAKES TRAIL HALF MARATHON & 10k events are based high up on the Denbigh Moors, taking in the reservoirs of Alwen and Llyn Brenig. 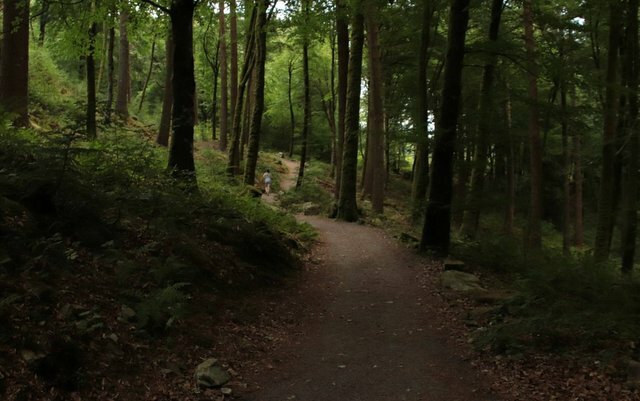 The routes stay well above the 300m contour throughout and take in lakeside tracks, more technical woodland sections, moorland paths and some fast dirt track and minor road. 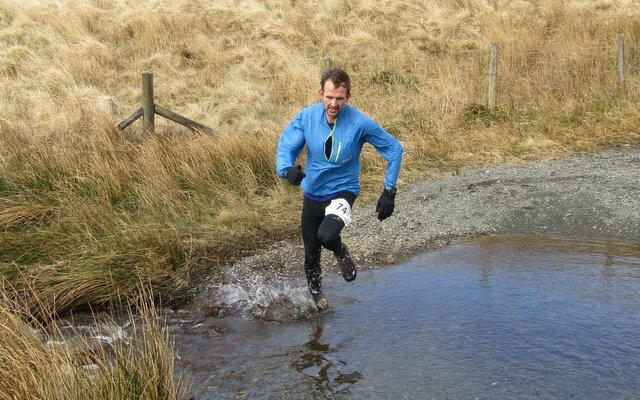 Eilir Evans headed over to Llyn Brenig today for the Two lakes 10k trail race. A fast course with a tough climb to the finish straight. Eilir took the win with a great time of 40:39. 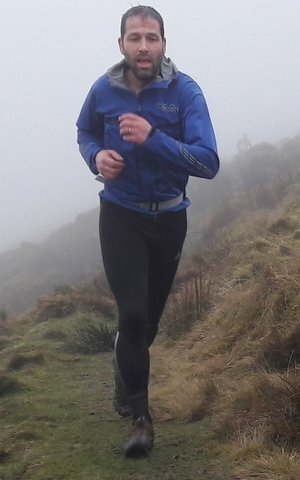 The race winner was Gareth Hughes from Mercia Fell runners in a time of 1:23:30. 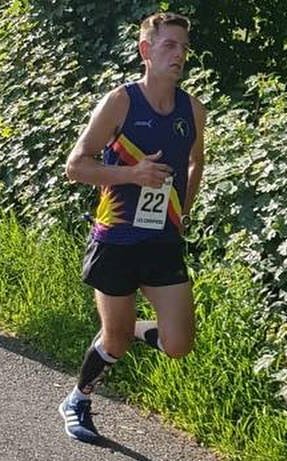 First Meirionnydd runner in was Ifan Richards in 4th place in a time of 1:30:04; followed by Tristan Evans 1:31:03; Eilir Evans 1:39:44: Mat Fenwick 1:46:52; Jeremy Randell 1:50:08; Dylan Evans 2:03:11; Ben Wells 2:04:24 and Arfon Hughes in 2:07:49. 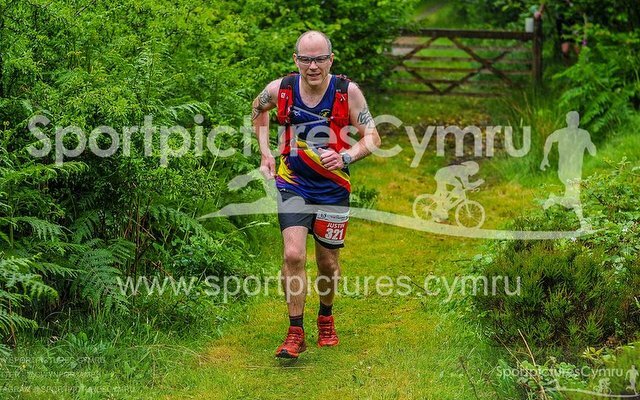 5/5/18 Red Kite Challenge inc Welsh Trail Championships. 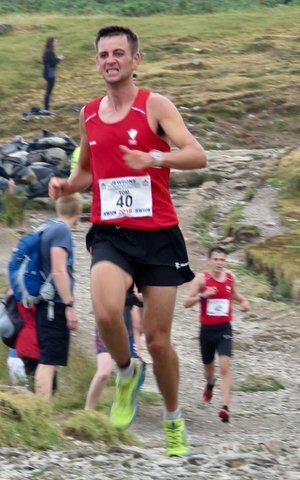 The half marathon race was won by Rob Samuel from Eryri Harriers in a time of 1:27:59. 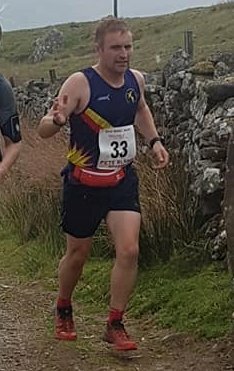 First Meirionnydd runner in was Jimmy carter 1:50:38, 3rd m40; followed by Ieuan Pugh Jones in 2:02:53 and Andrew Ellis in 2:12:01 to claim 3rd m50. 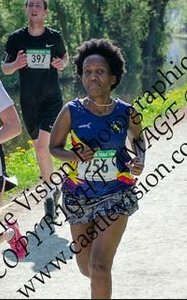 Mpho Bogatsu ran in Llangollen 10k trail finishing in a time of 59:51. 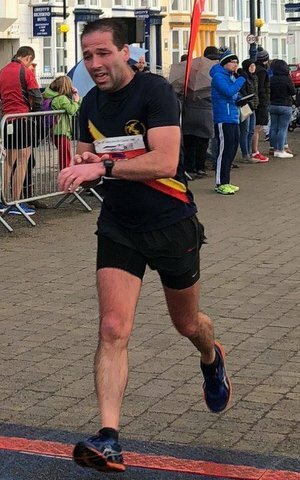 Well done Gwion Roberts on finishing under 3 hours in the Newport Marathon. 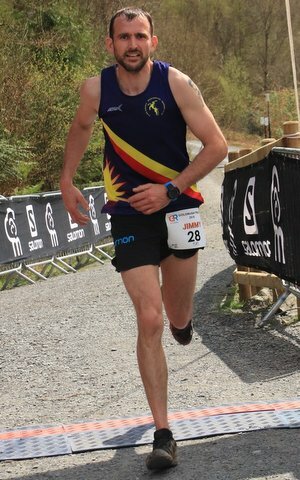 Gwion finished in 30th position in a time of 2:55:11. 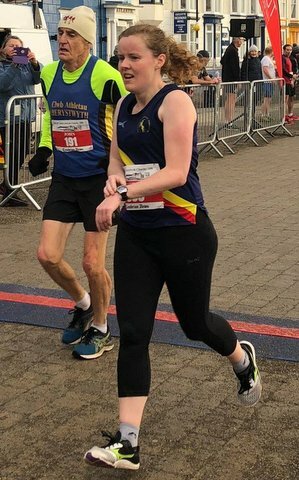 Nia Davies ran in the Chester Half Marathon finishing in a time of 2:50:17. 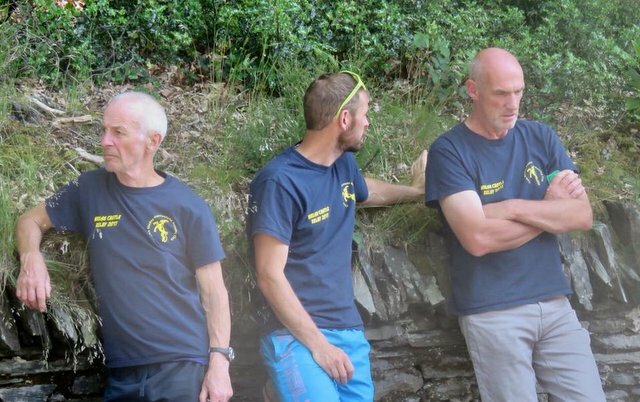 Four Meirionnydd runners took to the start line of the Llangynhafal Loop fell race which was the second round of the WFRA N.Wales champs. At 4.7 miles and 1750ft of ascent this race is as tough as they come in a short. 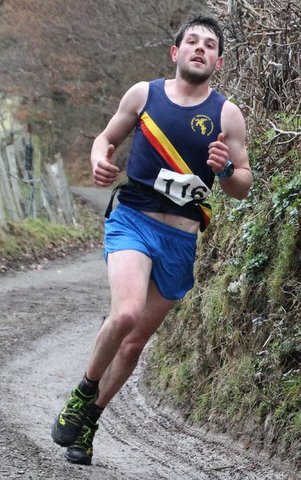 First in for Meirionnydd was Ifan Richards in 4th place in 39:38. 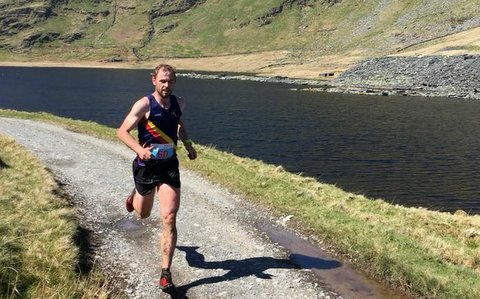 Not far behind in 8th was Eilir Evans enjoying his fell running and consistently placing in the top 10 now. 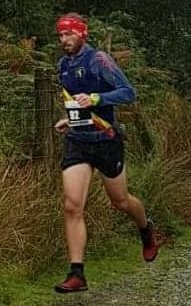 Gethin Davies was next in a fantastic 10th place overall and 1st in the Male U23 category, running very well and a star for the future. Jeremy Randell crossed the line in a time of 45:45 . Meirionnydd also were 1st team with the 3 top 10 finishers. 28/4/18 Aberaeron to Lampeter 21 mile. 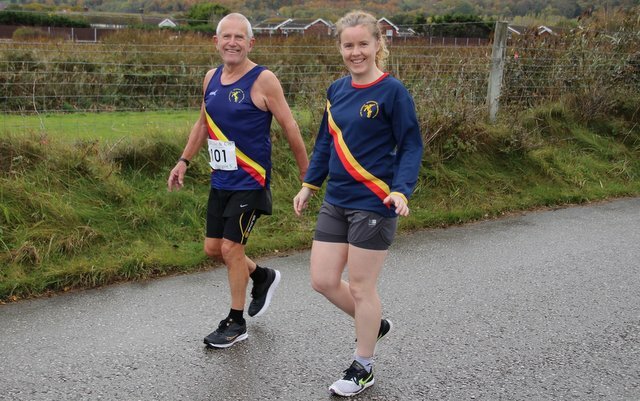 Dylan and Jude Evans completed the Aberaeron to Lampeter 21 mile, Jude finished as 1st woman. 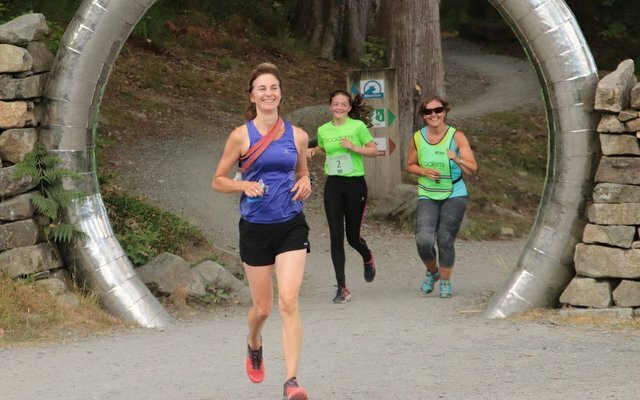 Sandra Williams ran in the inaugural Enlli Marathon, completing the course in 7:04:03. 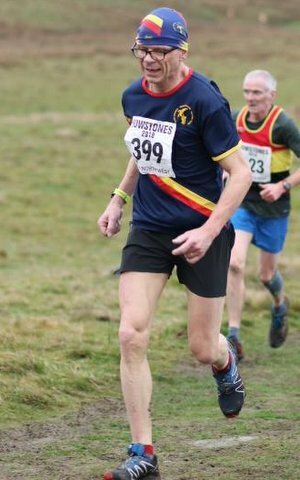 27/4/18 Mid cheshire 5k series, Kingsley, incorporating the English Athletics 5k Road Championships. 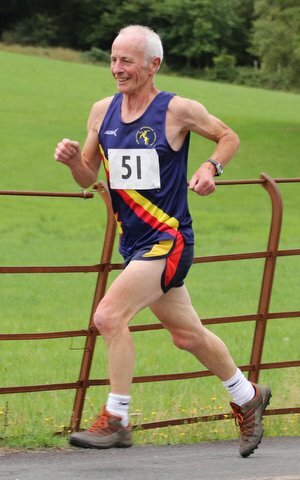 Tom roberts ran in the Mid cheshire 5k series, Kingsley 5k, incorporating the English Athletics 5k Road Championships. Against a strong field Tom finished in 15:22 and 39th place. 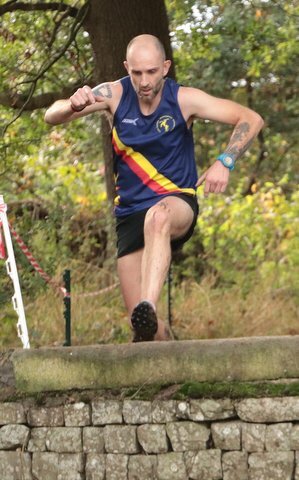 The race was won by Richard Allen from Aldershot and Farnham District in a time of 14:07. It is worth noting that the first 25 runners came in under 15 minutes and the first 80 runners under 16 minutes. Well done Tom. 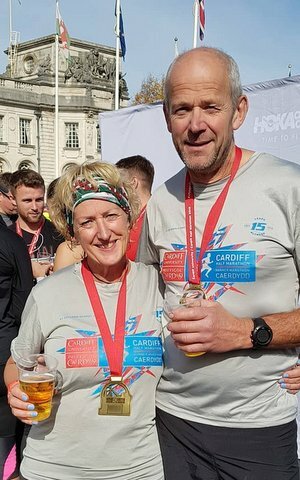 Two Meirionnydd runners ran in the London Marathon. Andre Bright finished in 5:13:25 and Elly Dee in 5:57:17. 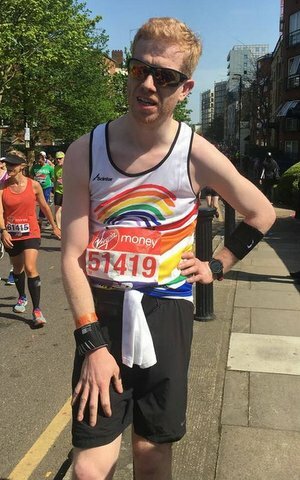 Andre Bright said "London Marathon completed! Boiling hot all day really took it out of me! Broken mentally & physically but managed to finish in 5:14 - although the fact I finished was a huge plus. 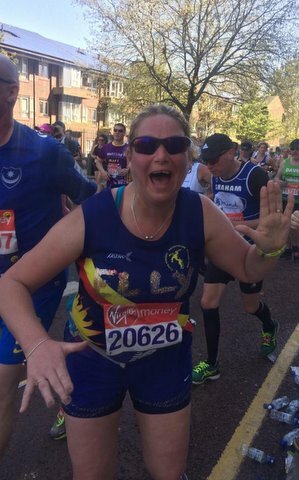 Thank you to everyone who supported me with their donations throughout this journey and a big thank you to Team Victa for their support & for letting me run for your wonderful charity!". 21/4/18 Goldrush, Coed y Brenin. 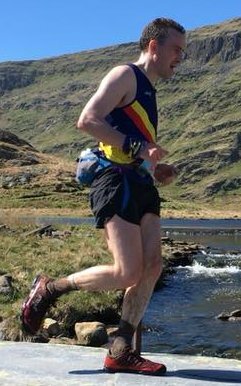 Rob Samuel from Eryri Harriers won the race in 53:38 and first woman was Elliw Haf in 1:12:27. 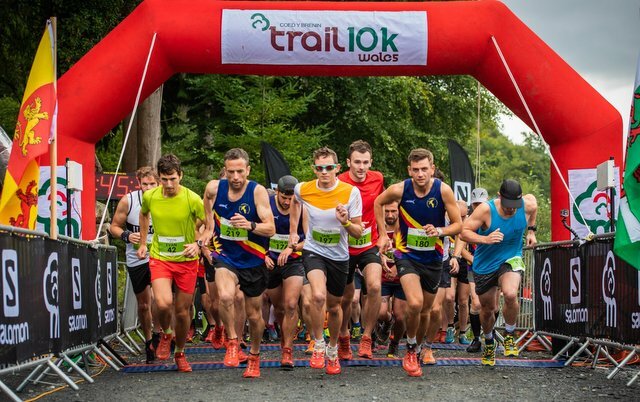 Tom Roberts 3rd in 58:34; Tristan Evans 1:00:00; Ifan Richards 1:03:05; Gethin Davies 1:03:19; Mat Fenwick 1:07:59;	Jimmy Carter 2nd M40 in 1:09:42; Ben Wells 1:14:53;	Dylan Evans 1:18:43; Megan Parry 1:22:48; Glyn Rowlands 1:22:59; Karl Cooper 1:24:02; Andrea Vaughan 2nd F40 in 1:26:32; Graeme Stringer 1:32:58;	Richard Hankinson 1:35:21; Linzi Cooper 1:38:24 and Jude Evans the Sweeper. 17/4/18 St Davids, Tuesday Night Series. 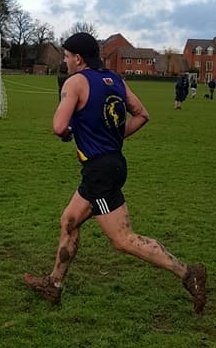 Race won by Max Dunford Unaffiliated in a time of 24:34. 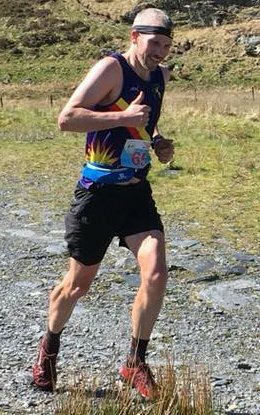 First Meirionnydd to finish was Gethin Davies 25:19 claiming 2nd U23. 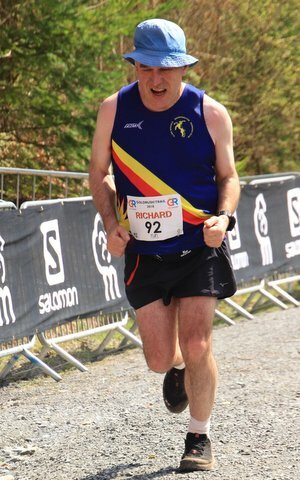 Second Meirionnydd runner in was Richard Hankinson in 38:43. 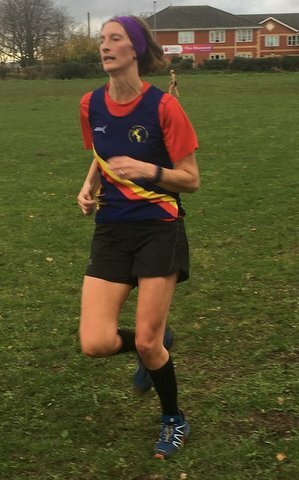 15/4/18 Vale of York 10 mile. 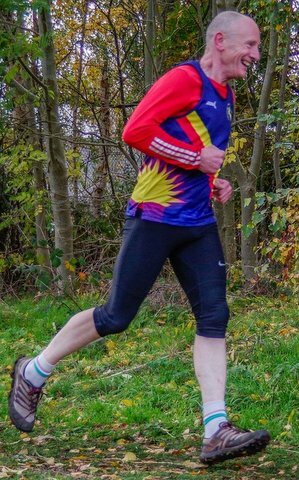 Richard Hankinson ran in the Vale of York 10 mile finishing in a time of 1:22:16. 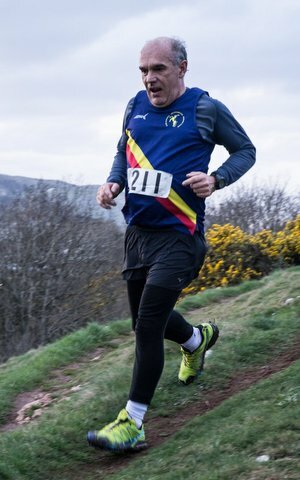 10/4/18 Foel LLus, Tuesday Night series. 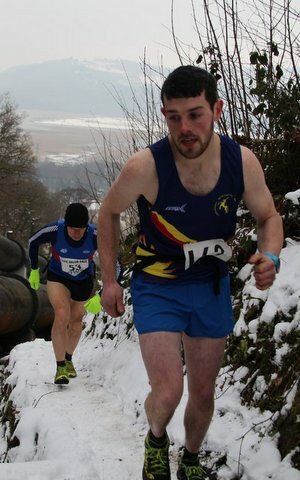 The race winner was Mike Spill from Menai Field and Track in a time of 23:37. 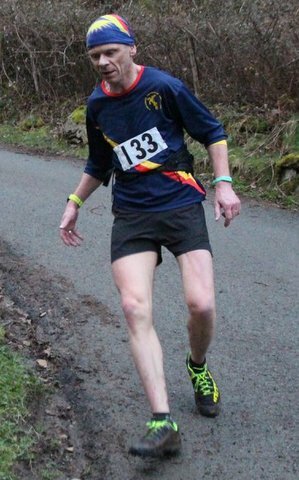 First Meirionnydd runner home was Gethin Davies 26:08 claiming 3rd U23 followed by Jeremy Randell in 29:43 3rd M50. 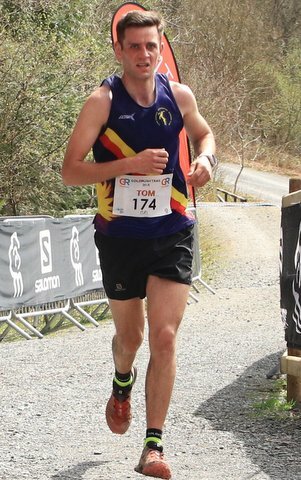 Meirionnydd’s Tom Roberts who ran in the South Wales Fell race on Sugar loaf near Abergyfenni finishing in 52:11. 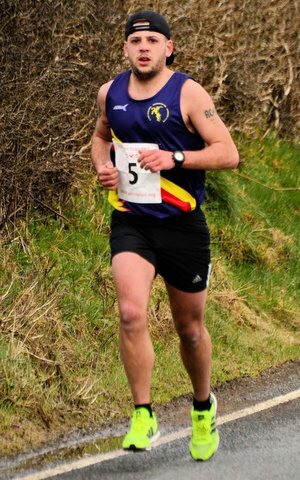 Mark Hopkinson from Mynydd Du runners won the race in 52:03. 3/4/18 Aber dash Tuesday Night Series race 2. 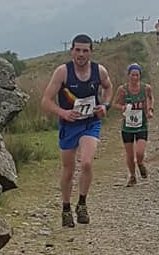 Two Meirionnydd runners travelled to Abergwyngregyn fro the secomd race in the Tuesday Night Series Aber dash 5 miles/1150ft ascent. 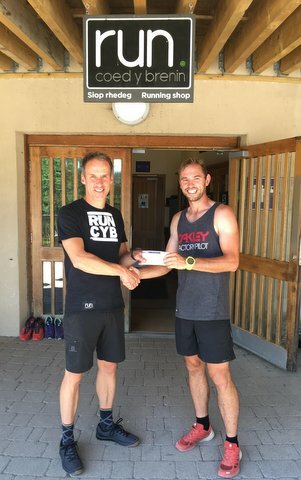 The race winner was Russell Bentley from Eryri with a time of 29:53. 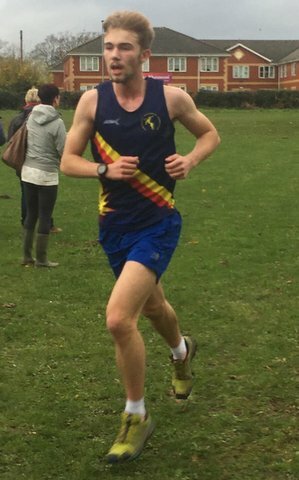 Our first runner in was Tom Roberts in 30:36 to claim 3rd place. 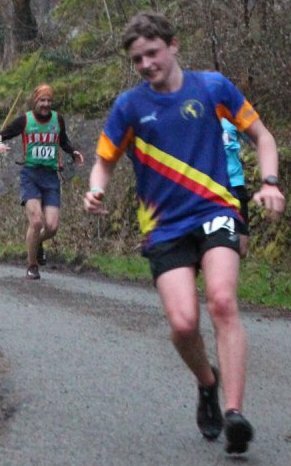 Our second runners, out on his first outing for Meirionnydd was Gethin Davies who finished in 32:21 to claim 1st Under 18. 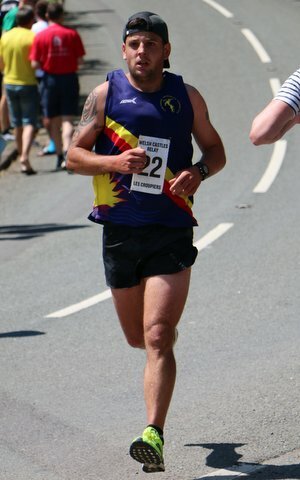 Gwion Roberts ran the Teifi 10. 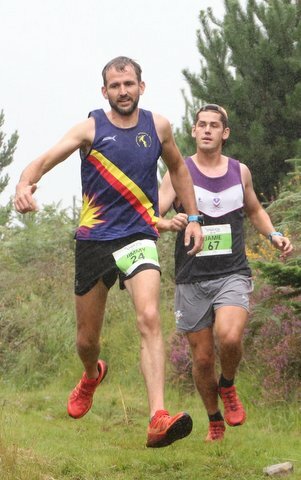 The race winner was Rob Johnson from Aberystwyth AC with a time of 56:40 and Gwion finishing in 9th place in a time of 1:00:39. 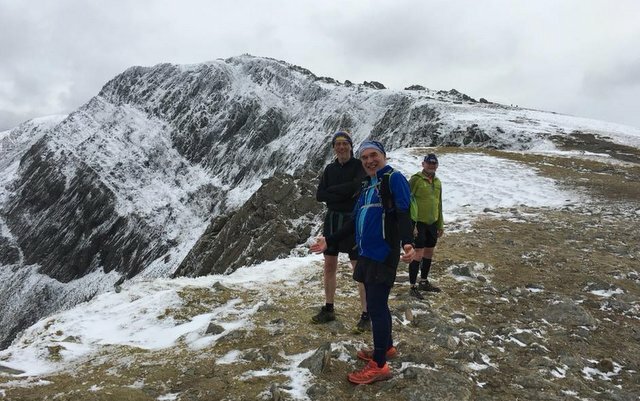 1/4/18 Club run up Cader Idris. A group of MRC ran up Cader to burn off some of the Easter calories. 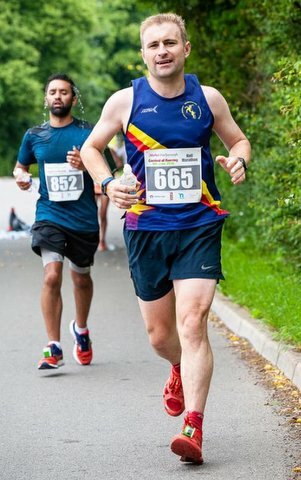 Tom Roberts ran in the Salford 10k finishing 11th in a time of 32:06. 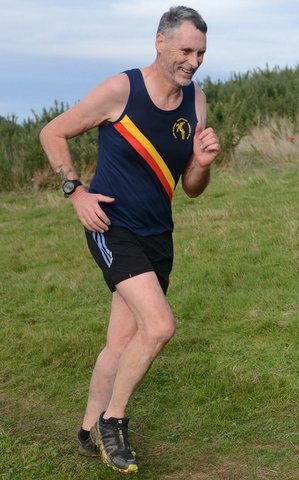 The race winner was John Ashcroft from Liverpool Harriers who finisheed in 30:17. 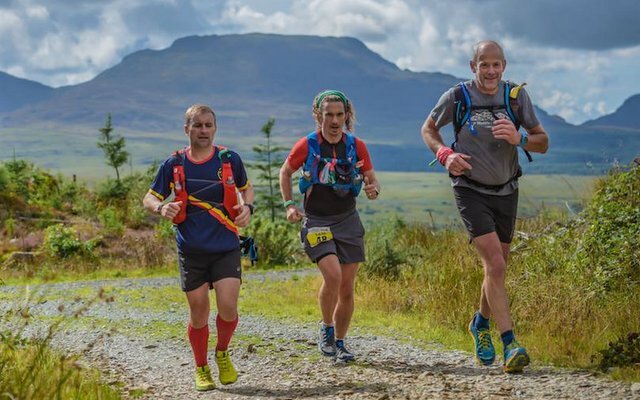 Left to right with Tom are North Wales runners, Owen Roberts, Russell Bentley, Elli Haf (Eryri) and Tom Roberts. 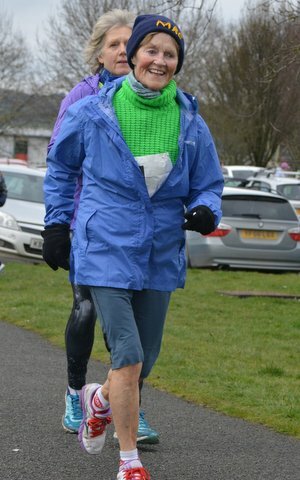 Two Meirionnydd runners travelled to Newtown to run in Maldwyn Harriers Chocoholics 5k. 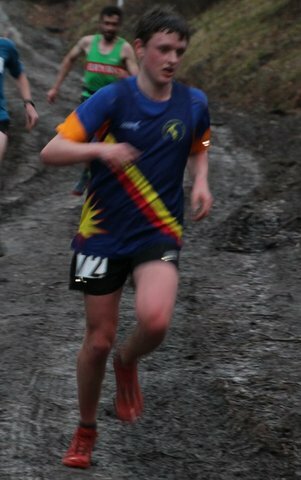 Race winner was Thomas Wilde from Oswestry Olympians with a time of 17:20. 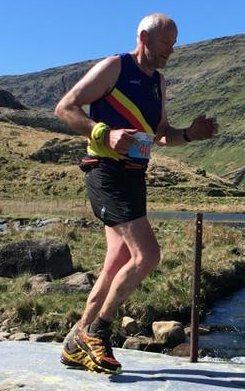 First Meirionnydd runner back was Arfon Hughes in 20:49 followed by Sheila Symonds claiming 1st F80 in 40:55. 27/3/18 Tuesday Night series, Llanrwst. 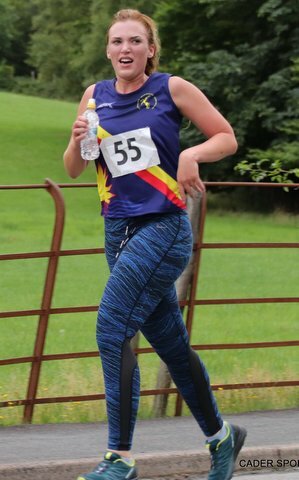 In the first race of the Tuesday Night Fell series held at Llanrwst, three meirionnydd runners ran the short but fast 1.9 mile route. 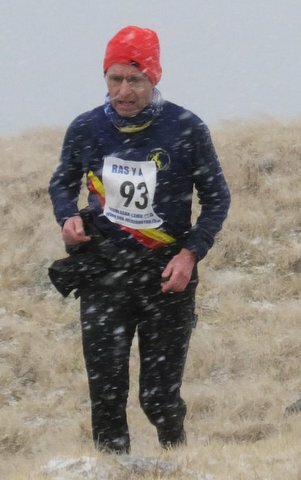 Race winner was Eryri's Rob Samuel in a time of 12:28. 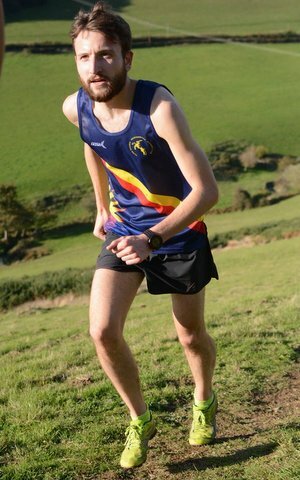 The first Meirionnydd runner was Ifan Richards in 14:18 followed by Arfon Hughes in 17:41 and Megan Parry in 17:57. 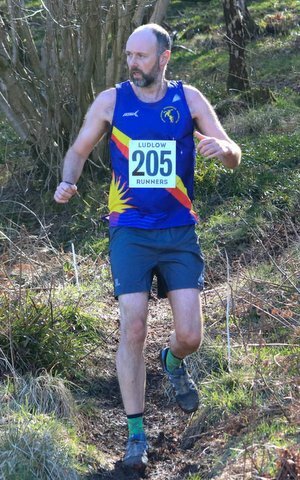 25/3/18 Mortimer Forest Trail race. 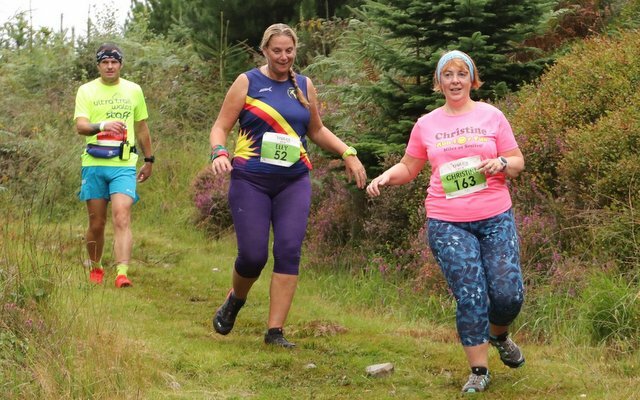 Elly and Olly Downing took part in the Mortimers Forest Trail Run a tough, muddy course, over 9 miles and 1200feet of climbing make this a tough challenge. Elly said "This race was rescheduled from that first dumping of snow before Christmas. Today’s weather couldn’t have been any more different - blue sky, with a strange warm glowy thing in, shorts and vests in abundance. 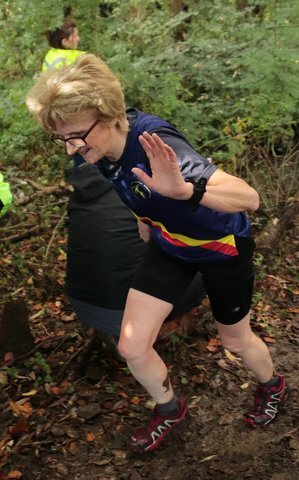 The course was varied in terrain (grass, woodland, mud, forest road, stony trail) and gradient. There were some proper challenging ups, especially Poison Bank (rated at least one F), the Big Dippers - particularly the last one (almost an F, had it not been for the lovely, encouraging marshal at the top) and the final push up part of the Climbing Jack trail, before the awesome downhill through the woods to the finish. The downs were pretty good too, fallen trees to duck under (very well marked, thank you Colin! ), the slippy, grassy descents of the Big Dippers and some proper lovely trails through the woods. 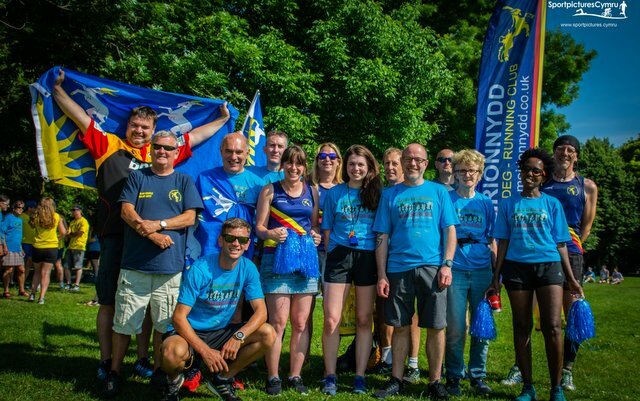 It was lovely to run into finish to lots of cheers from the Clwb Rhedeg Meirionnydd Running Club crew (Olly...who had an awesome run and had been finished ages) and the Maldwyn crew. If anyone fancies a trip to Ludlow in December, this little race is well worth a go. We’ll definitely be back. Love a good local race. 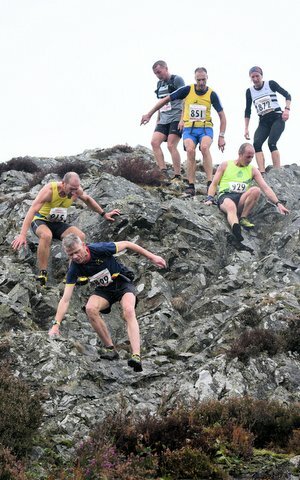 Three meirionnydd runners ran the Llantysilio fell race at Rhewl near llangollen. 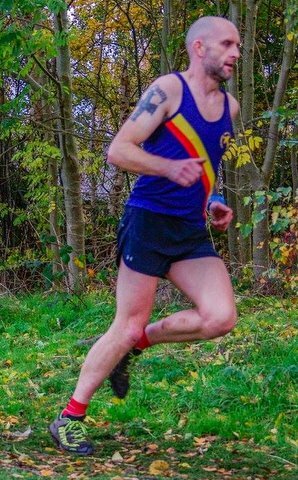 First home was eilir Evans claiming 3rd place overall with a time of 1:00:16, he was followed by Jeremy Randell claiming 3rd M50 in 1:07:18 and Megan Parry in 1:19:13. 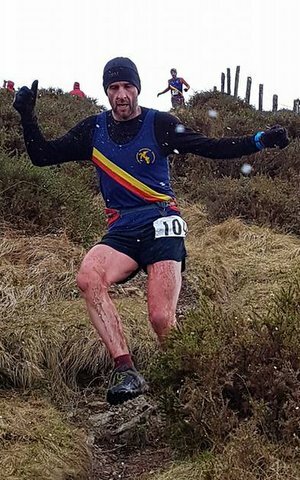 17/3/18 Ras Yr Aran and Meirionnydd Winter Series. 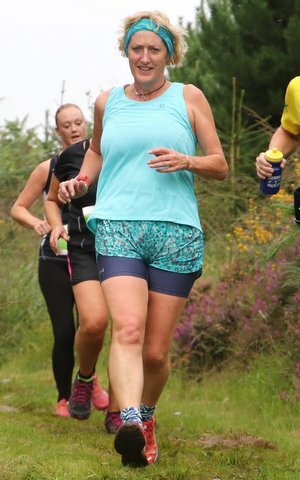 First Lady: Melanie Price, Mercia Fell Runners. The resurgent storm the “Beast From The East” dominated this years, fifteenth running of this, the last race in the Meirionnydd Winter Series. 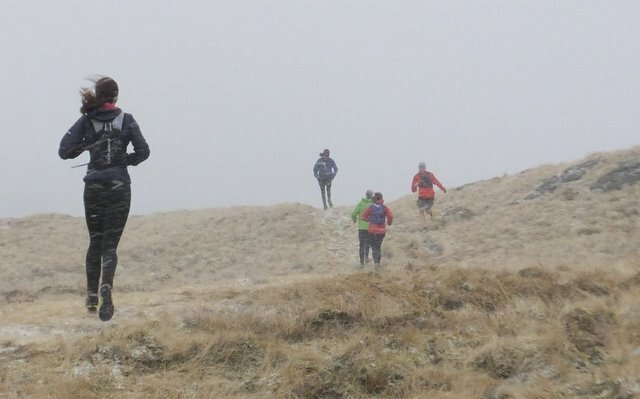 Sixty five determined runners turned up to meet a race team equally determined that they should get a race despite forecast snow showers winds gusting 65 mph not the ridge and a windchill factor of -21C. 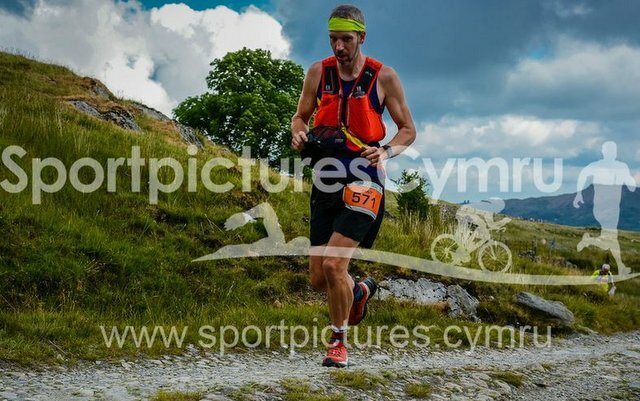 Thanks to a very experienced team of Michelin Man-like volunteers, and close support from South Snowdonia Search and Rescue Team a fast and exciting race was possible. 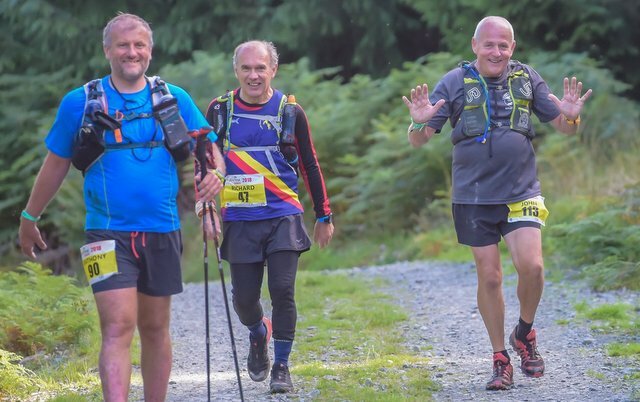 The turning point was the first checkpoint of the full course -Moel Fenigl- at 600m a 5.5 mile out and back route with slight change at the bottom avoiding a defunct stile. 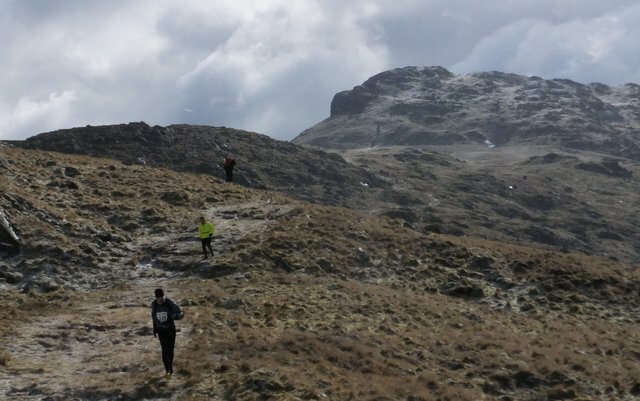 With the wind behind them, runners made good progress through the very wet lower reaches, and the cold only really struck in the last 100m of ascent when the ground became icy and they had to turn to face the elements. The race leader at the top Dylan Lewis (Sarn Helen) who successfully maintained his lead to win the race in a time of 43:38. At the top just behind Dylan was teammate Felipe Jones and Gavin Roberts was next up followed by Jez Brown (Buckley) lying in second place in the series - just 10 seconds behind them was Tristan Evans (Meirionnydd RC), series leader. He was closely followed by teammate Ifan Richards lying in third place in the series with 28 seconds to make up. Ifan with his eye on a second Series win, flew down the hill, overtaking Jones, Roberts, Brown and Evans to finish 20 seconds behind a victorious Dylan Lewis. 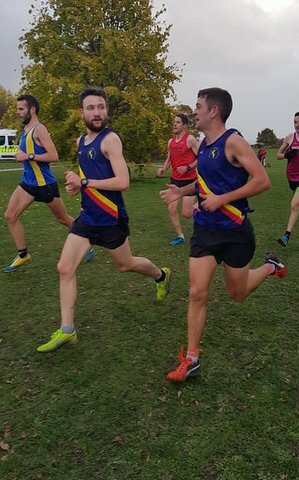 Felipe Jones took third in 44:08 and Tristan Evans finished fourth but his time of 44:16 was good enough to ward off Richards' challenge and Tristan took Winter Series title by 20 seconds with a combined time for all three races of 2:34:24. Jez Brown was 6th in 45:44 and got a consolation M40 category prize. 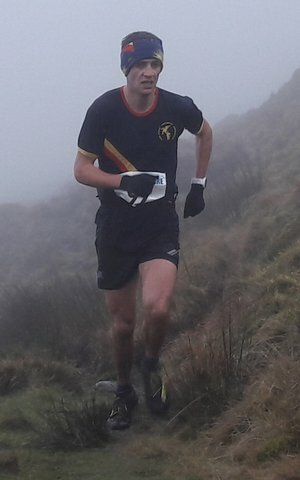 Junior Men category was taken by Jack Agnew (Mercia Fell Runners) in 47:55. 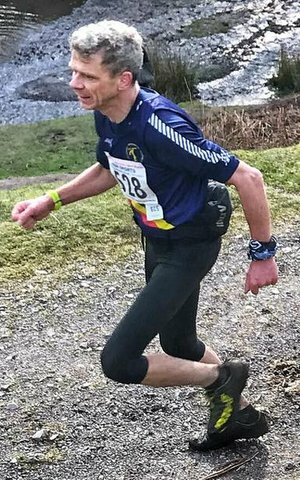 The M50 age group went to Barry Wilkinson (Borrowdale Fell Runners) in 50:26 and Nicholas Holmes (Tattenhall RC) was first M60 in 57:09. 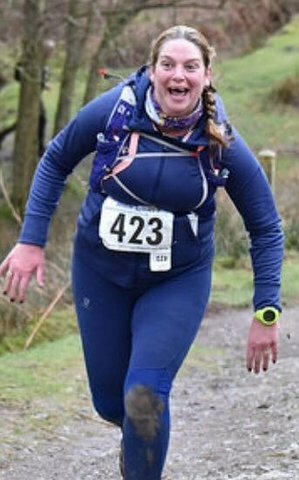 Amongst the women the order at the top was maintained to the finish with Melanie Price (Mercia Fell Runners) winning in 52:14 followed by Dee Jolly (Sarn Helen) in 53:11. 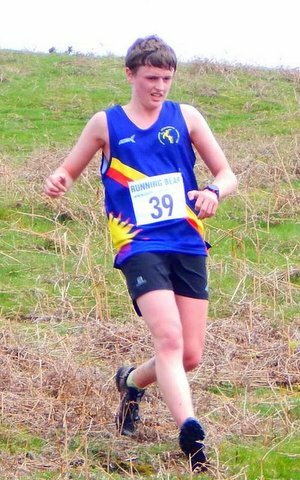 A strong 57:34 run from Katie Cole (No-Mad Running) from Dolgellau got her third place and ensured her Meirionnydd Winter Series Women’s Champion title was truly earned. 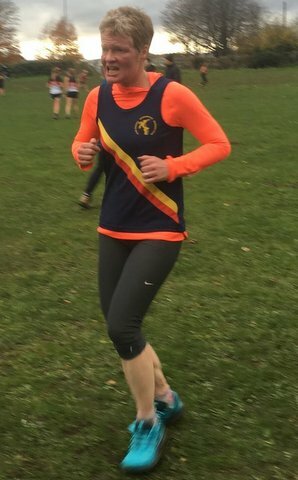 Laura Banham-Hughes (Helsby RC) finished fourth in 59:18taking the F40 award and Carole Morrison (Pensby Runners) was first F50 in 72:11. 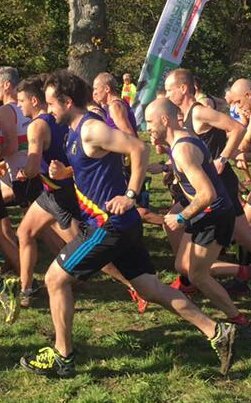 The home club had a second team, Mat Fenwick and Graeme Stringer completing their first Series and Glyn Rowlands his second. The real heroes of this race however were the marshals and timekeepers who withstood fearful conditions to see the runners get their race. Their vote of thanks at the presentations got the most heartfelt support from all. 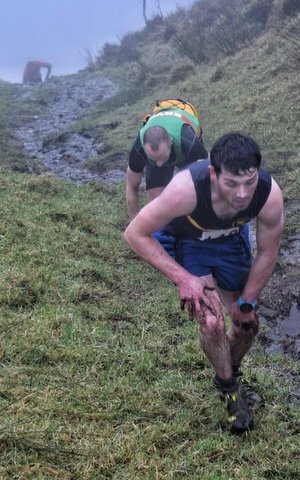 This concludes a memorable 15th series which started with a cool bright but wet run up Rhobell Fawr in November, followed by the soaking mud-fest of Tarrenhendre in January. A further 15 runners joined the select band of runners who have ever competed the series. 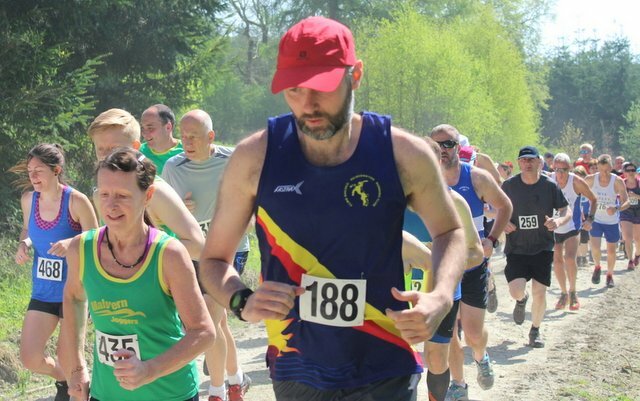 Obviously due to the shortened course no records were broken so Richard Roberts’ (Eryri Harriers) 3:04:49 and Anna Bartlett’s (Shrewsbury AC) 3:42:27 records both from 2009 still stand. Will we see them go on their 10th anniversary. 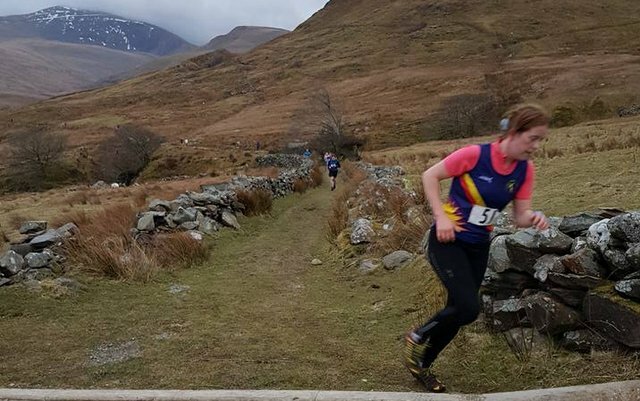 Meirionnydd Running Club would like to thank Aran lamb for their support for Ras yr Aran and for supplying fantastic prizes for the Winter Series winners. 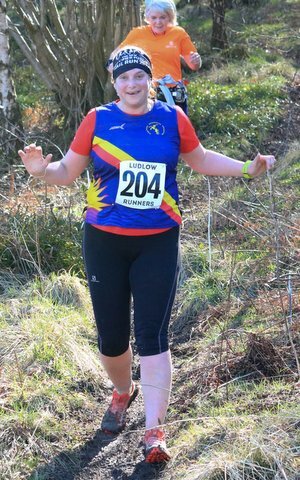 Hannah Johns ran in the 21 mile Grindleford Gallop in the Peak District. 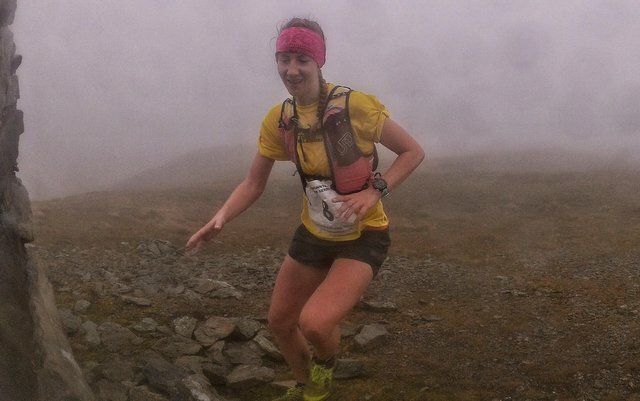 Hannah said "a very tough going due to whiteout blizzards and hail, managed time of 5:12:12." 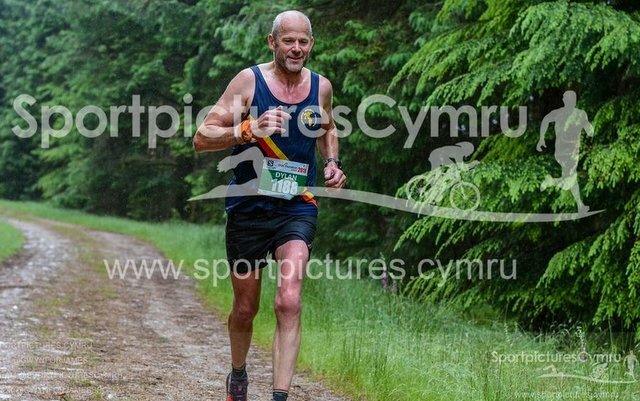 17/3/18 Nant yr Arian Silver Trail Marathon. 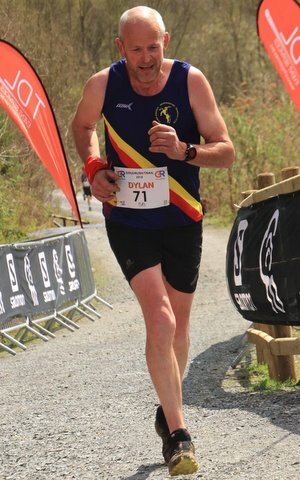 Jimmy Carter ran in the Nant Yr Arian Silver Trail Half marathon finishing in a time of 1:52:09. Ben Wells took on the challenge and finished in 4:14:31. 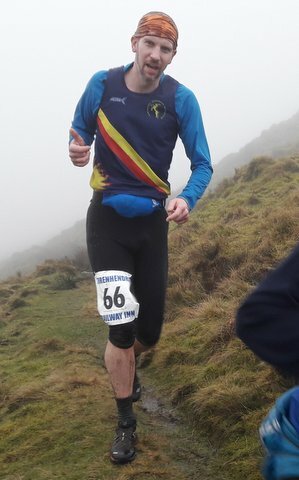 Ben said "I was fortunate to be able to partake in the Don Morrison Memorial Edale Skyline Race, the opening round of the British Fell running championship. The route involved 21.5 miles with over 4500ft of elevation. 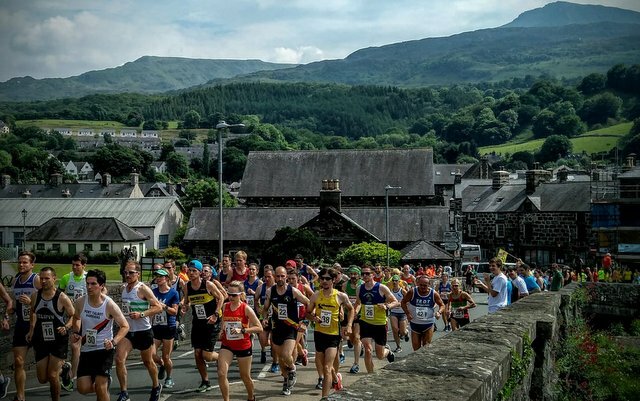 The race had sold out within a few hours of tickets sales which resulted in over 400 starters, a popular fell race you could say. Conditions under foot were very sodden with the recent snow melt meant that the typical Peak district bogs were lying in wait for all of us. 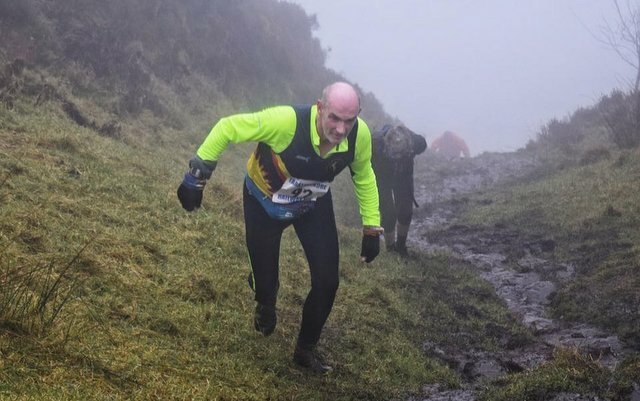 The race started at 10:30 with a steep climb for around a mile that gets you up to around 500m, a steady start left me felling ok as I got onto some of the flatter sections. Due to the soil erosion there are many parts of the route that have been flagged which gave a welcome relief for a few miles along the route. 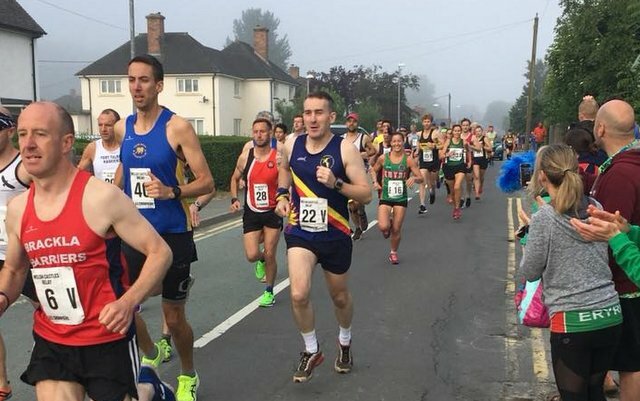 One thing that really stood out was the amount of support from locals and I guess race enthusiasts lining the course with Haribos, sweets, drinks and one lady oranges which were all welcome. 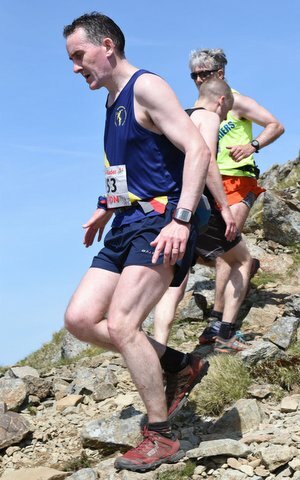 I really enjoyed the race and felt comfortable even the crazy assent up Hope Bank (mile 14) where my nose was touching the grass it was so steep. 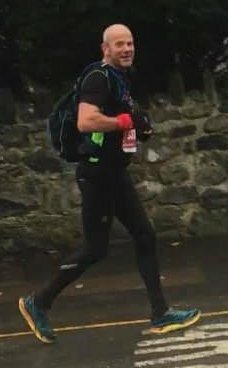 On the out and back at Wins Hill I saw a couple of mates which was great to know I wasn't light years behind and gave me the encouragement to push on, that was until about mile 17/18 were I had to start making friends with pain lol. 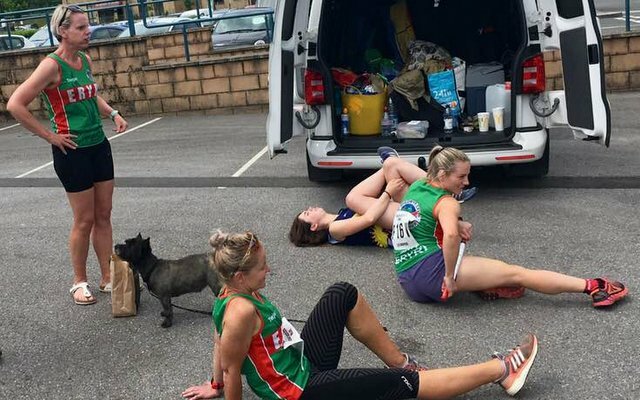 I'd been suffering with cramps at anything over 10 miles in race situations and had been experimenting with salt tabs , well they seemed to work well and all I had was tired legs. I trotted over the line in 4hr 14 mins which I have to be pleased with. From cp1 to the finish I managed to pass approx 40 people. I was soon brought back to earth when i saw what the 250 people ahead had achieved, but what other sport can you part take in where you’re in the company of the sports greats." 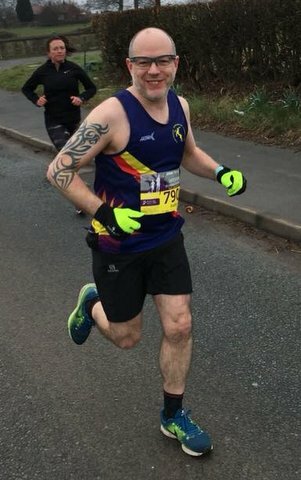 Gwion Bobo Roberts a Justin Pilkington ran in the Wrecsam marathon festival. 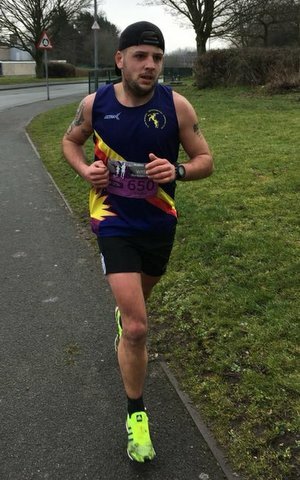 Justin completed the marathon in 3:44:42 claiming 2nd M45 in the North Wales Half Marathon Championship and Gwion ran in the 20miller finishing in 2:12:44. 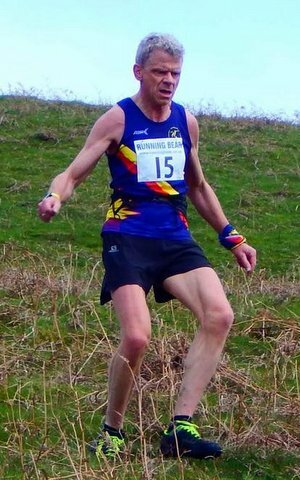 Eilir Evans ran in the Wrekin fell race finishing in a time of 44:55. 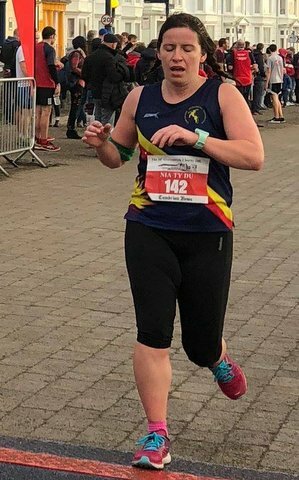 Four Meirionnydd runners ran in the Anglesey half Marathon. 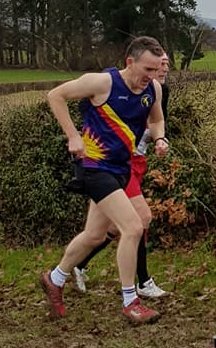 First home was Tom Roberts in 1:12:48 claiming 2nd overall and was followed by Gwion Roberts in 1:21:34; Allanah Fenwick 1:55:47 and Sharon Griffin 2:13:17. 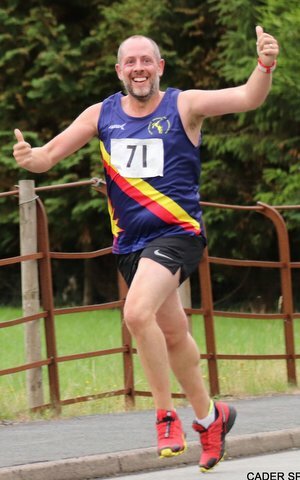 Eilir Evans was the sole Meirionnydd runner at this years Pipe Dream in Dolgarrog. Eilir finished in 42:11. CHAIR:	Arfon Hughes. Click to E-mail. VICE CHAIR:	Dylan Evans.Click to E-mail. SECRETARY:	Greame Stringer. Click to E-mail. TREASURER:	Sue Barnes.Click to E-mail. 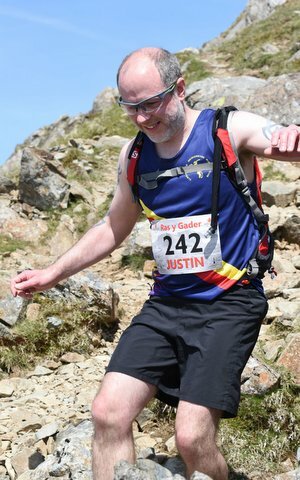 MEMBERSHIP SECRETARY:	Justin Pilkington.Click to E-mail. SOCIAL SECRETARY: Sarah Roberts.Click to E-mail. WELFARE OFFICER: Tristan Edwards & Juliet Edwards.Click to E-mail. 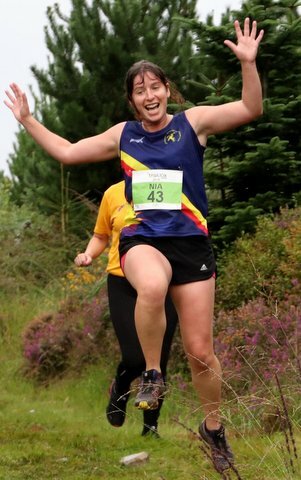 LADIES TEAM CAPTAIN: Nia Davies.Click to E-mail. 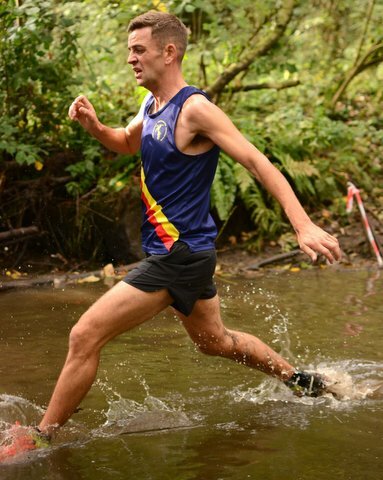 MENS TEAM CAPTAIN: Tom Roberts.Click to E-mail. 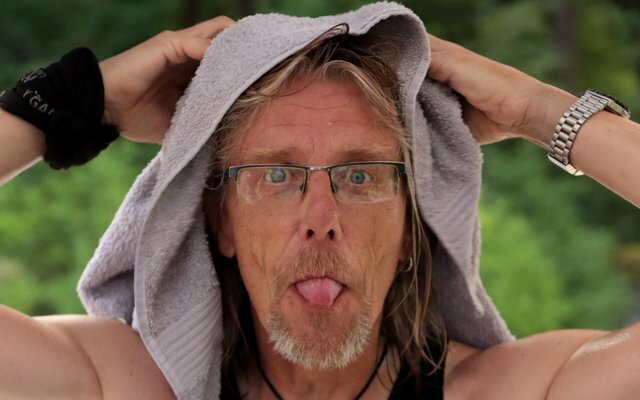 WEBMASTER: Arfon Hughes - Click to E-mail. Goat herder (Volunteer): Hilary Maylon. Sheila Vaughan Award (New runner): Nia Davies. 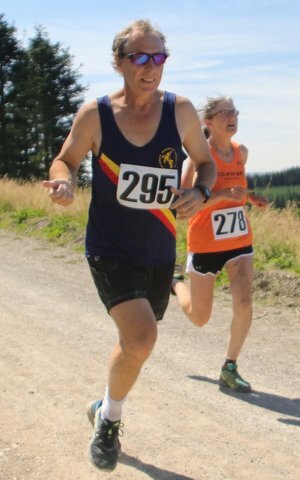 Mat and Allanah Fenwick ran in the Nick Beer 10k. Allanah said "It was a good race but very windy in places. We thought we might be late when the police were stopping people from going over the Chrimea because of the snow but we managed to blag our way through." Matt finished in 42:15 and Allanah Fenwick in 53:21. 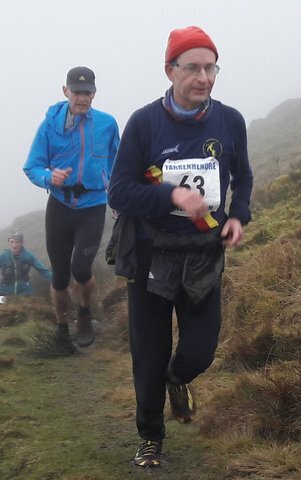 Two Meirionnydd runners ran in the Long Mynd Valleys race. Elly Downing said “I am so lucky living in two amazing places. I love the amazing places I get to run, things I never thought I would do, constantly challenging me and making me smile. 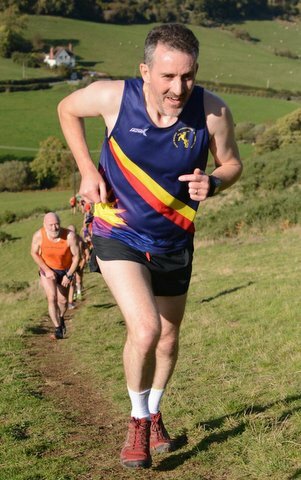 I didn't think I could do Long Mynd Valleys Race. It's notoriously tough. I had to be 'encouraged' to enter, and in turn 'encouraged' the amazing Tracey Hughes to enter too. She stuck with me all the way, even though she could have left me on just about every downhill!! I think she's under the impression I know where I'm going. Jeremy finished in 2:10:45 and Elly in 4:07:20. 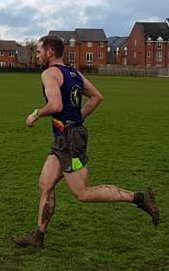 3/2/18 Oswestry Cross country final race in North Wales Championship. 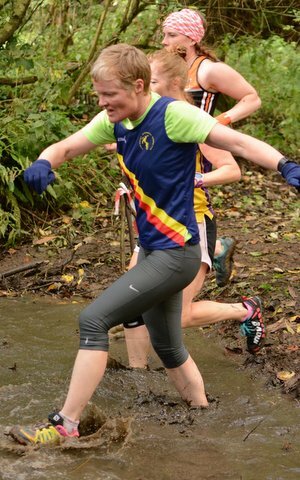 The final race of the season at Oswestry was a muddy affair. Following an excellent season the club retained am unassailable lead at the top of Division 2 and succeed in gaining promotion to Division 1 next season. Well done to the Cross country team and the team Captain for leading us to victory. 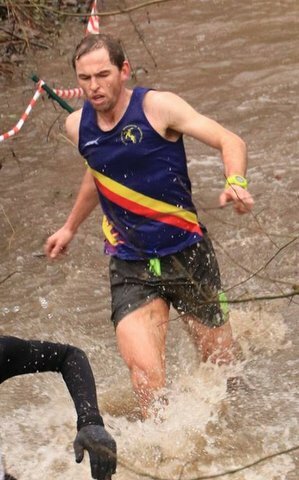 Message from Tom our Captain "Well done to the lads who ran at Oswestry today to secure the divisio 2 title. I was gutted I wasn’t fit to race today, But I managed to finish 3rd overall and Jeremy Randell claimed 3rd M50. 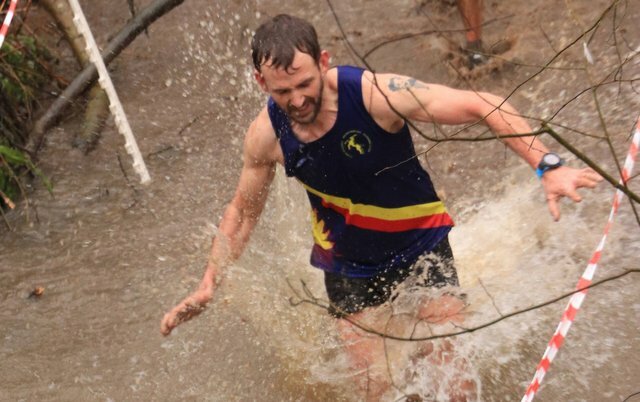 The commitment has been brilliant this year, most of the races ran in awful conditions and just want to say thank you to everyone who has turned up." 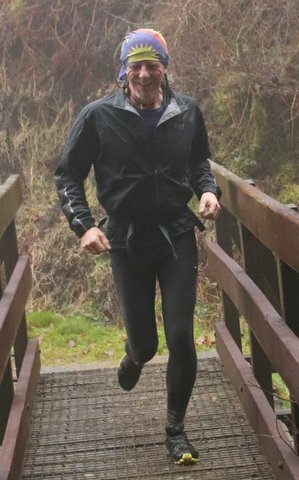 With a cloud-base of less than a hundred metres and driving rain all morning this year’s Tarrenhendre race was less of a spectator sport than it might be but the runners at the end certainly provided a spectacle! The rain eased up shortly after the start but the going which had been soft the day before was decidedly sloppy especially on the steep peaty descent through the forest. Of the 82 runners those who sank to their knees stayed upright, the rest skidded backwards or managed spectacular face-plants. 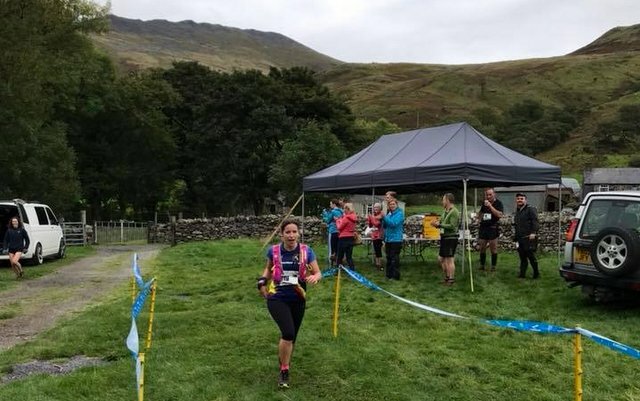 The women’s race was won by Eryri’s Miranda Grant in 63:06 from Katie Beecher (Les Croupiers) 64:53 and Sian Williams of Rhedwyr Hebog in 65:57. Jez Brown of Buckley took M40 honours, Mark Palmer of Acille Ratti was 9th overall and first M50. 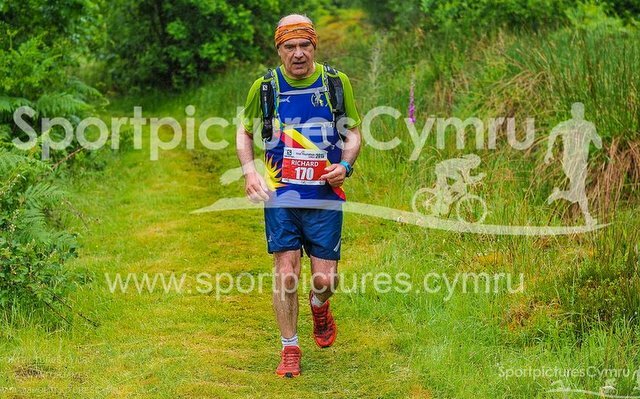 Stephen Jones (Eryri) again took M60 (19th overall) and Gary Gunner represented the M70s. 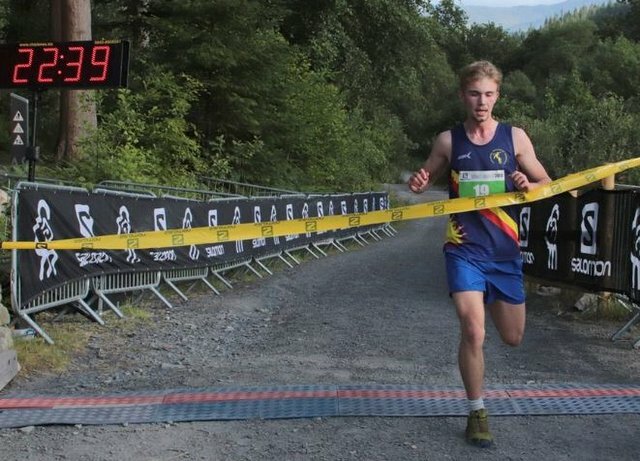 16 year old Gethin Davies (Menai Track & Field) was first under M23 in 67:44, and had something of a wait before being joined by his Dad Barry(Eryri) a bit lower down the order. Sarah Ridgeway was the first woman vet in 67:28. 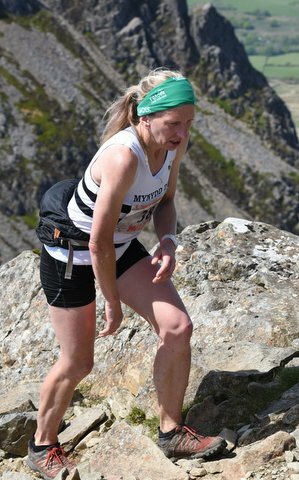 Alice Bedwell of Mynydd Du at 75:35 was the nearest to a course record -1 minute off second V50 Juliet Edward’s (Meirionnydd) 2012 time but over 4 minutes ahead of Edward’s on the day. 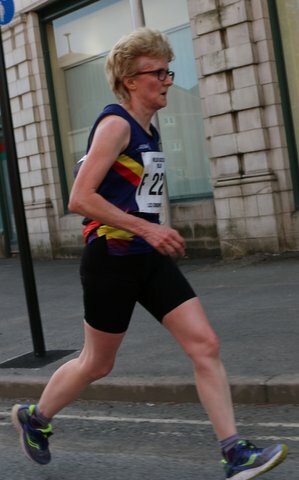 Maggie Oliver’s 2008 F60 record was unchallenged and this year she became the first F70 to compete finishing 79th in 108:55, and setting another benchmark. 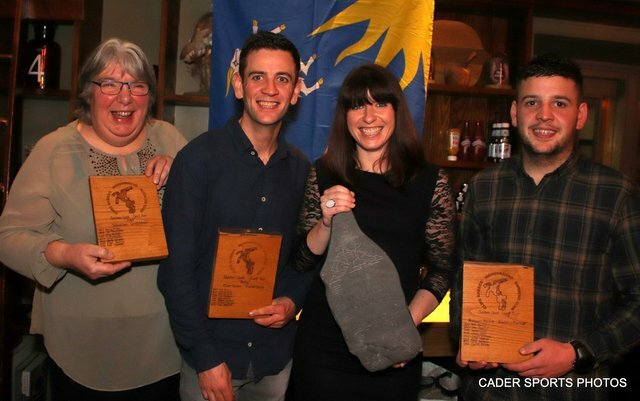 For the first time, organising club Meirionnydd took the men’s team prize ( Tom Roberts, Tristan Evans, Ifan Richards) and Eryri’s Miranda Grant, Ruth Metcalfe and Maggie Oliver the women’s team prize. 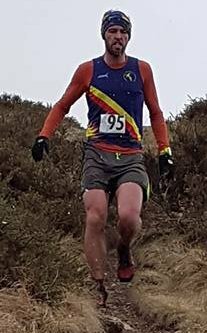 The Meirionnydd Winter series is thus finely balanced with Tristan Evans at 1:58:08 just 36 seconds ahead of Ifan Richards, with Mark Palmer less than a minute behind him and Dyfed Thomas (Eryri) not out of the race at less than 7 minutes behind. Katie Beecher has a 5 minute lead on Hayley Evans of Buckley for the women’s prize and no less than 30 runners have the chance to complete the series. 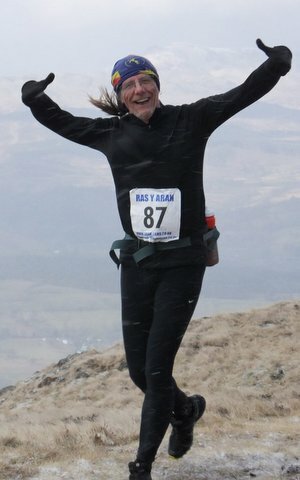 The final race - the Aran Lamb sponsored Ras yr Aran on 17th March should be as exciting to watch as it is gruelling to complete with record times of 1:23:26 (2009 Tim Davies, Mercia) and 1:41:14 (Kate Bailey, Meirionnydd) to be challenged. 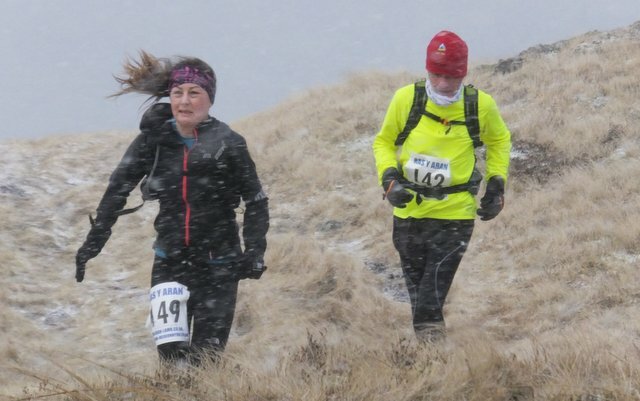 Last year’s race was run in appalling wind and rain, twice the race has been shortened by snow and once cancelled due to blocked roads - but we have also had sunburn cases in its 15 year history. Its a magical place on a spring day so finger’s crossed! 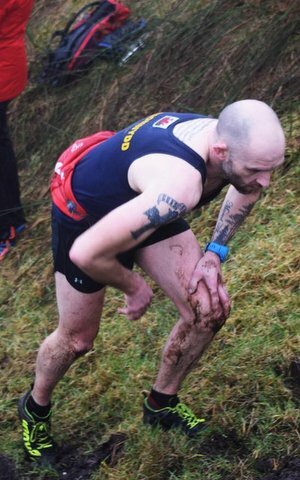 Rain, fog and deep mud as one of the runners commented "Who needs Tough Mudders when you can come to Tarren Hendre." 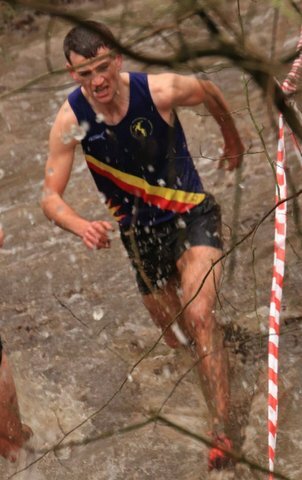 Five Meirionnydd runners turned out in appalling conditions for the penultimate race in the North Wales Cross Country League held at Walford College, Baschurch near Shrewsbury. 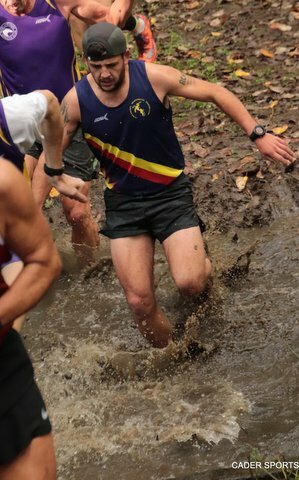 Despite the conditions the Men team finished 1st overall and currently lead Division Two as we go into the final race of the season. 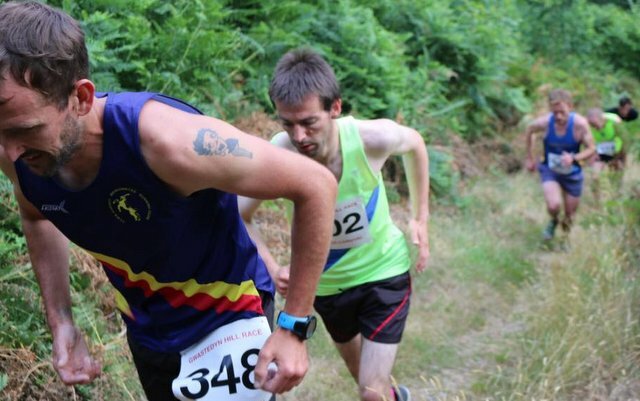 Two Meirionnydd runners participated in the Conwy fell race. Tristan Evans finished in 47:49 to claim 3rd place overall and Jimmy Carter finished in 51:47 3rd M40. 20/1/18 Buff Winter trail, Coed y Brenin. 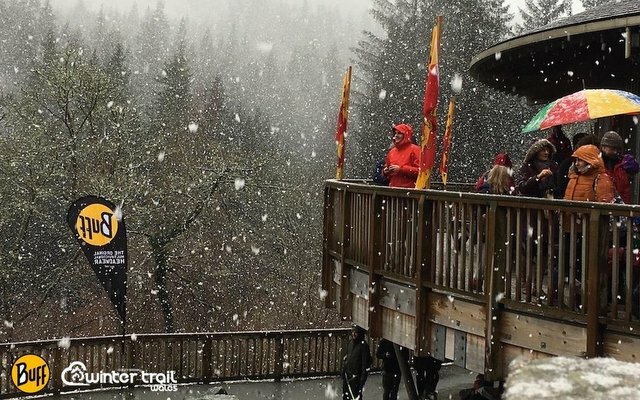 In the Winter Trail Half Marathon at Coed y Brenin Tweleve Meirionnydd runners participated in atmospheric wintry conditions. 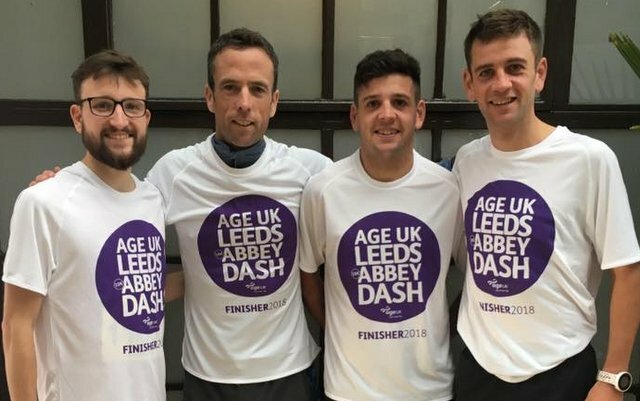 First home was Mat Fenwick in 1:45:18 followed by Andrew Ellis 1:59:15; Dylan Evans 2:00:08; Ben Wells 2:12:46; Justin Pilkington 2:13:02; Allanah Fenwick 2:24:12; Pete Nicholls 2:33:24; Richard Hankinson 2:34:32; Mpho Bogatsu 2:42:15; Kevin Evans 2:42:34; Jaqueline Fowler 3:11:18. Jude Evans was the race sweeper. 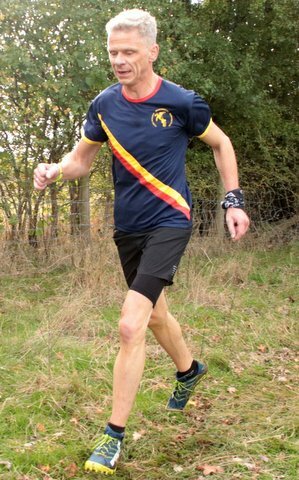 Jeremy Randell was our only representative this year he claimed 2nd M50 in a time of 39:52. 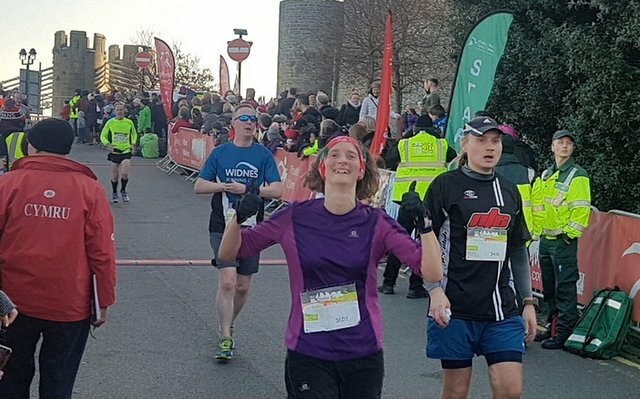 Two Meirionnydd Runners participated in the Telford 10k. Tom Roberts representing North Wales finished with a PB and New Club record of 31:26 and Matt Fenwick a PB in 39:53. 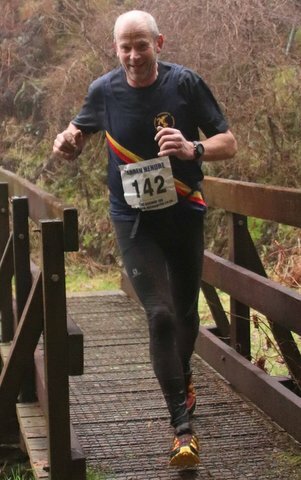 6/1/18 North Wales Cross Country Championships, Rhug. 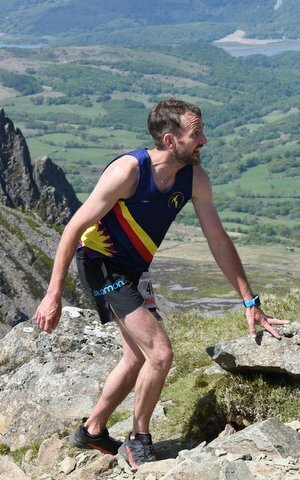 Two Meirionnydd runners participated this year Gwion Roberts finished in 41:21 and Arfon Hughes in 47:24.